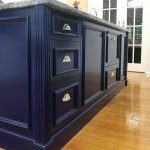 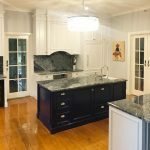 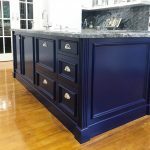 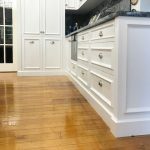 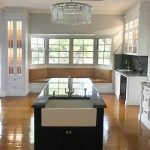 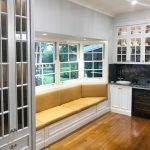 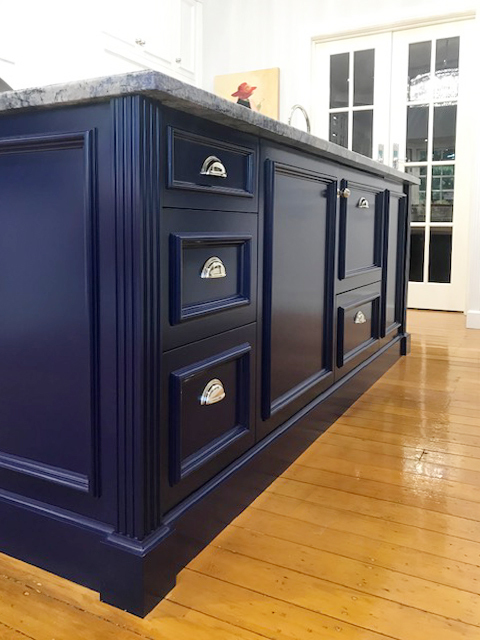 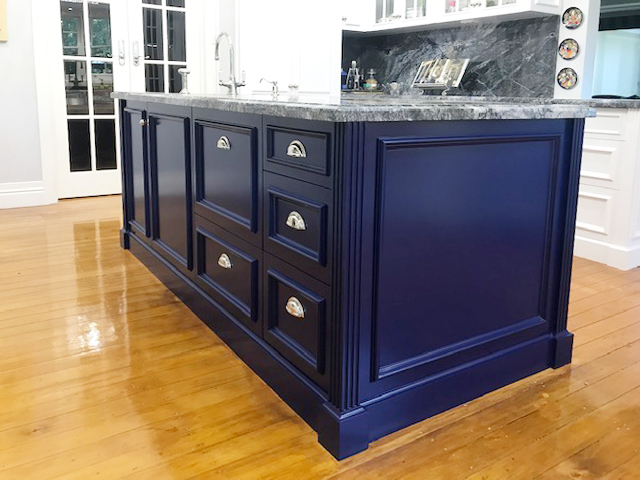 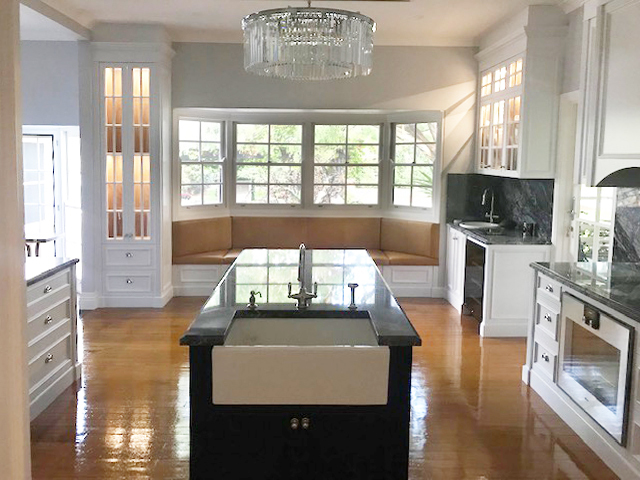 We were asked to create a unique kitchen with a big WoW factor for this historic homestead. 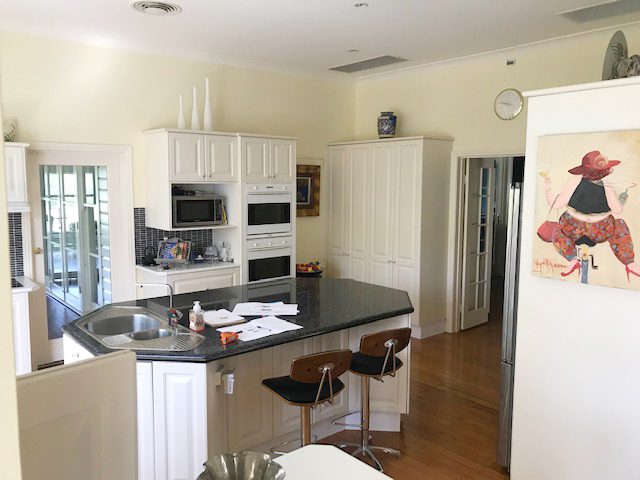 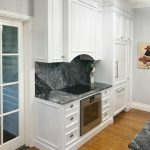 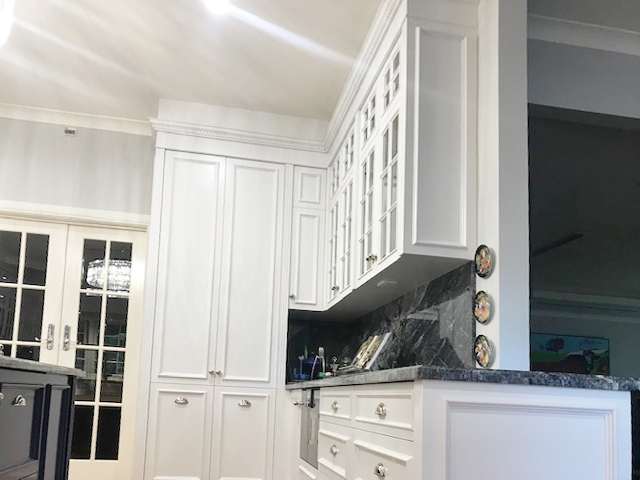 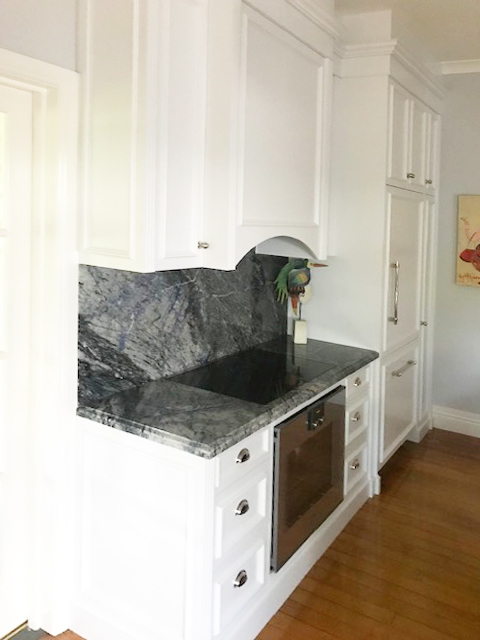 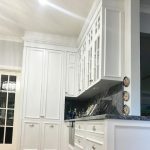 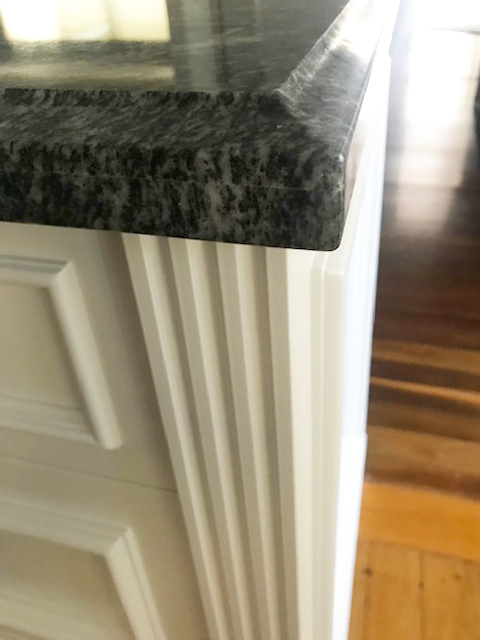 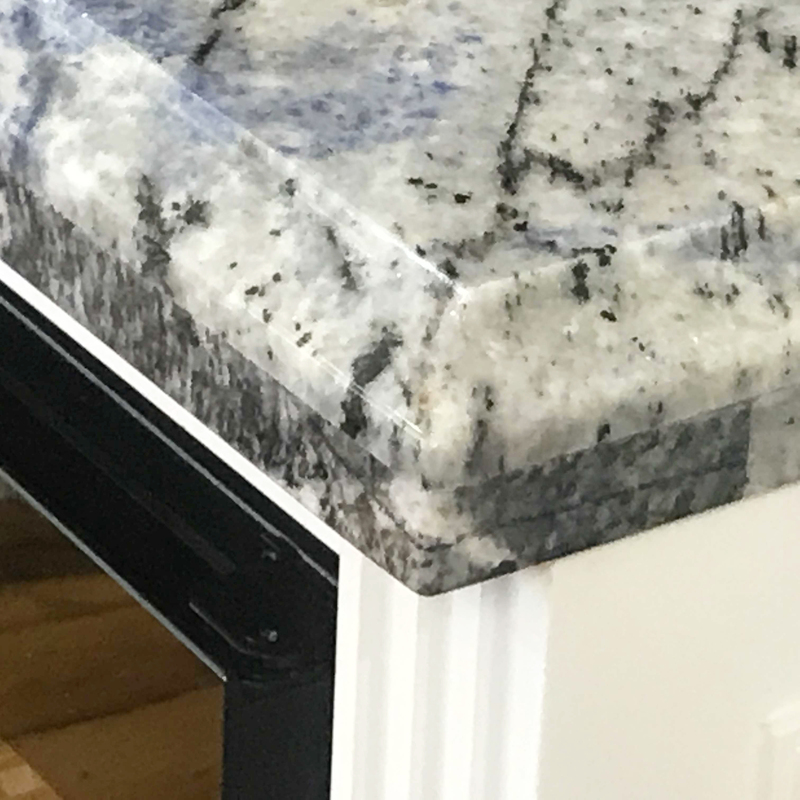 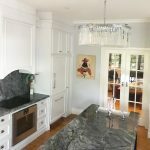 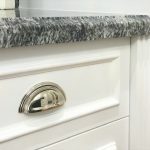 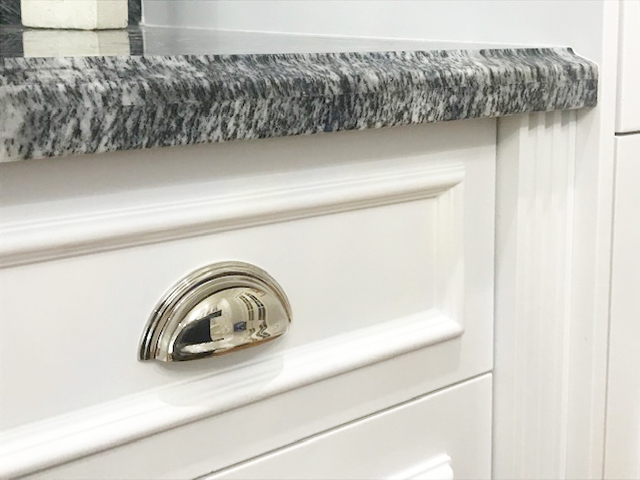 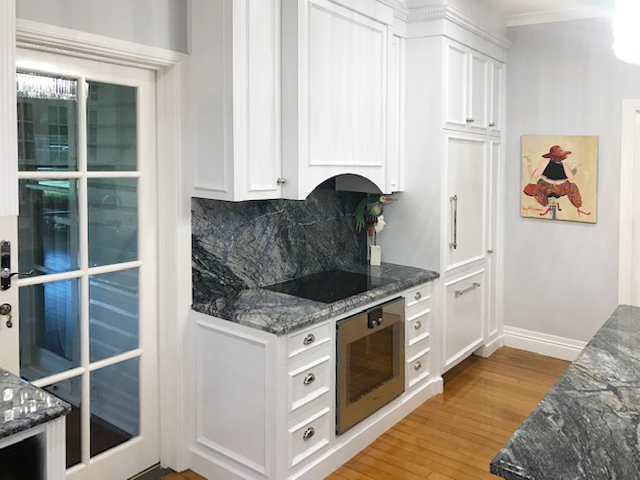 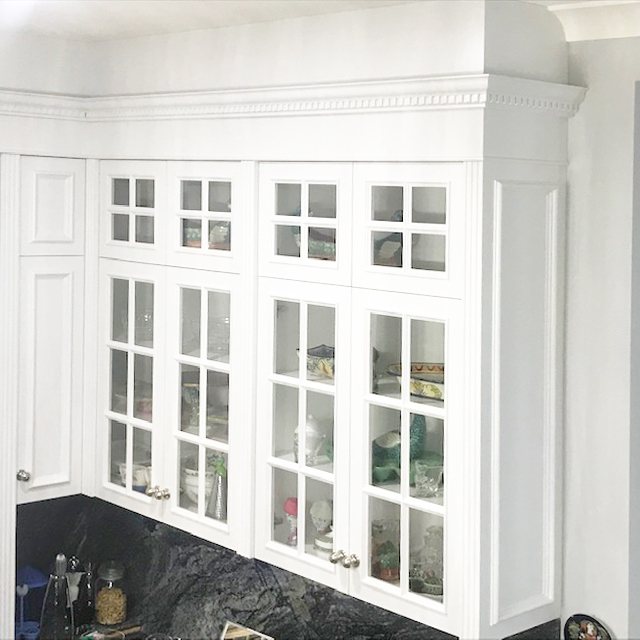 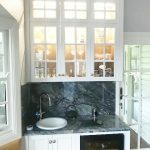 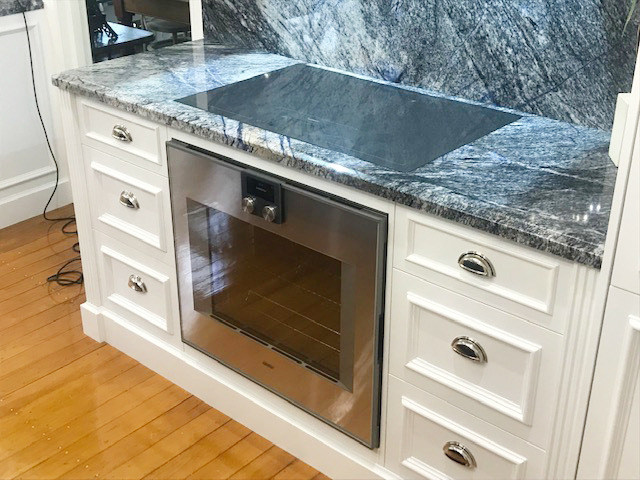 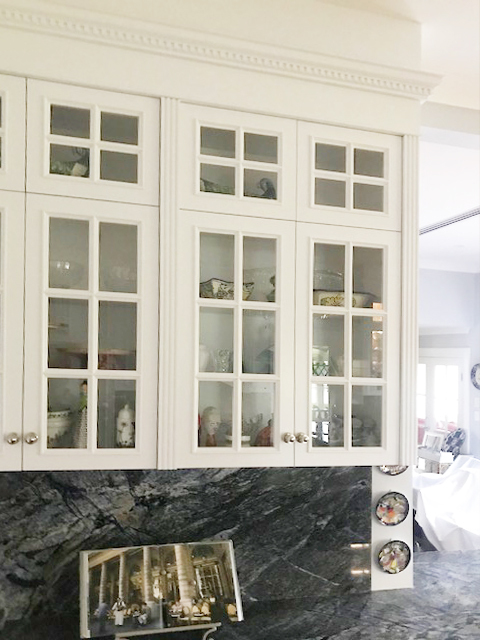 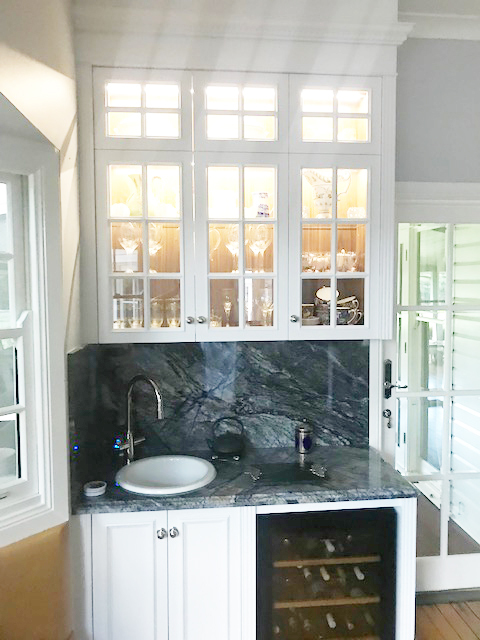 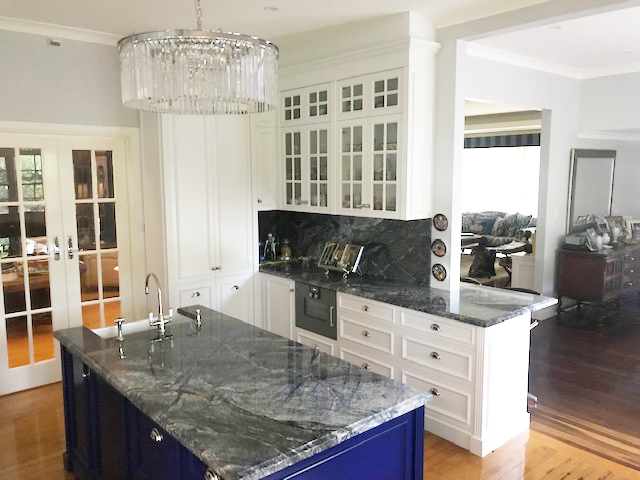 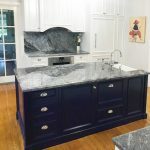 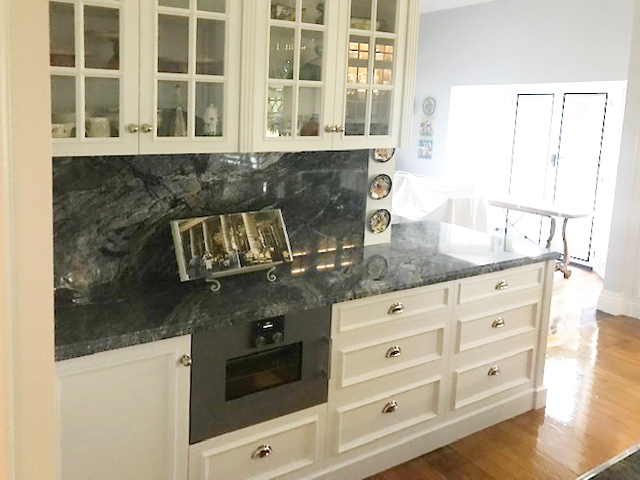 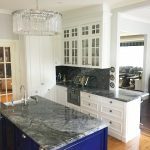 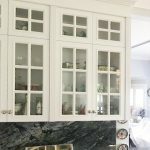 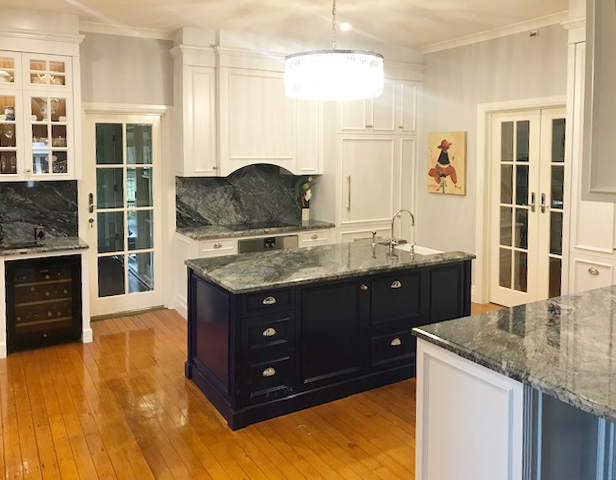 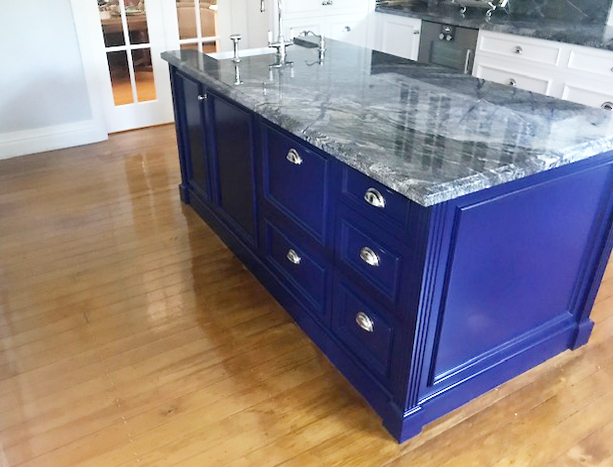 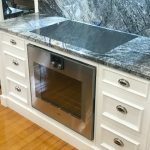 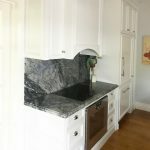 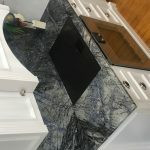 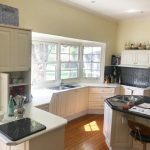 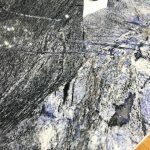 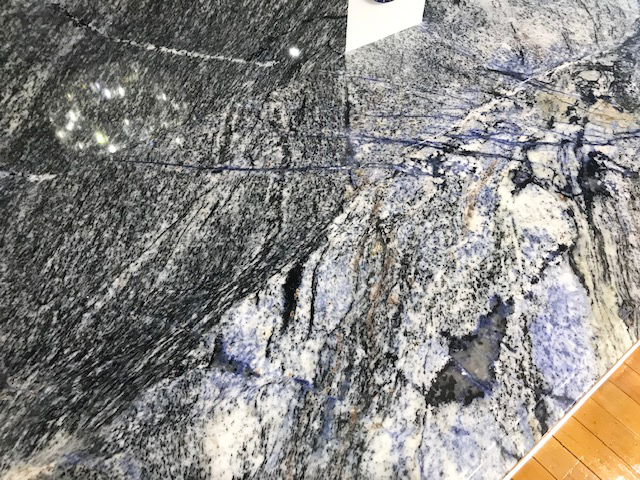 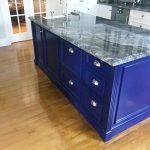 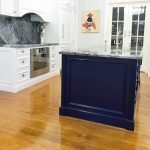 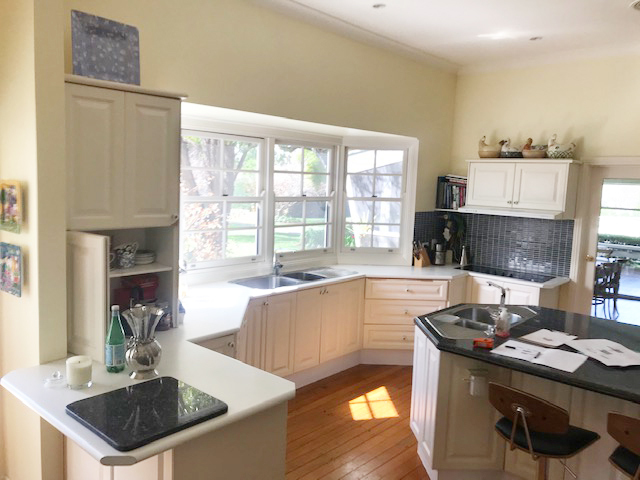 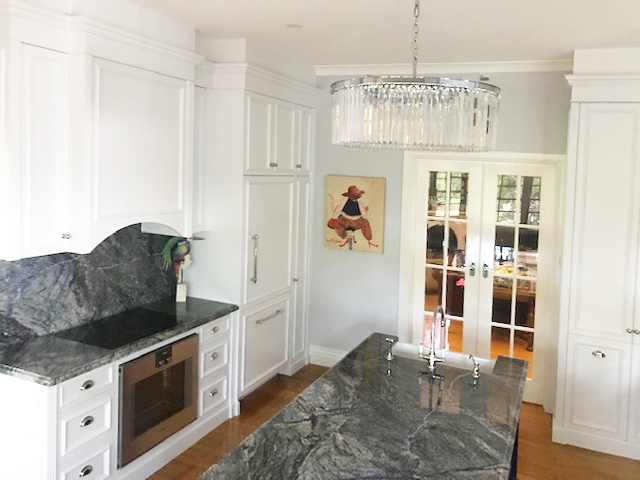 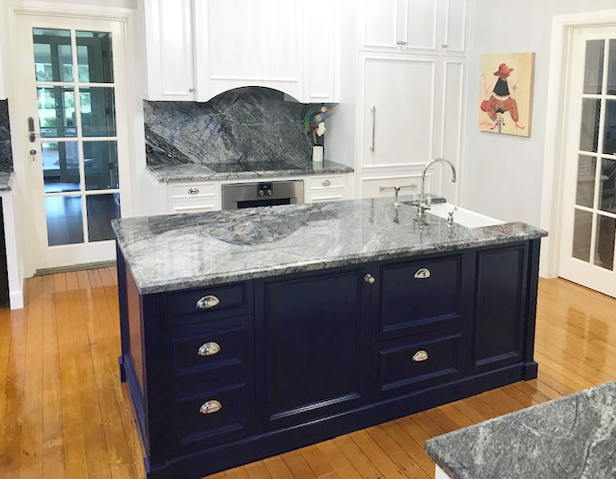 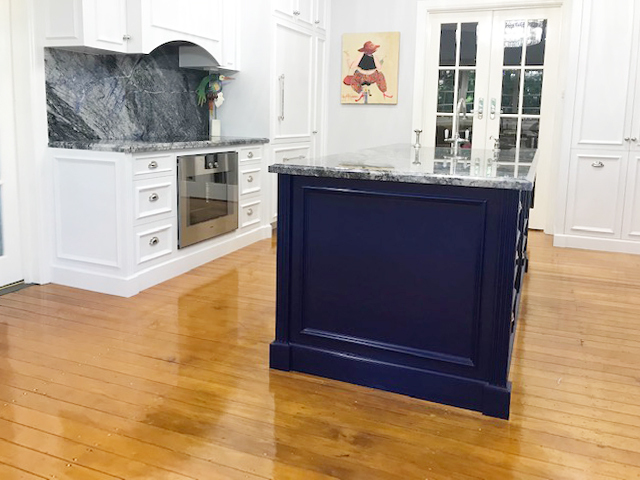 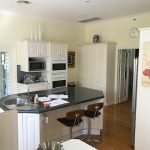 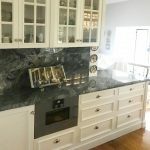 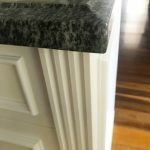 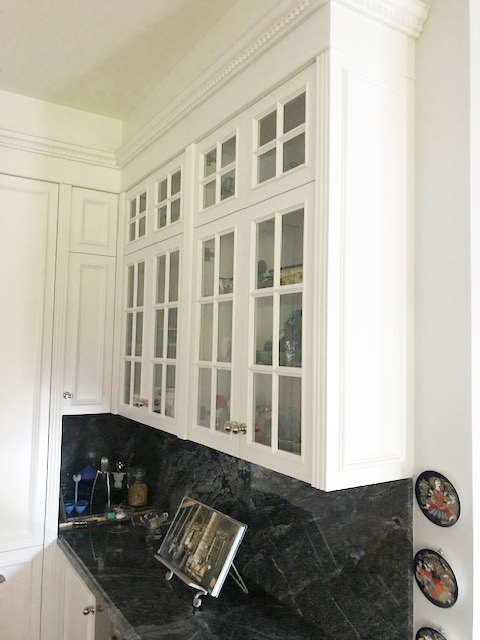 This kitchen is stunning with Stone benchtops and wall backings from Granite, along with a soft moulded edge detail that works well with the fluting on the cabinets. 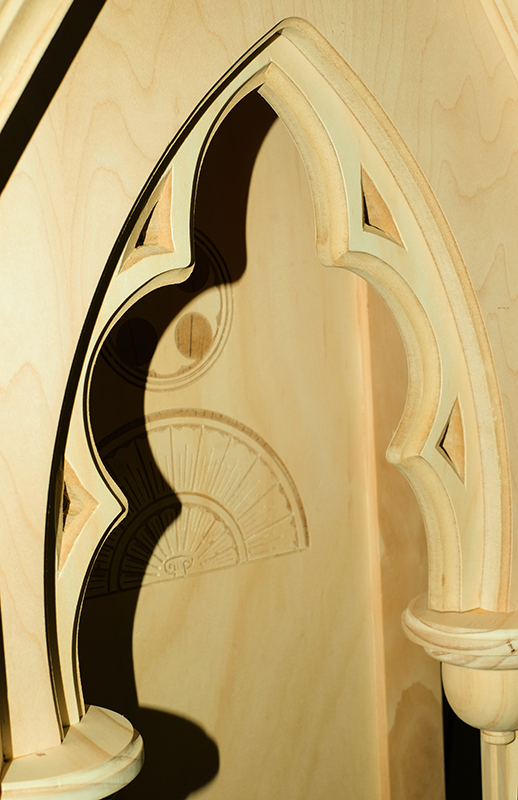 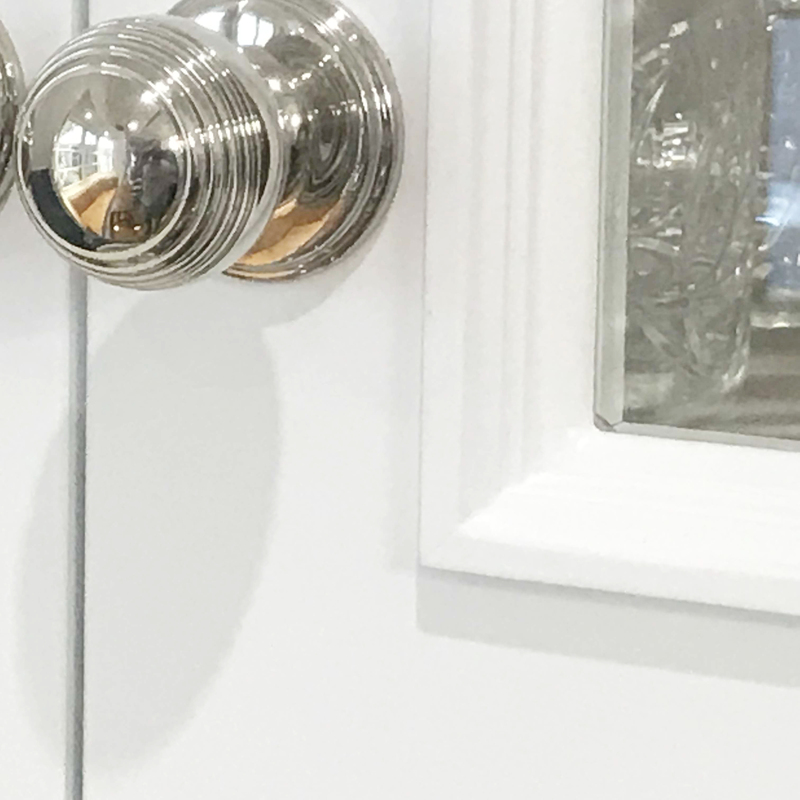 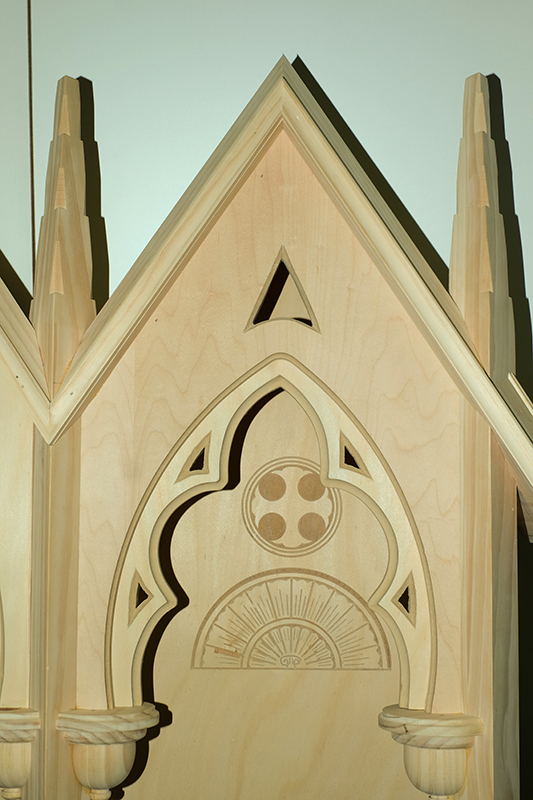 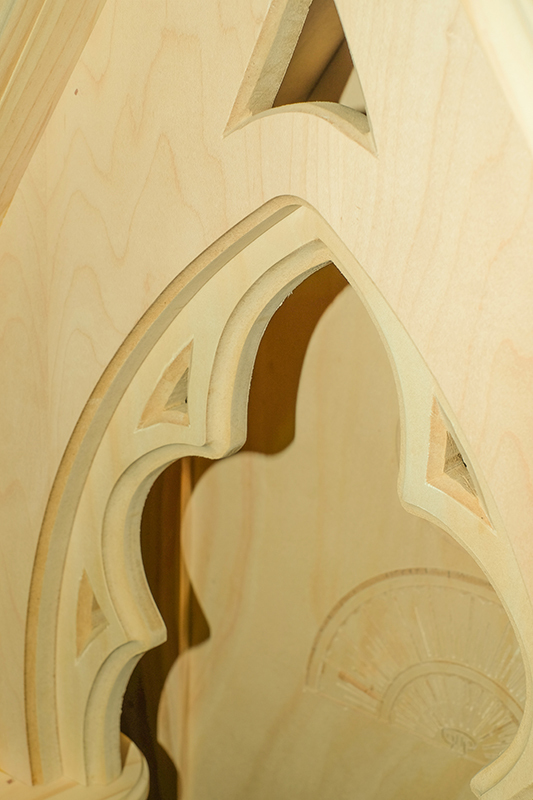 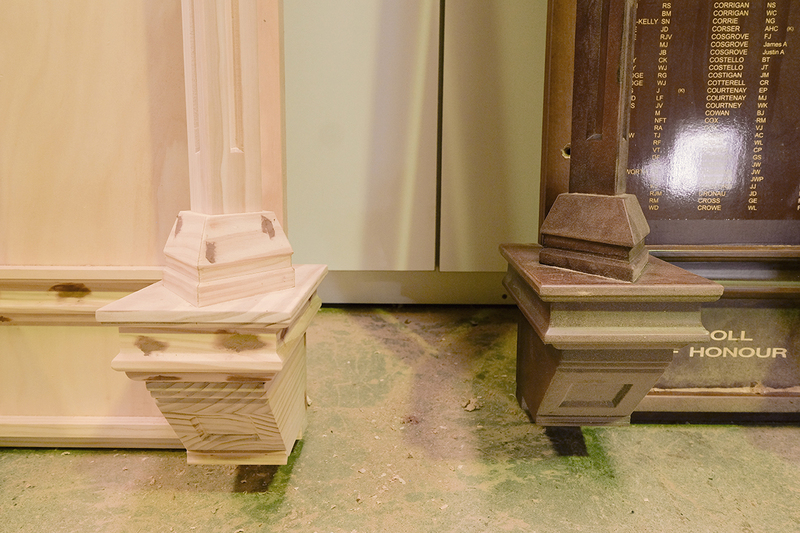 The doors are layer moulded, made in three sections. 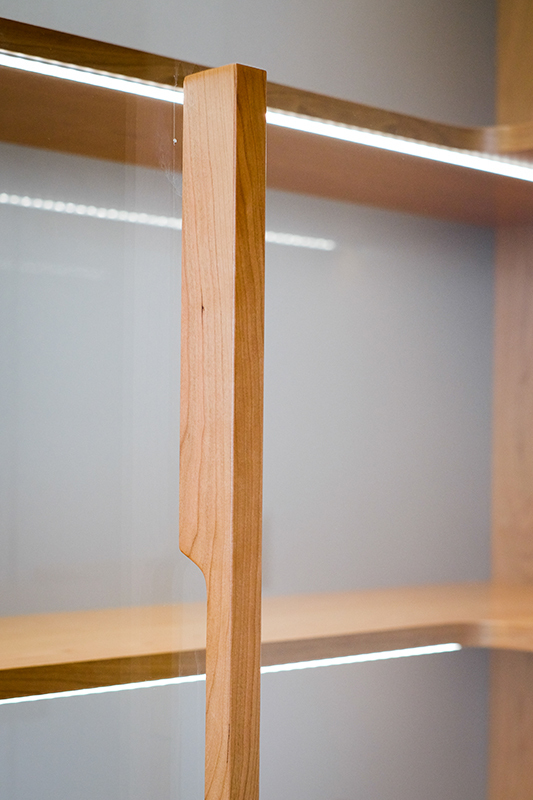 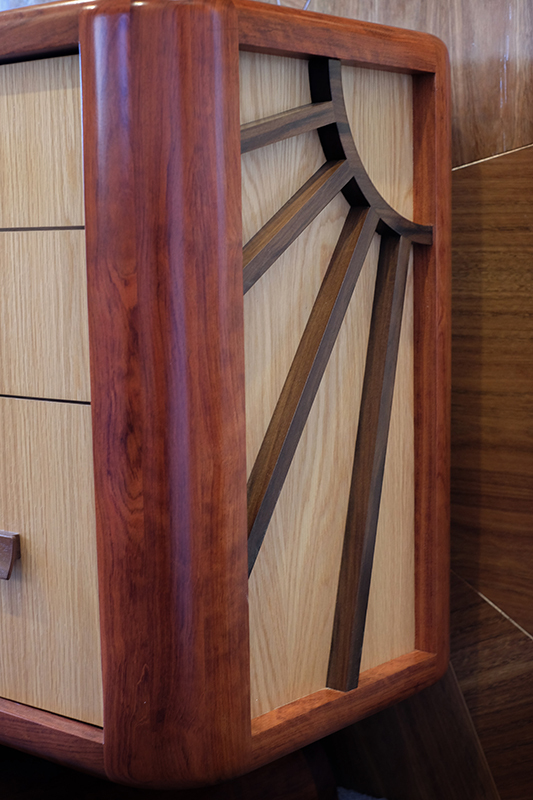 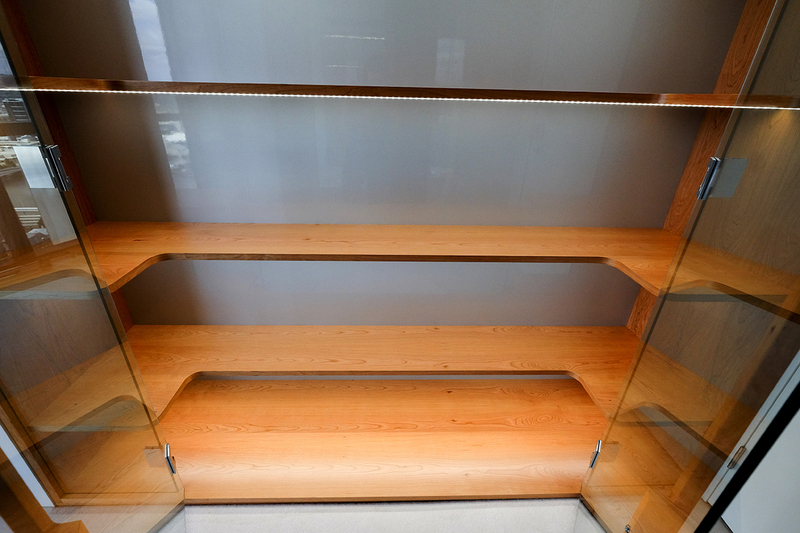 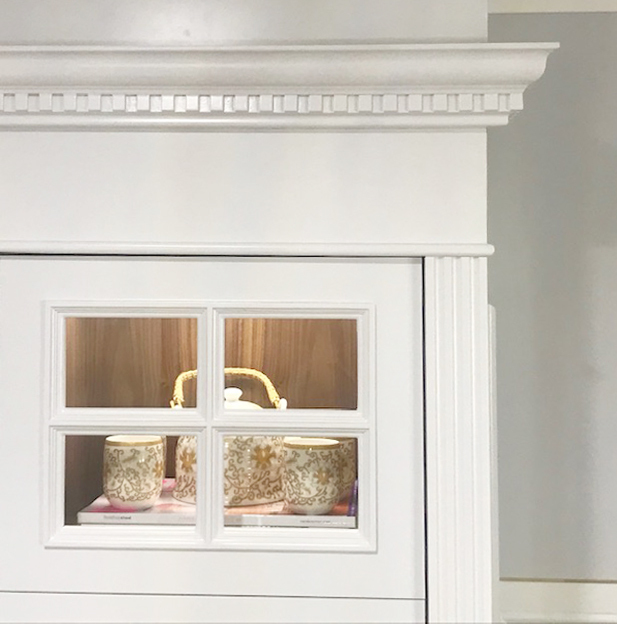 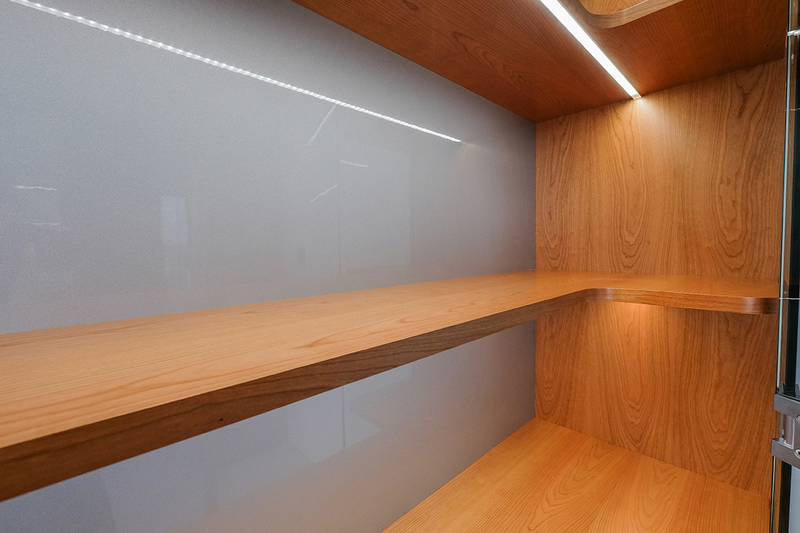 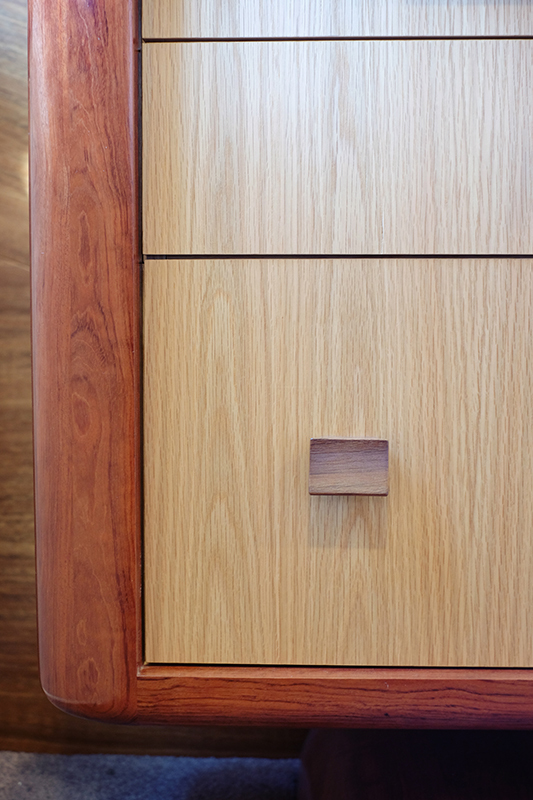 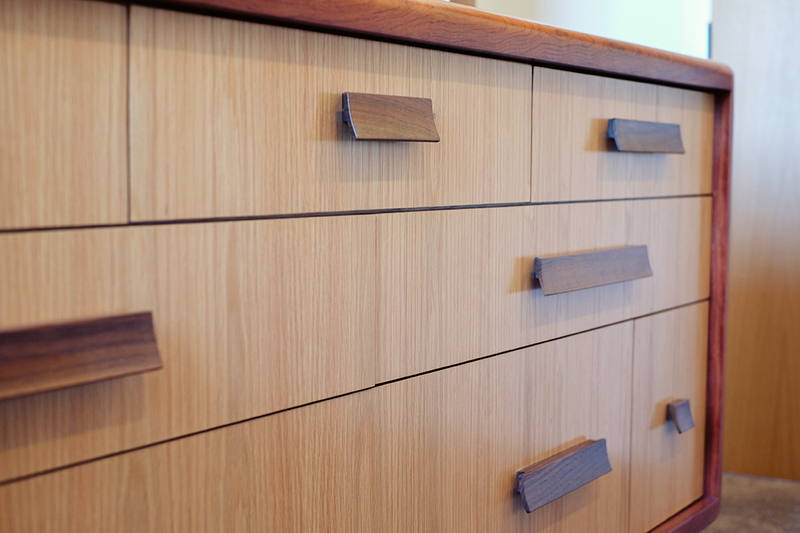 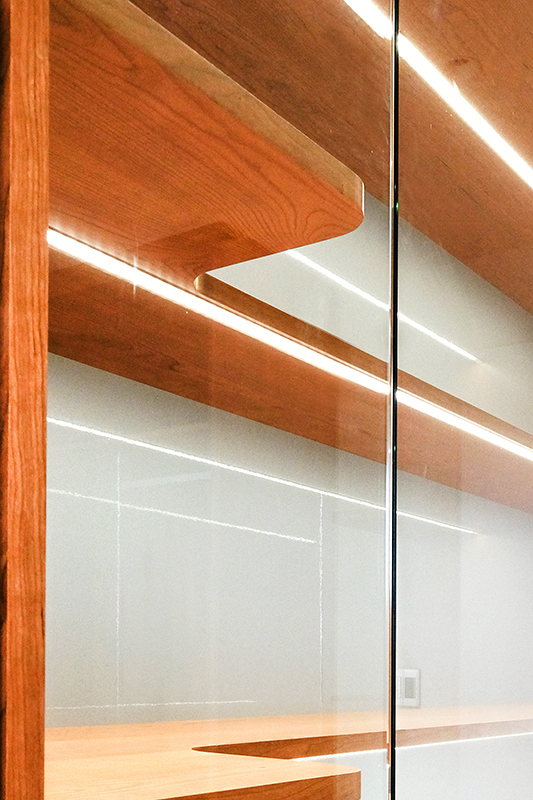 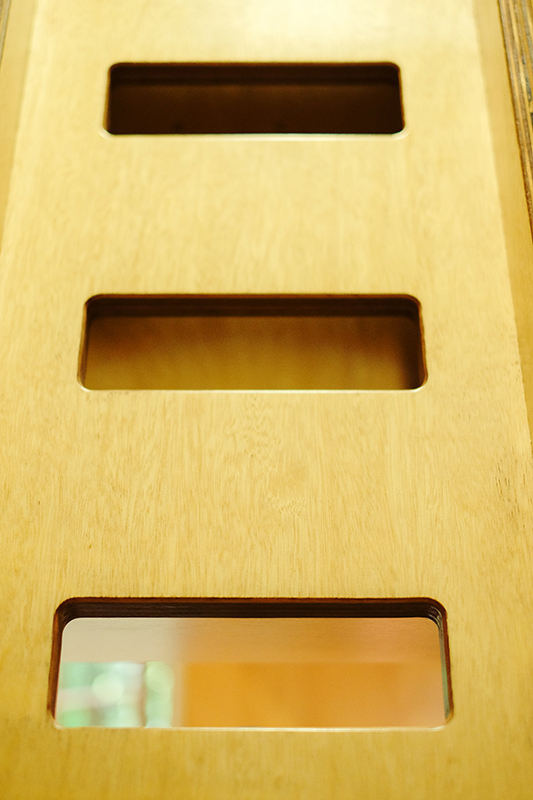 The timber in the display cabinets is French Walnut, with soft interior lighting installed. 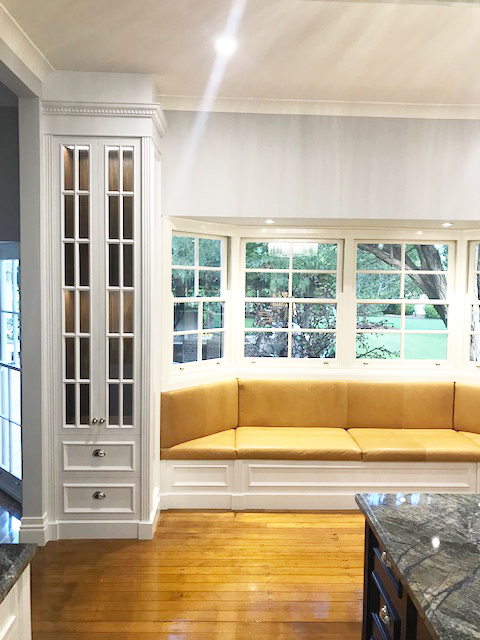 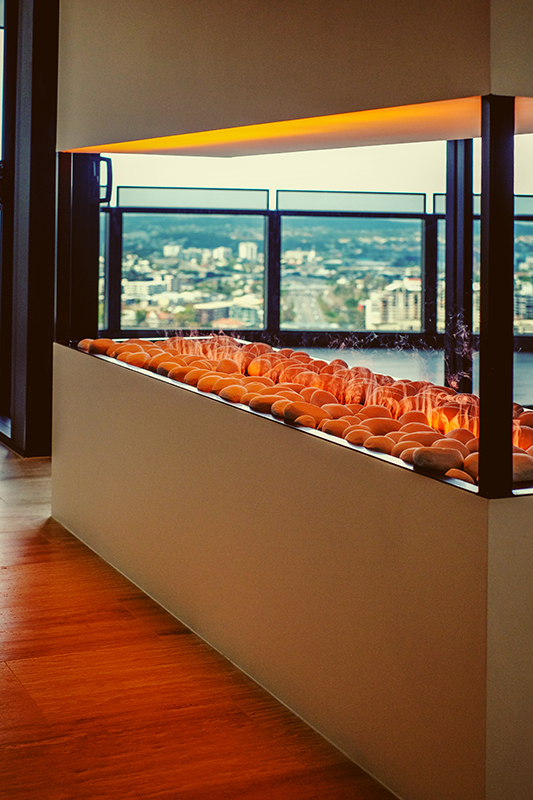 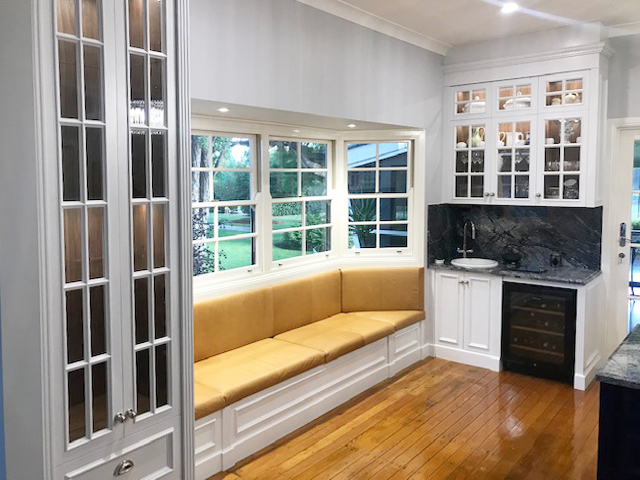 Window bench seat near the wine chiller creates a space to relax and chat while the flavours are simmering. 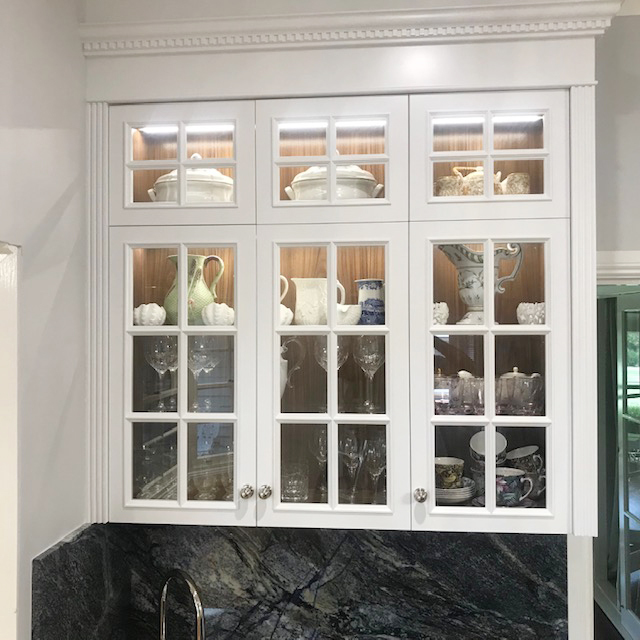 After many consultations with our client, considering all the needs of the family we built this bespoke kitchen and the client is very happy with the final result. 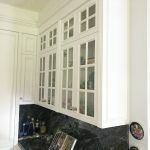 There are before shots included here also, so you can see the transformation. 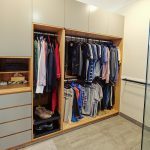 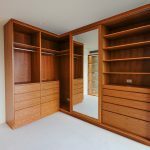 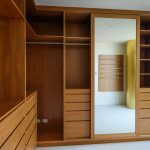 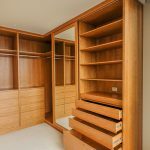 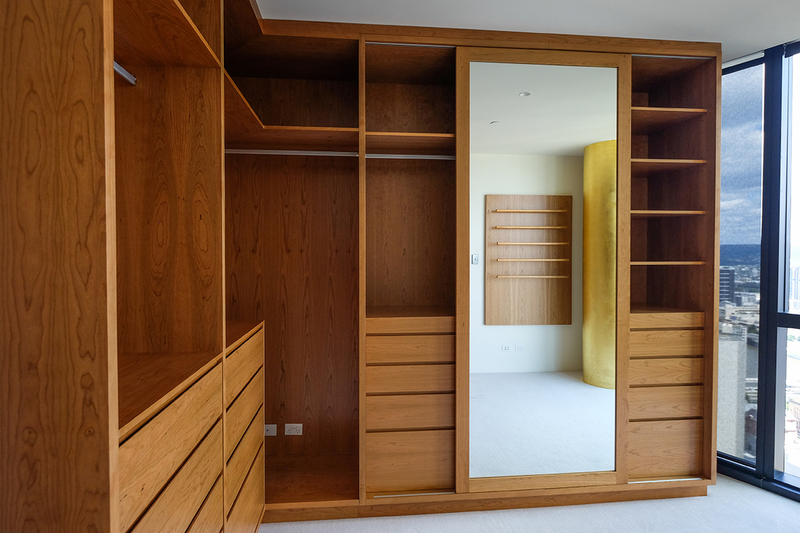 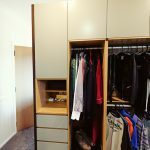 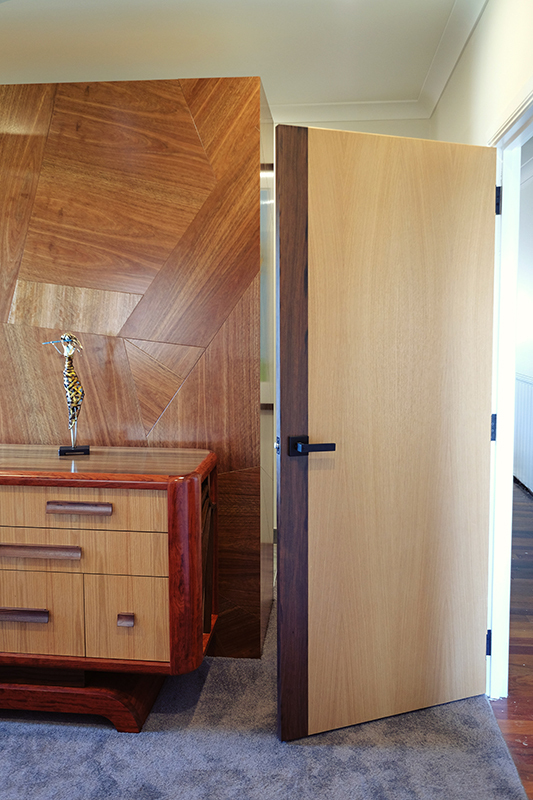 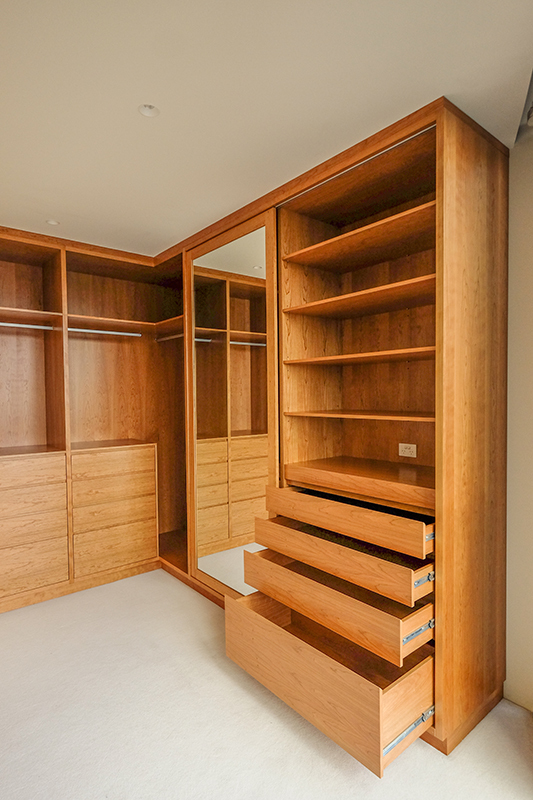 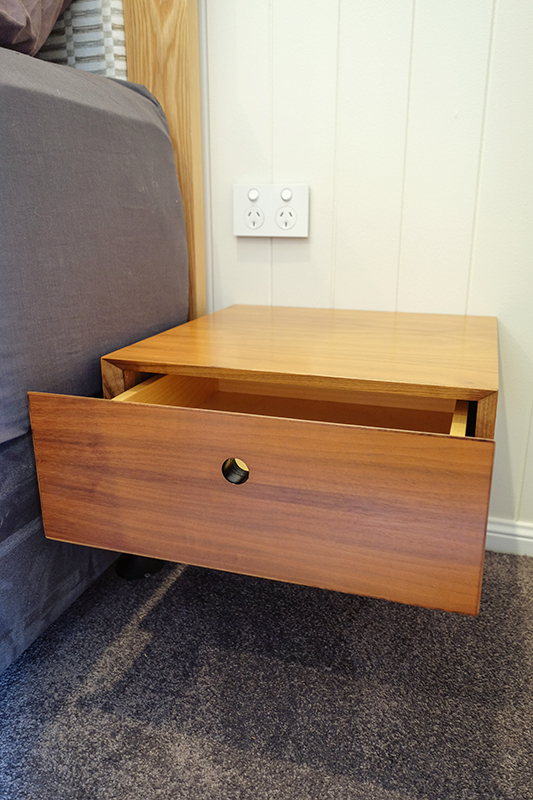 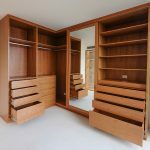 We were asked to turn one of the bedroom spaces in the Abian Apartments into a walk-in dressing room. 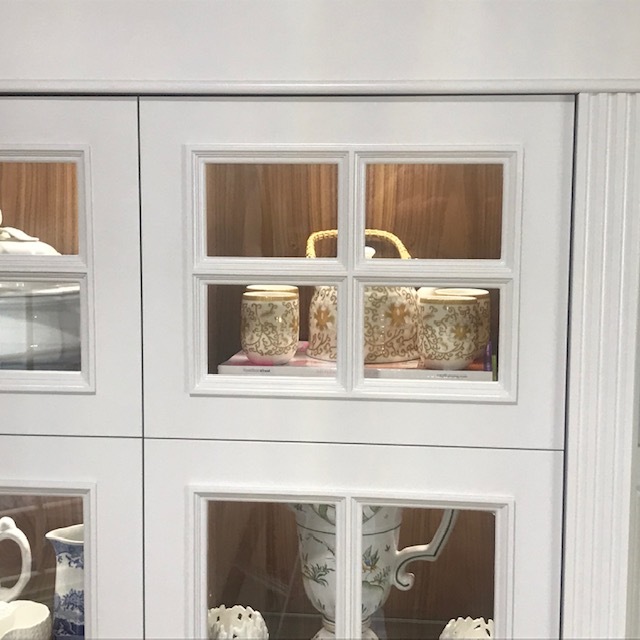 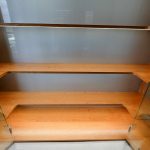 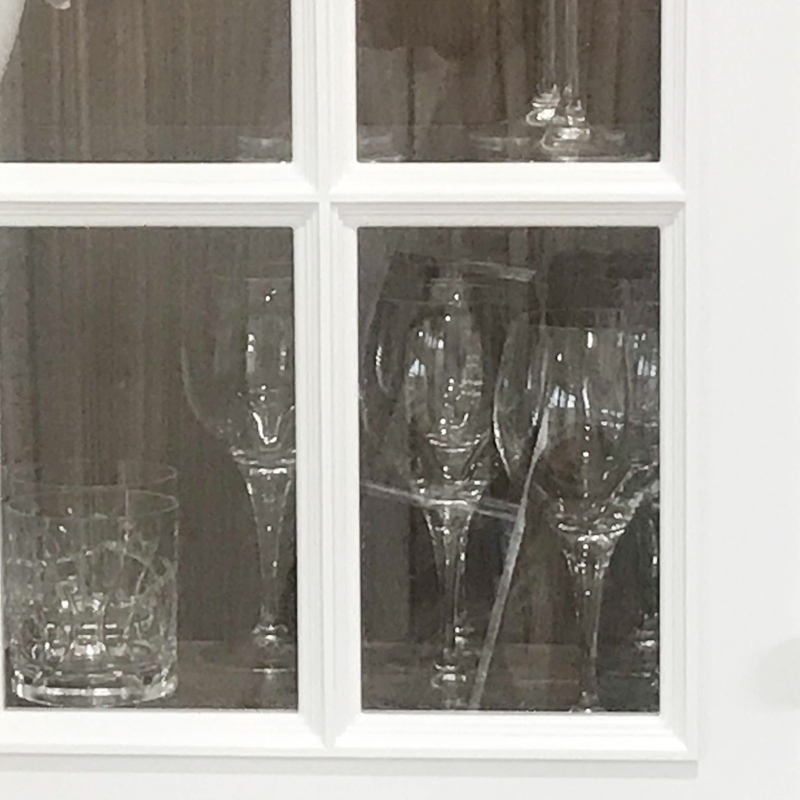 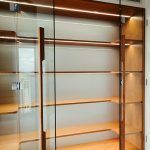 There needed to be a sensational space to display handbags and shoes and it needed to be protected by glass. 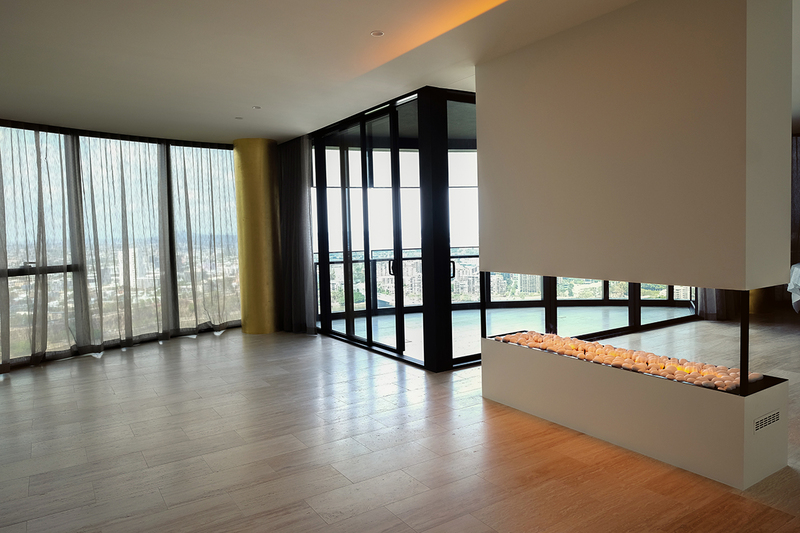 We decided to add LED lighting to highlight the viewing. 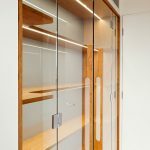 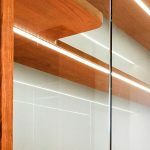 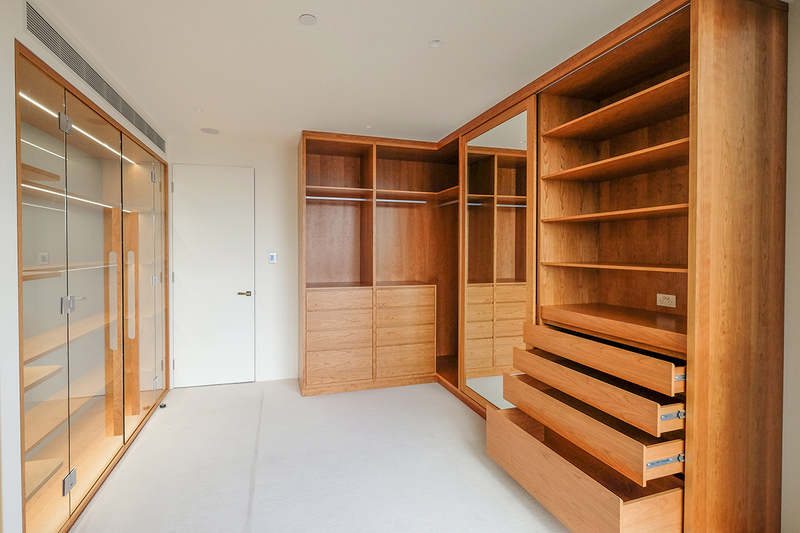 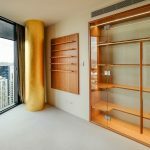 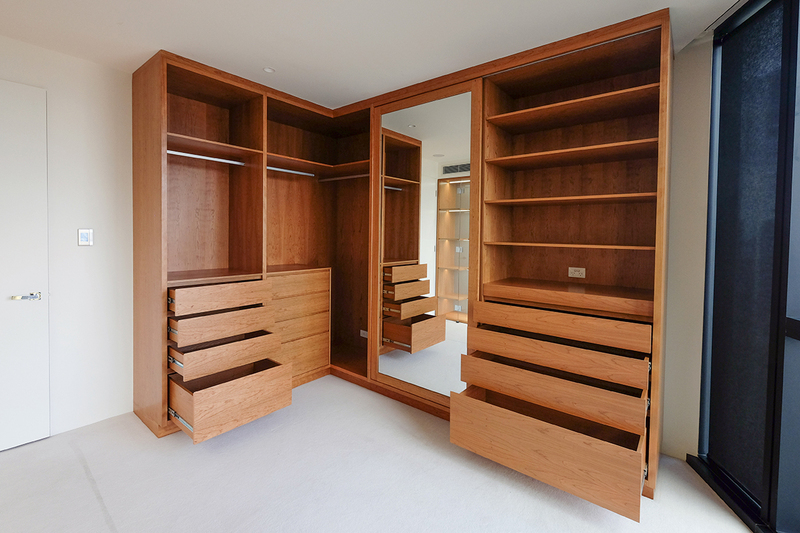 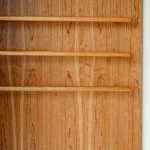 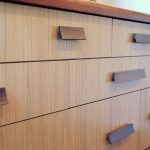 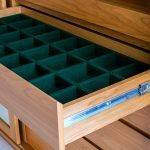 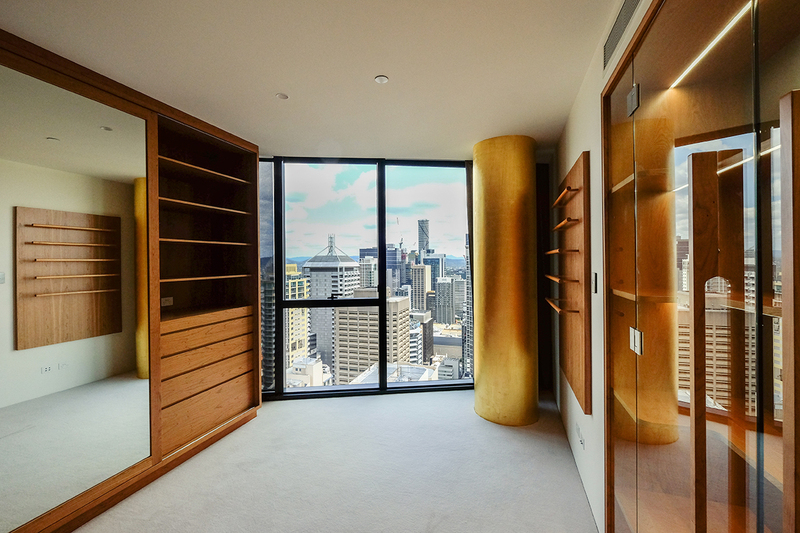 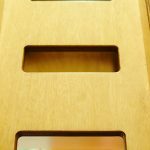 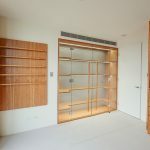 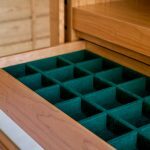 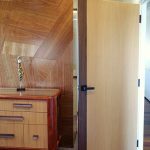 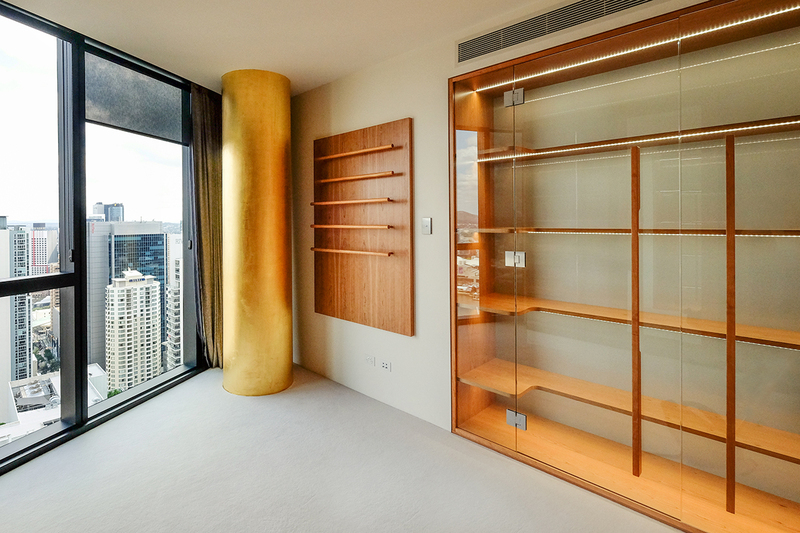 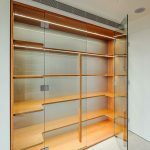 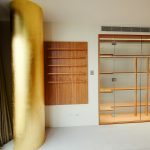 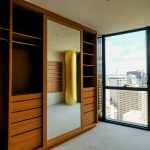 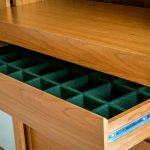 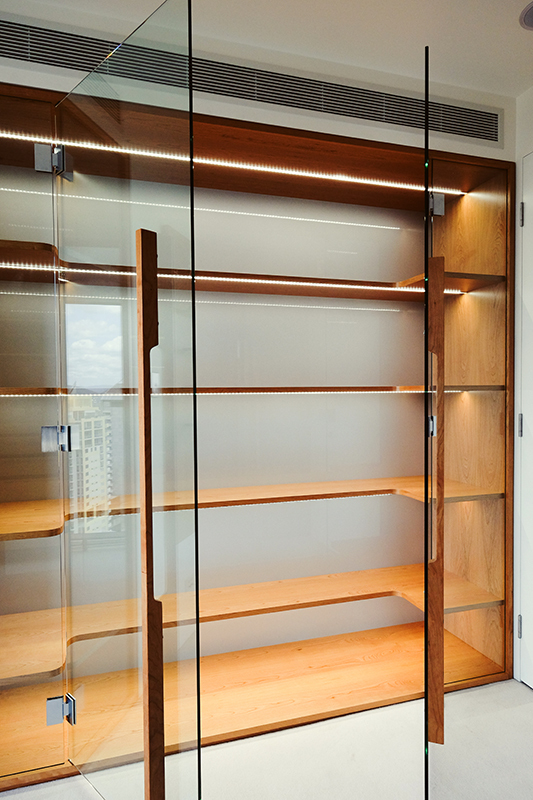 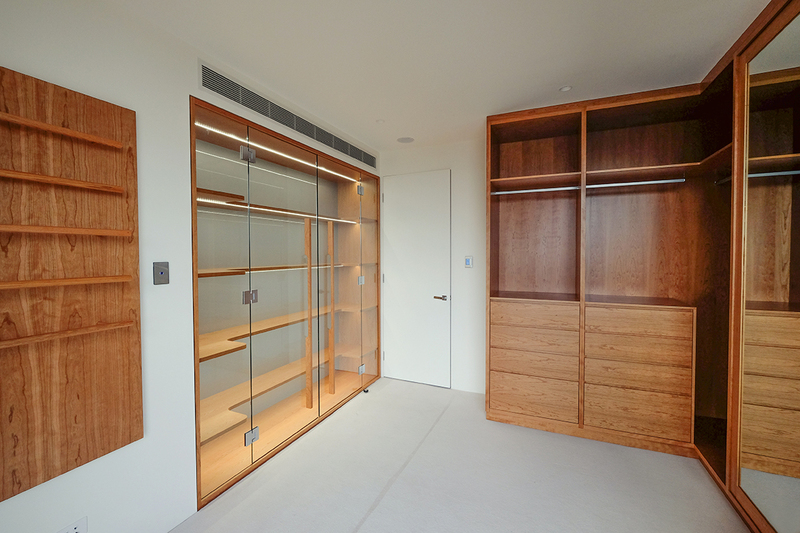 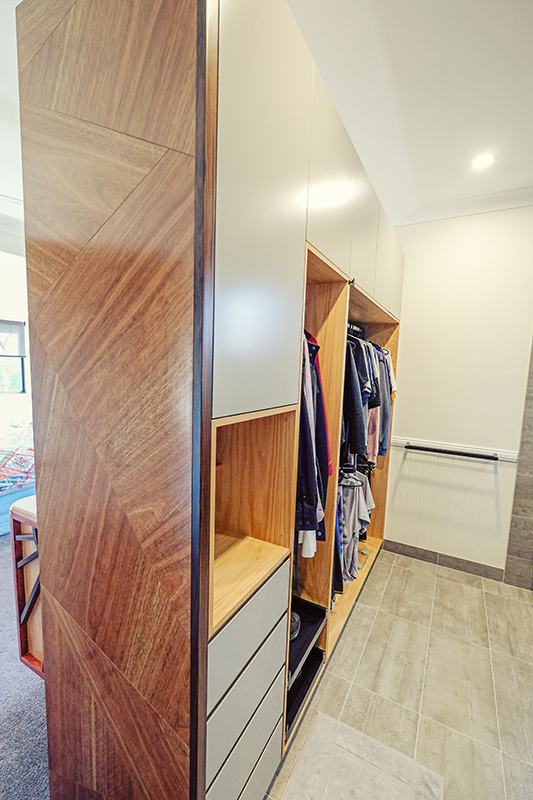 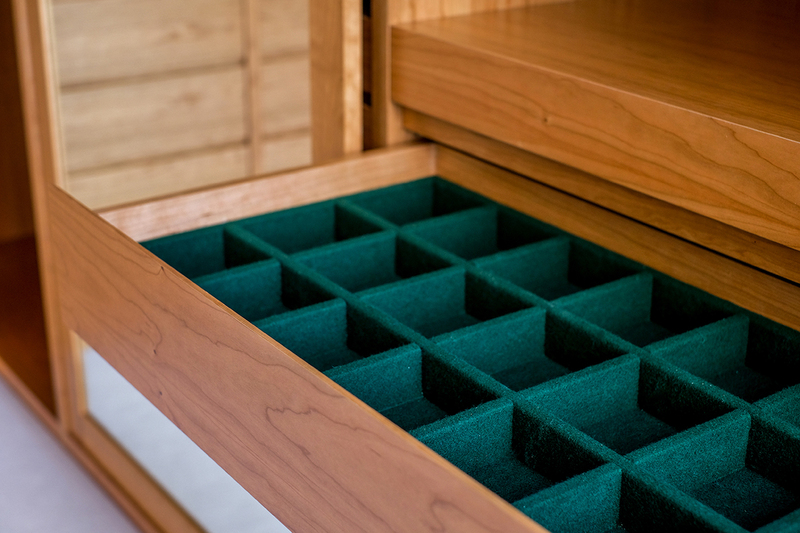 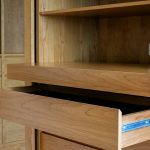 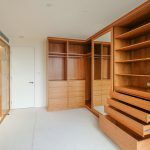 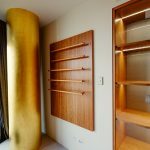 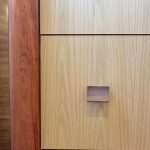 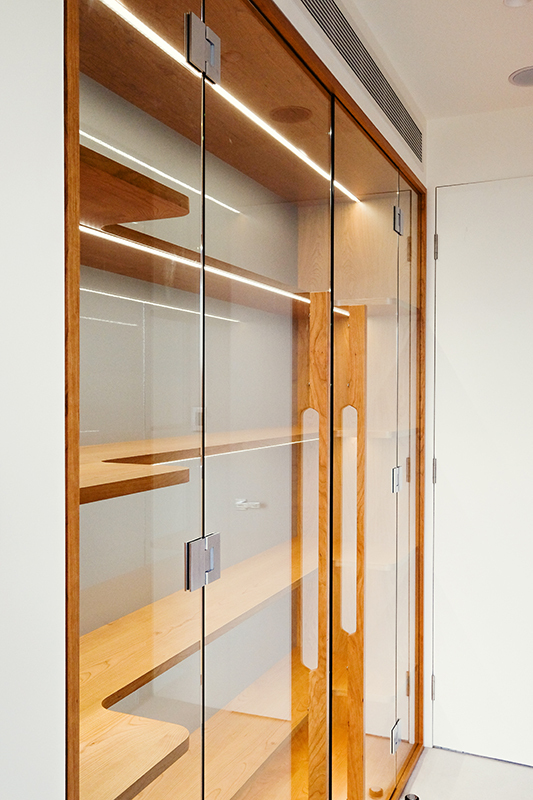 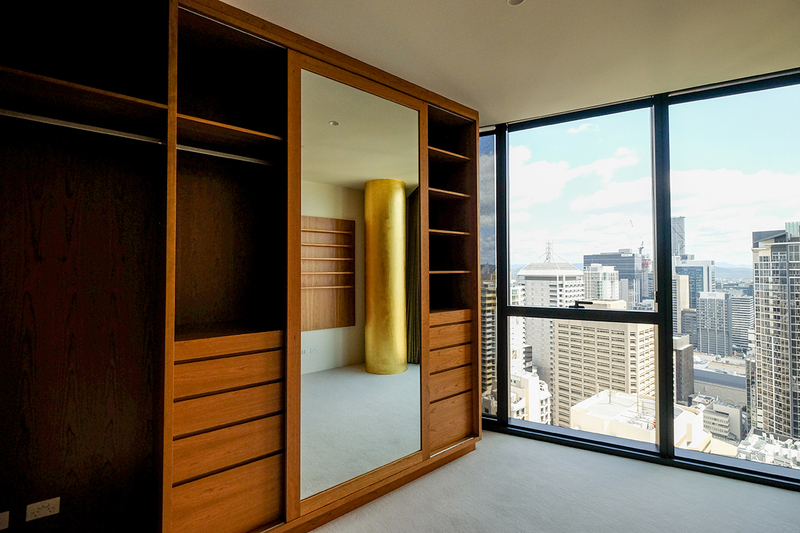 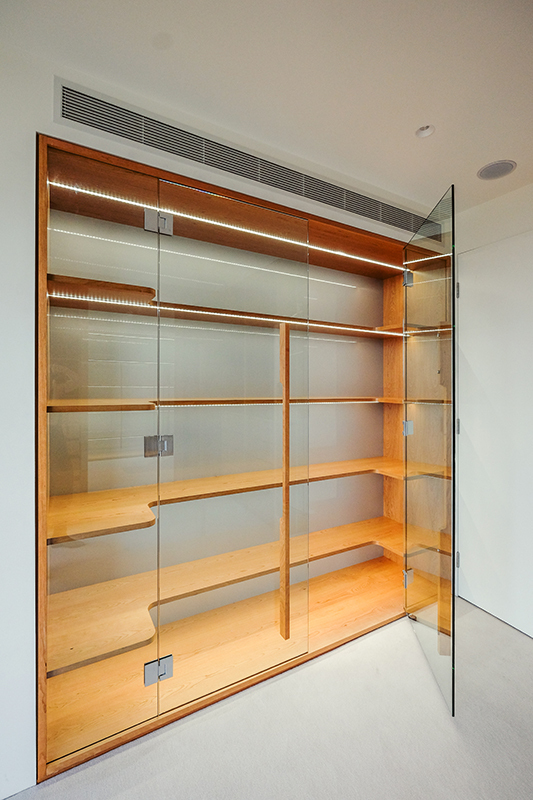 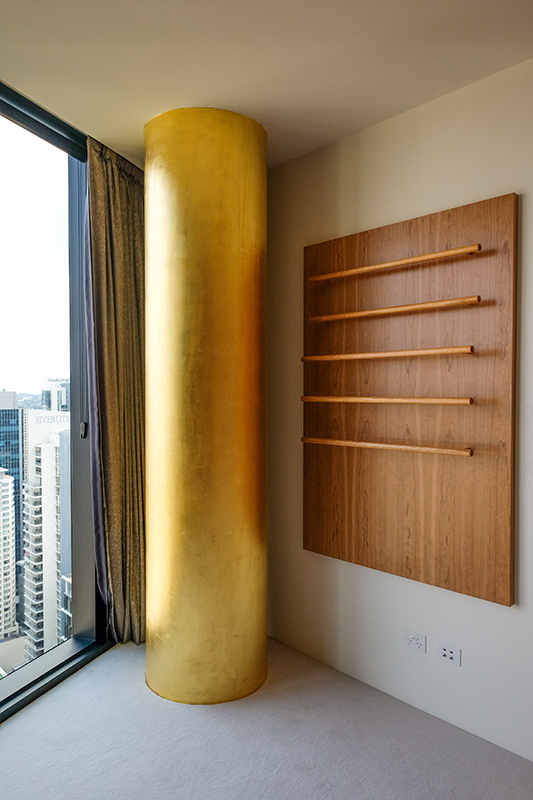 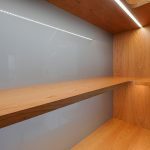 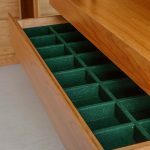 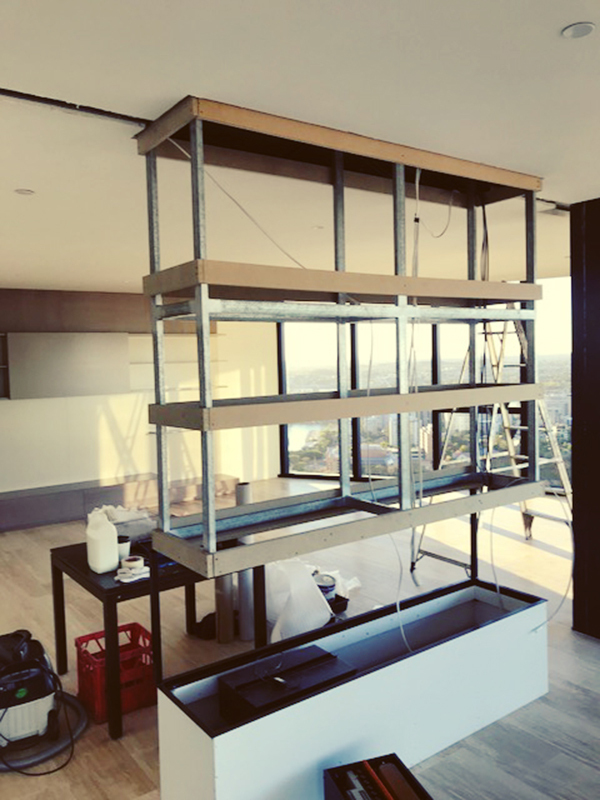 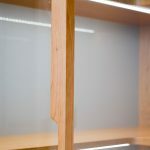 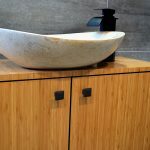 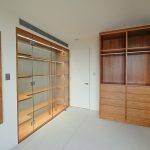 We used American Cherry Solid timber and veneer to create all the shelving, doors, sliding draws, jewelry pocket draws, hanging spaces and mirrored sliding doors. 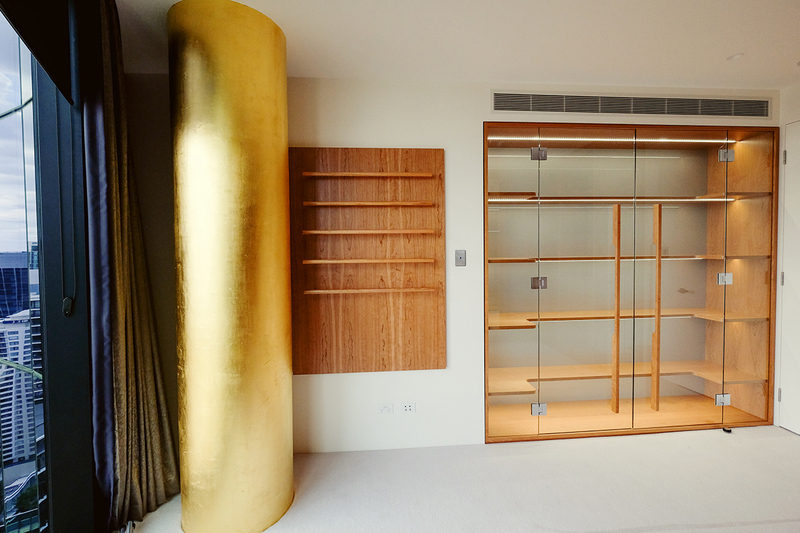 We also covered the interior column with 24 carat gold leaf which really adds a glamorous feel to the whole room. 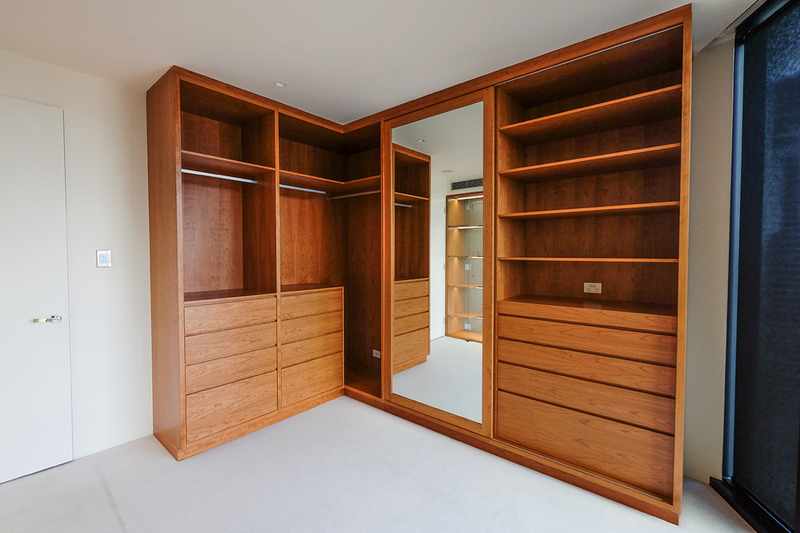 The owner is over the moon with their new dressing space and highly complimented our level of detail. 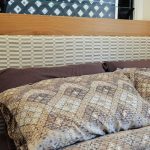 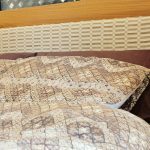 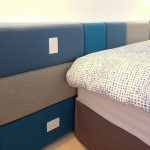 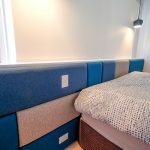 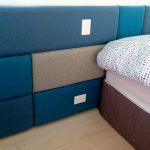 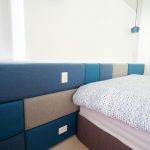 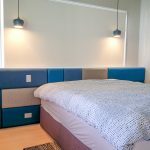 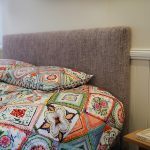 Wall to wall bed headboard creating a funky and comfortable vibe for the bedroom. 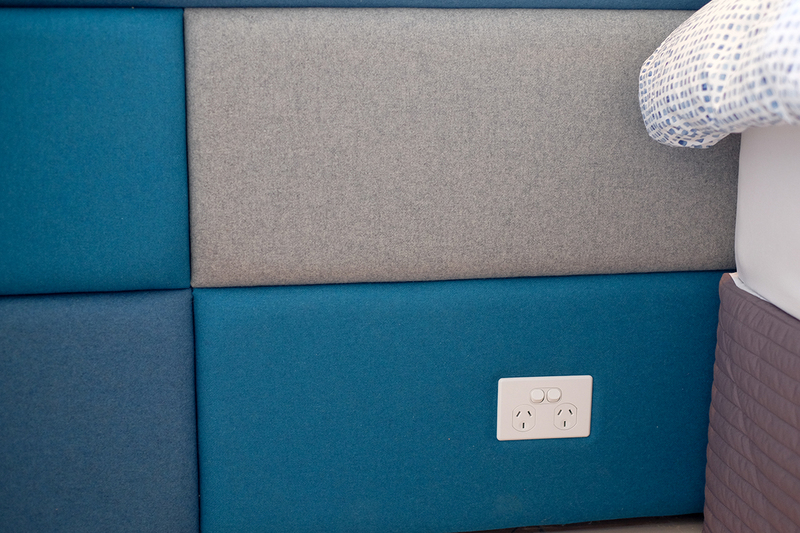 We mixed tones to bring in a more funky feel and installed power and light fittings at arms length. 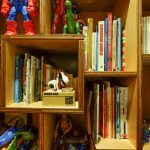 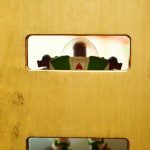 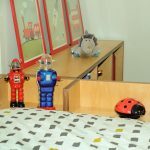 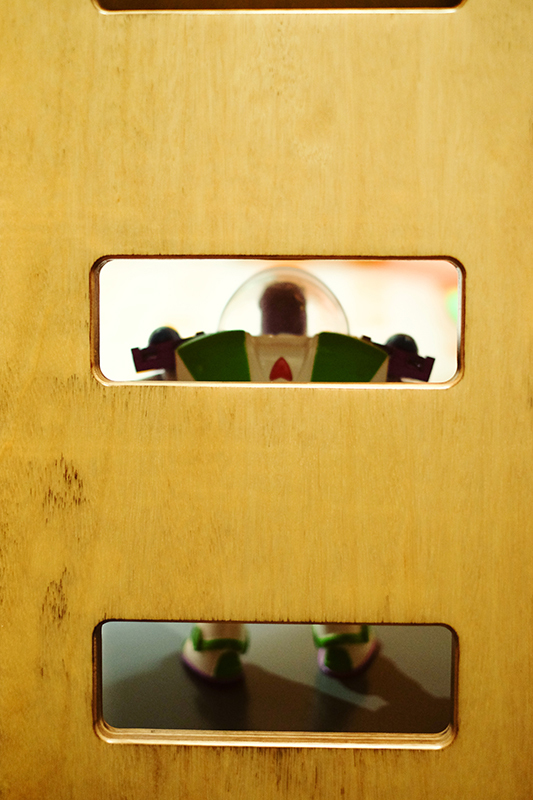 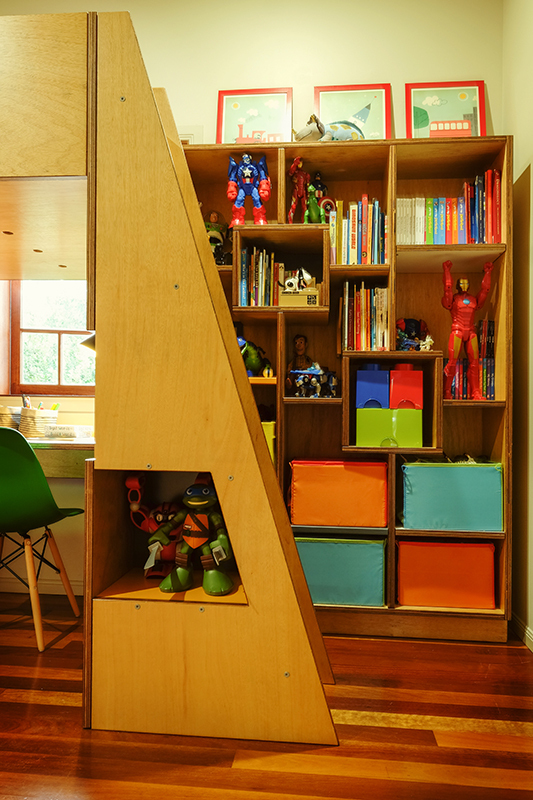 Our client’s son loves his new room. 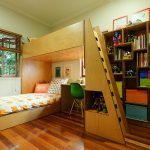 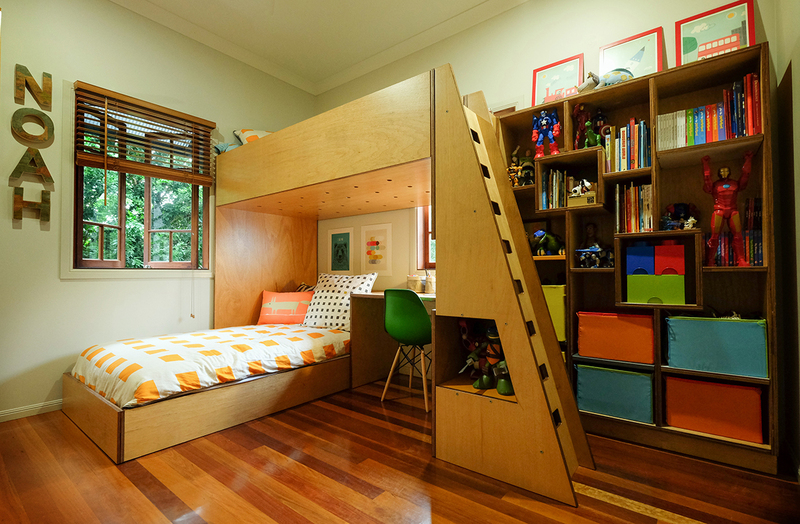 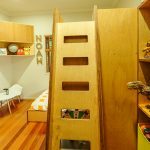 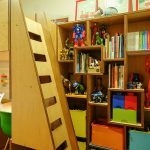 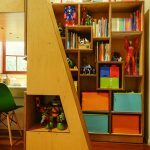 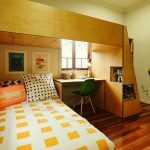 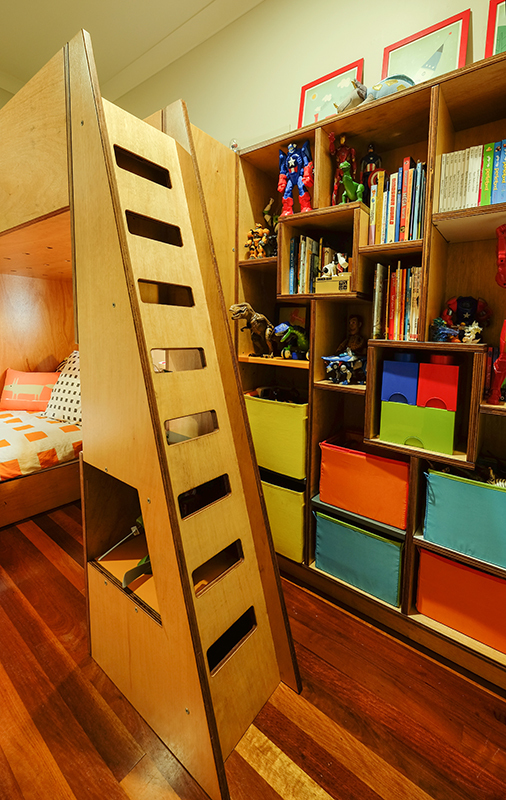 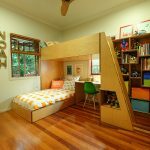 Stairway to heaven, bunkbeds, desk and bookcase in one. 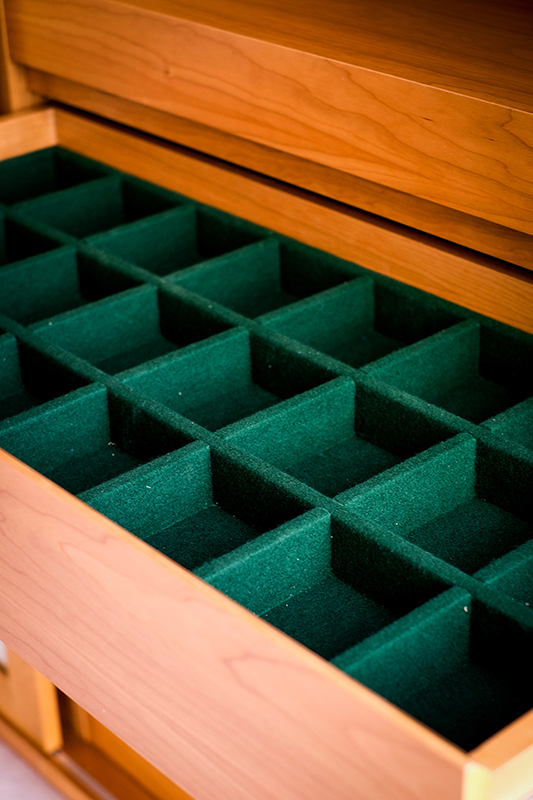 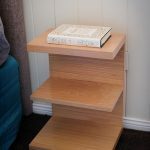 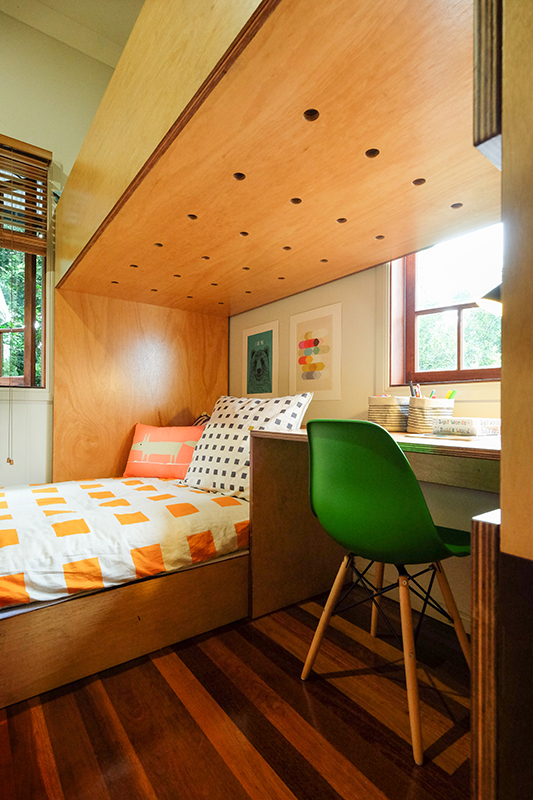 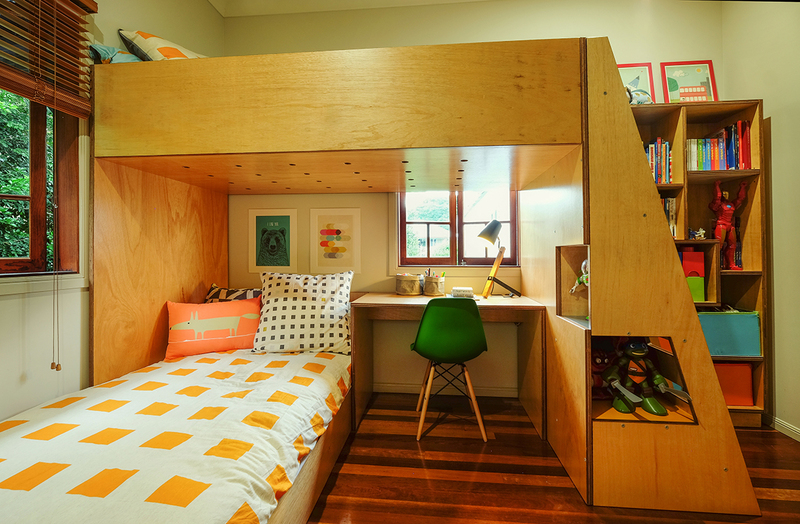 Our brief was to make a fun bed, in a bunk style, so a friend could sleep over and include a desk and a bookcase. 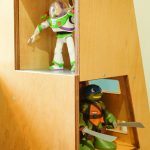 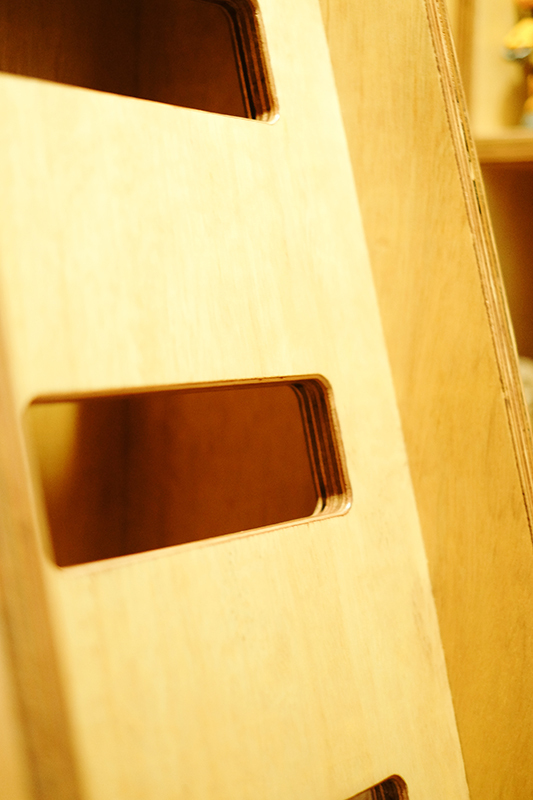 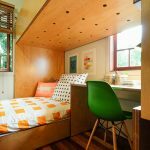 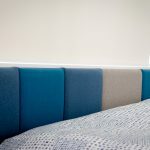 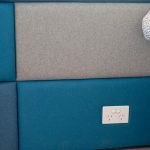 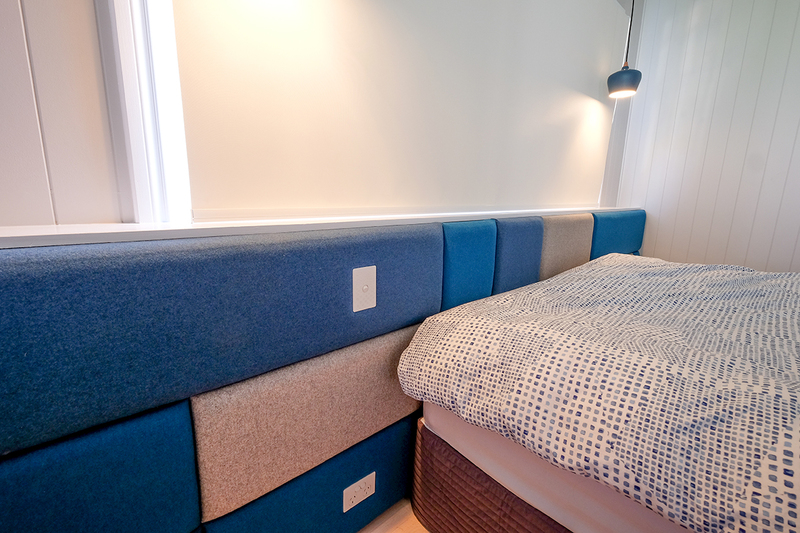 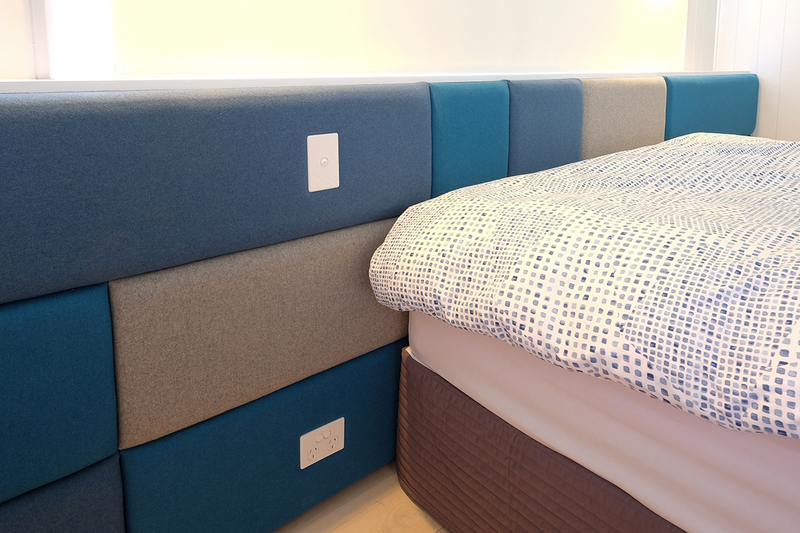 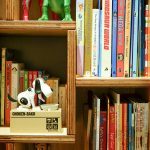 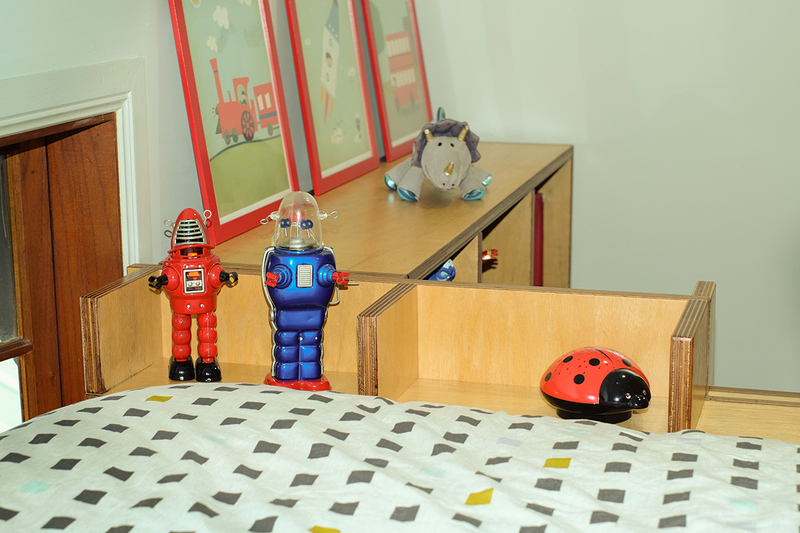 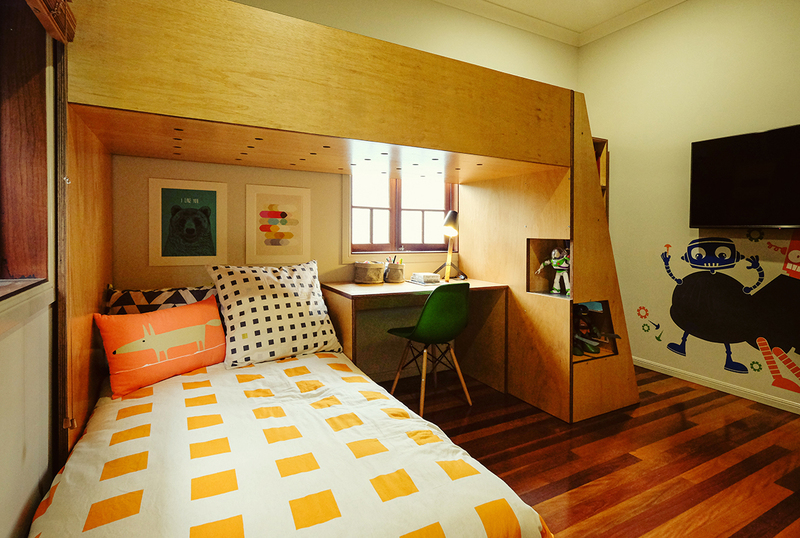 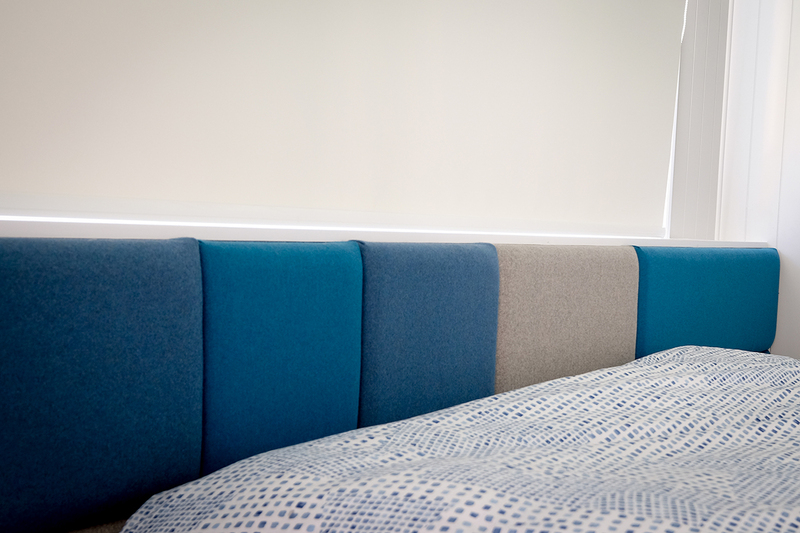 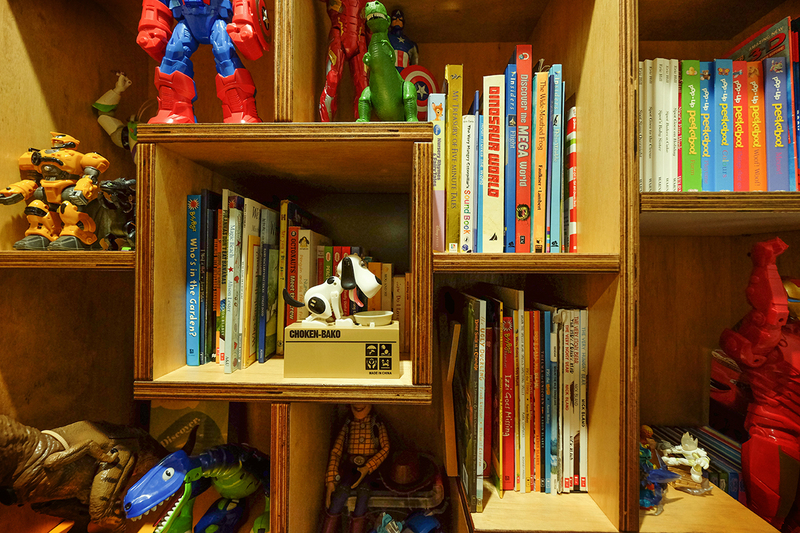 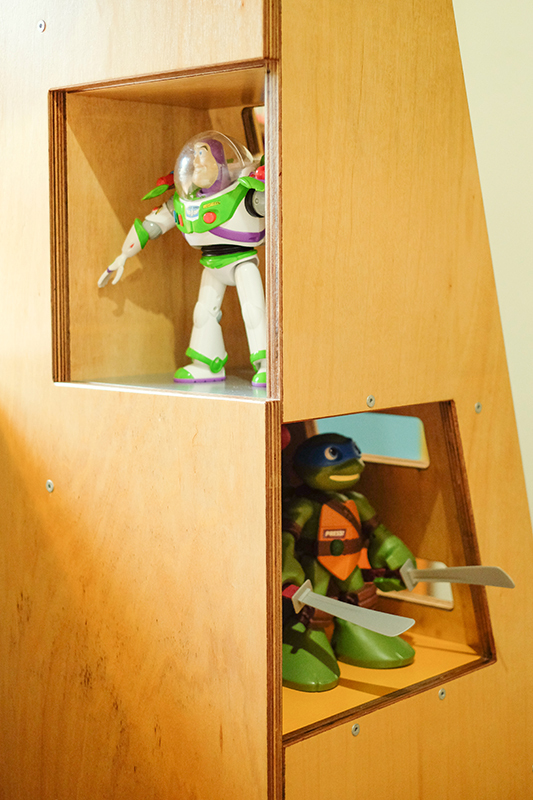 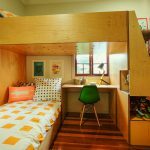 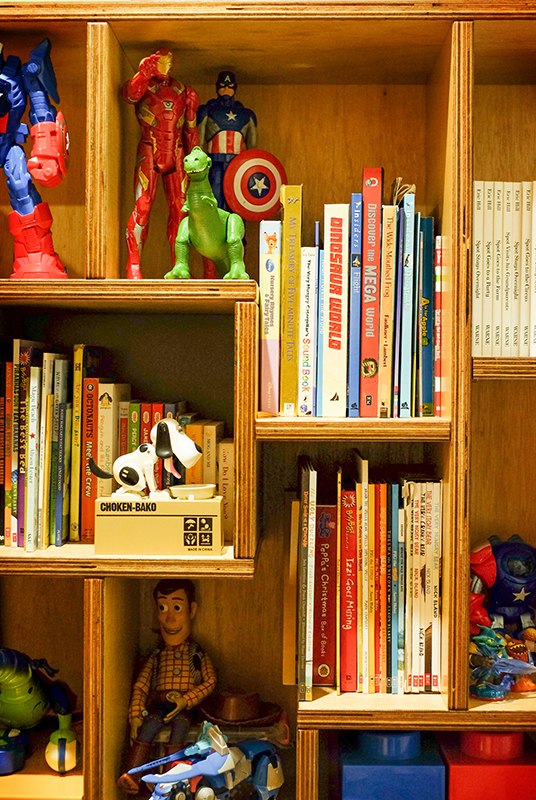 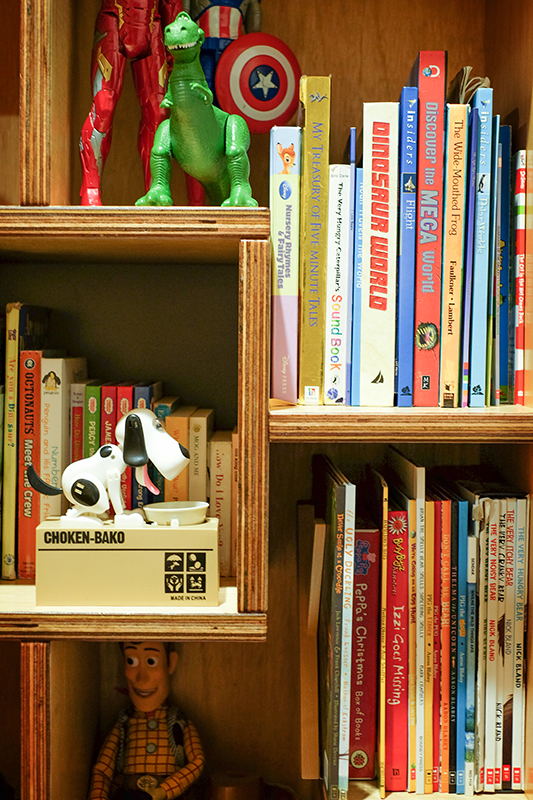 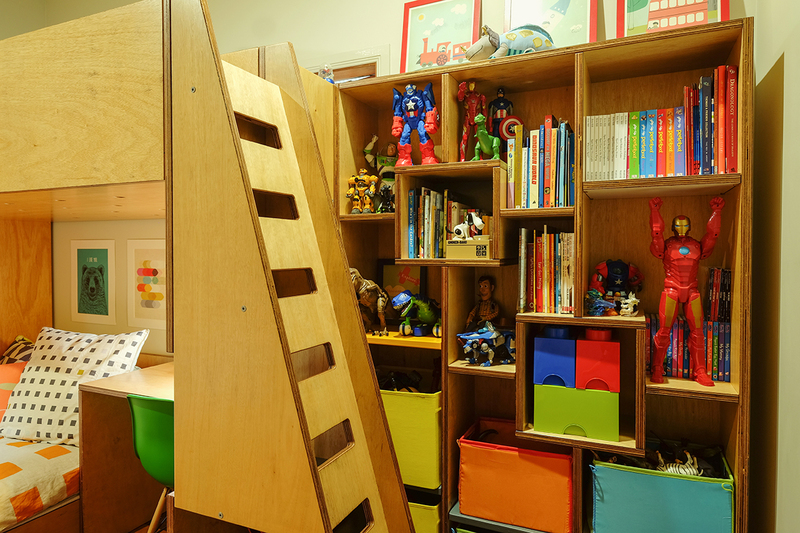 We designed the bunks, desk and shelves to all fit snug and create an environment that was fun and practical. 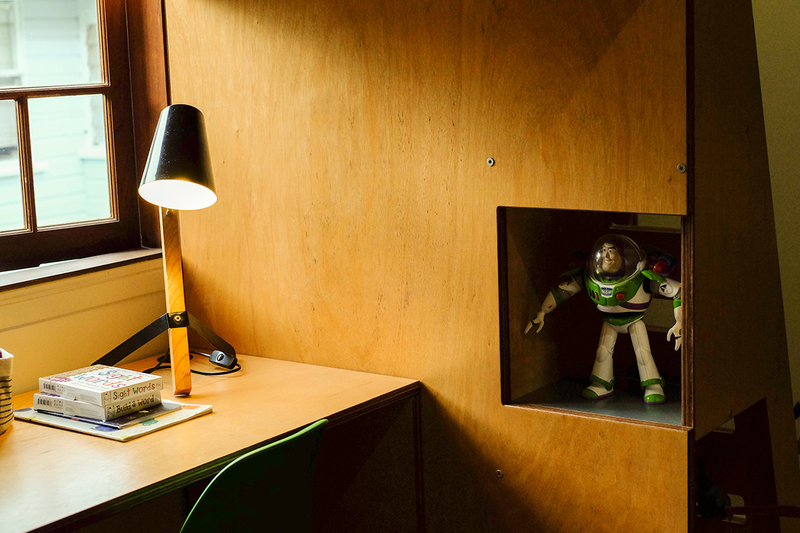 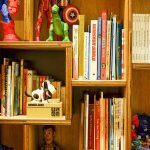 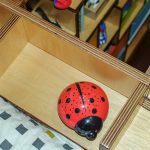 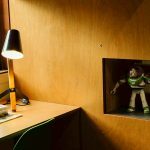 We utalised the window light for the deskspace and included shelves at the end of the top bunk and nooks for favorite toys. 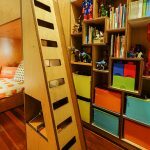 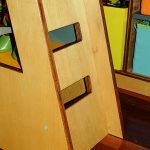 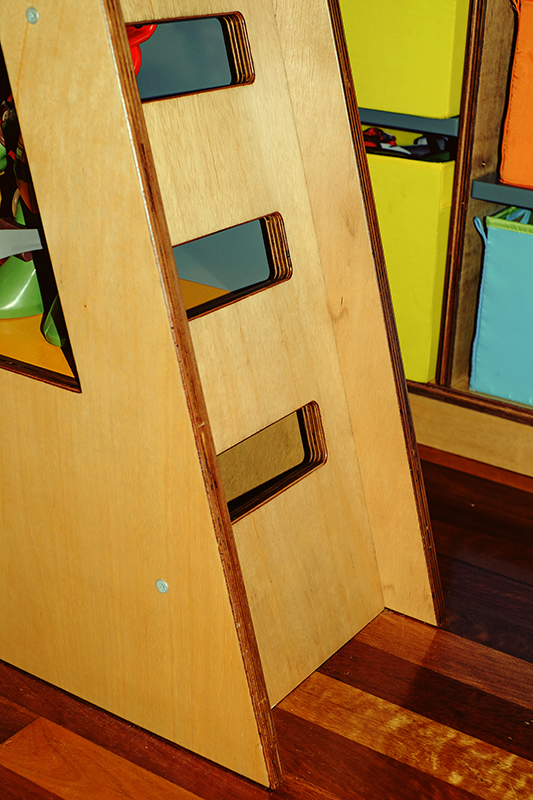 The funky ladder stairs to the top bunk were carefully designed for safety and ease of use. 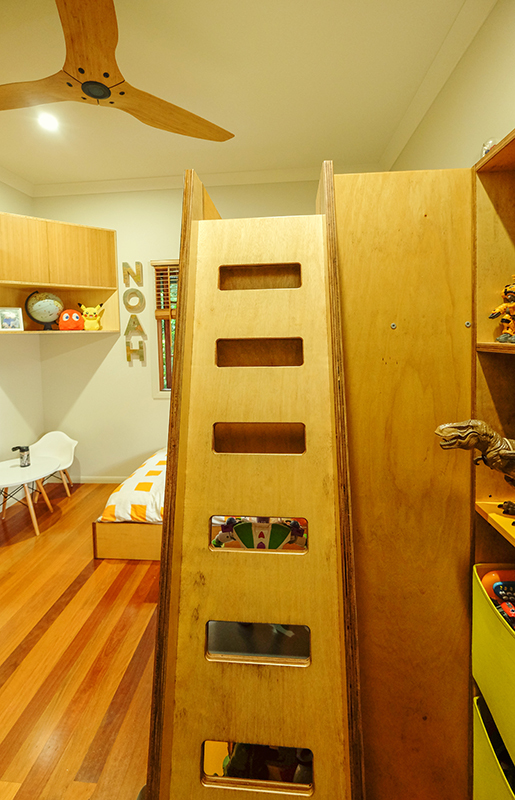 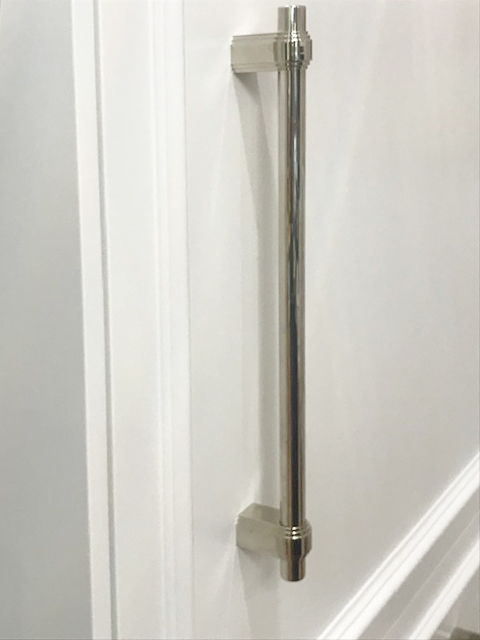 Our client was very happy with the end result, and their child just loves sleeping in their room now and can’t wait to have sleepovers with friends. 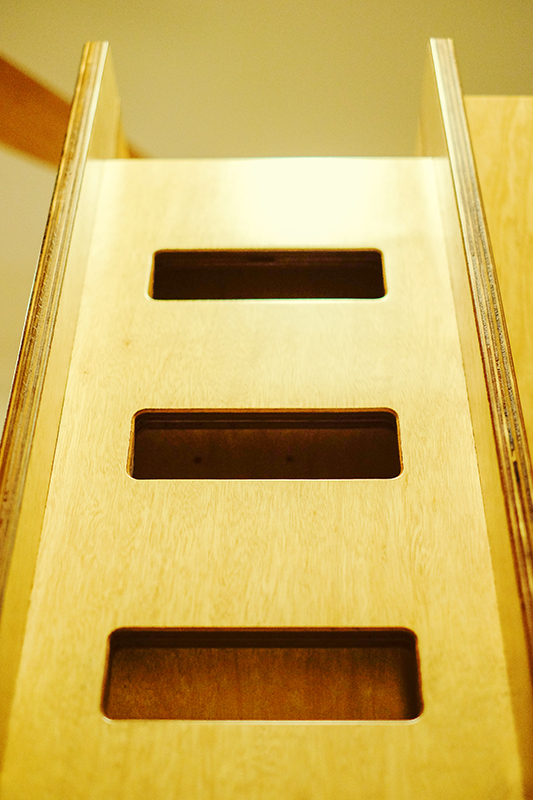 The greatest pleasure was seeing his face light up when we had finished creating his new stairway to heaven. 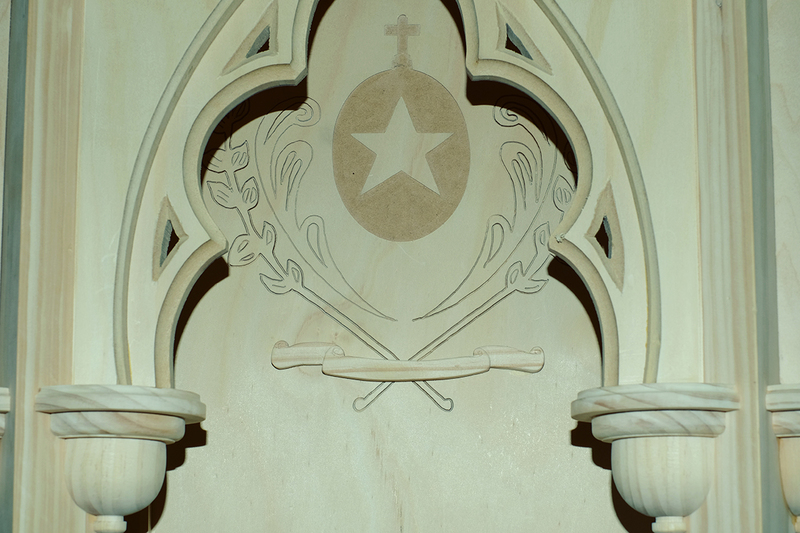 The Gregory Terrace Foundation asked us to make a new Honour board for the World War II roll of Honour. 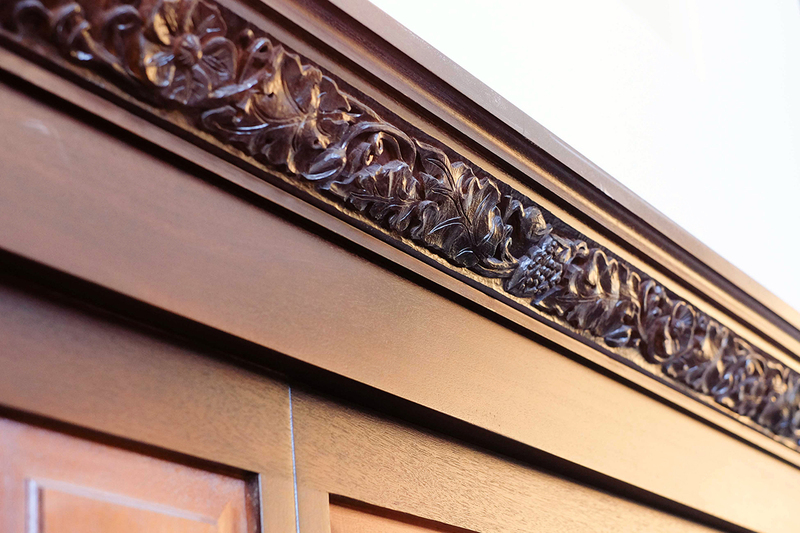 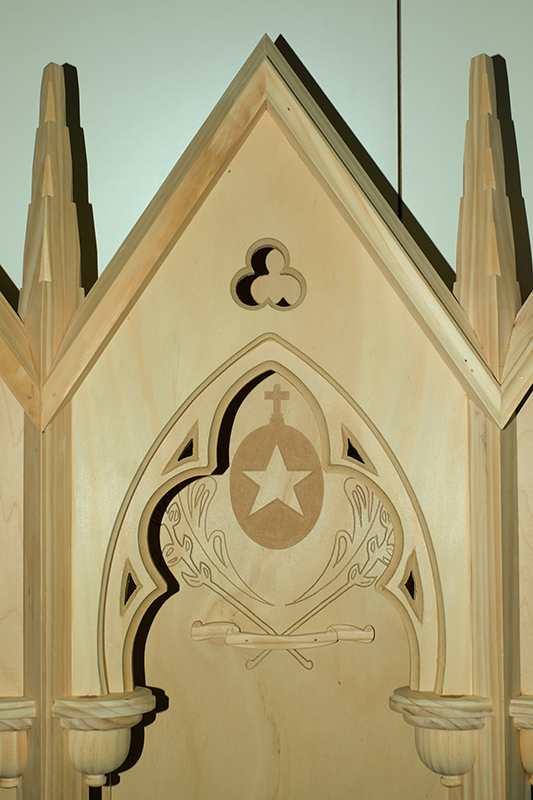 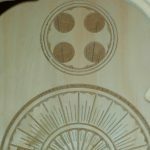 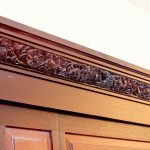 They wanted it to match the existing Honour Board, we matched the new Honour board in every detail, we handed turned and hand carved every detail to produce an identical piece. 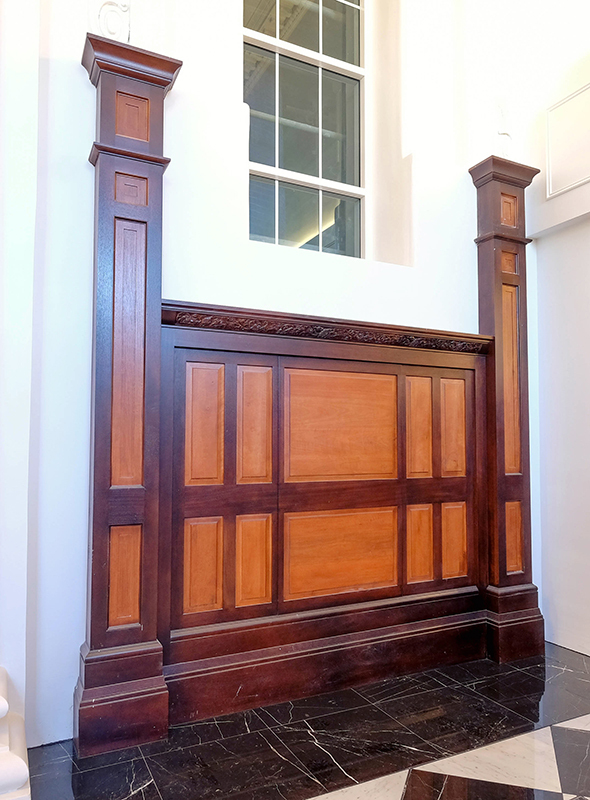 Our Client is very happy with the end result, and this board has taken its place alongside the original in The Great Hall at Gregory Terrace. 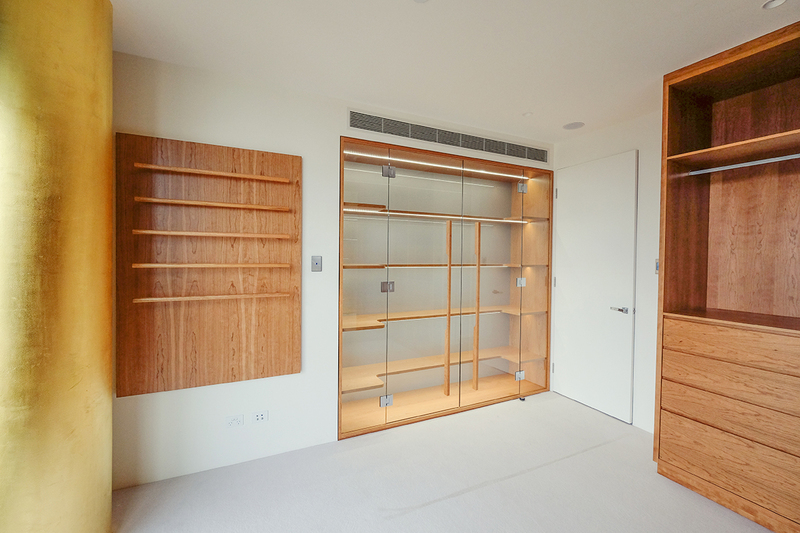 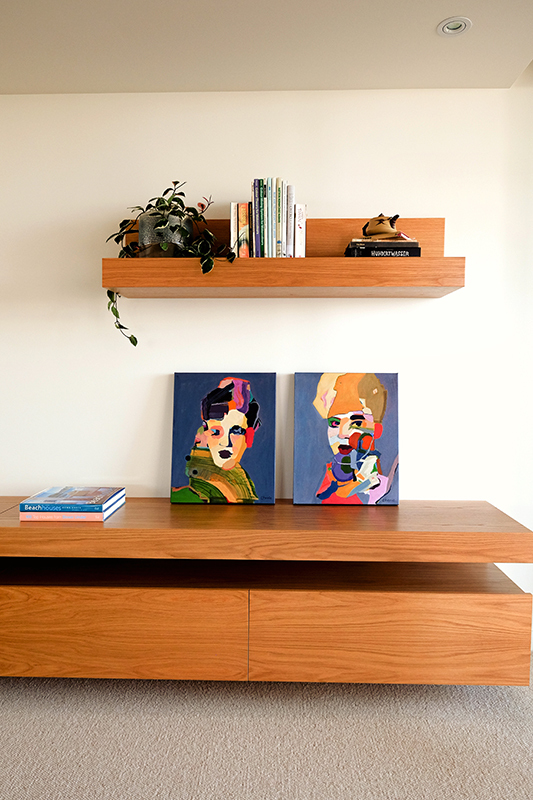 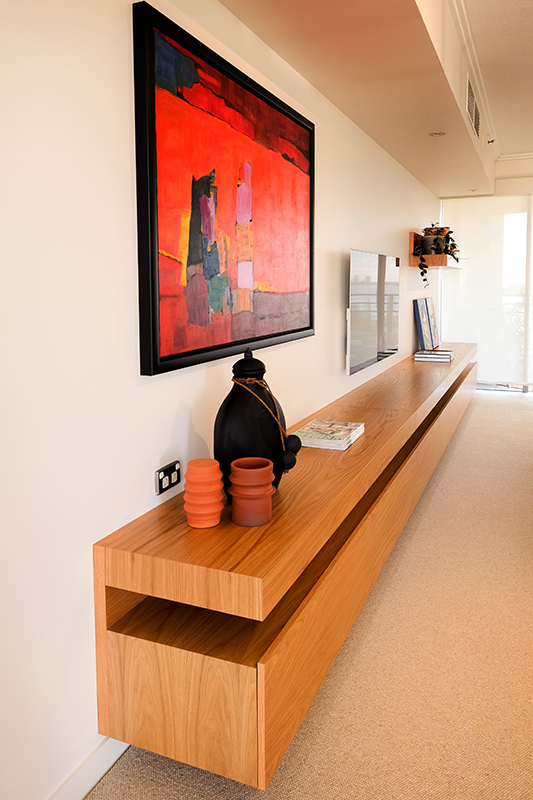 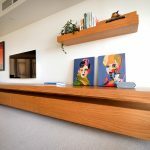 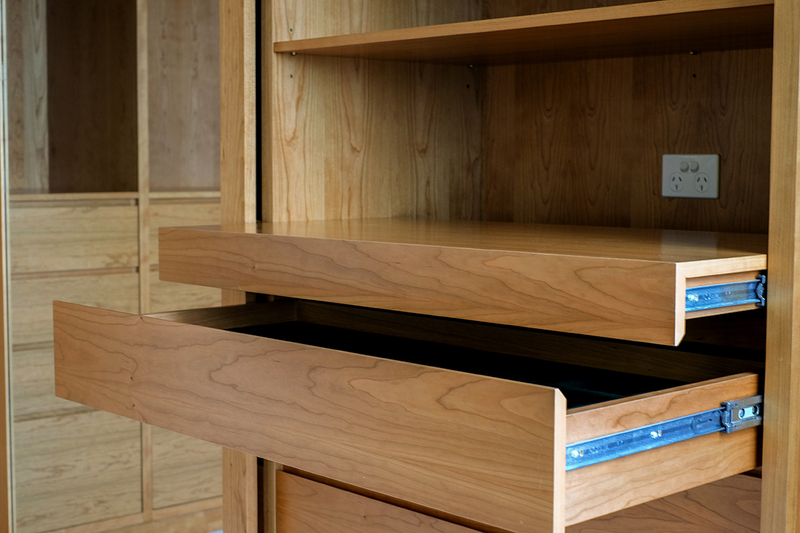 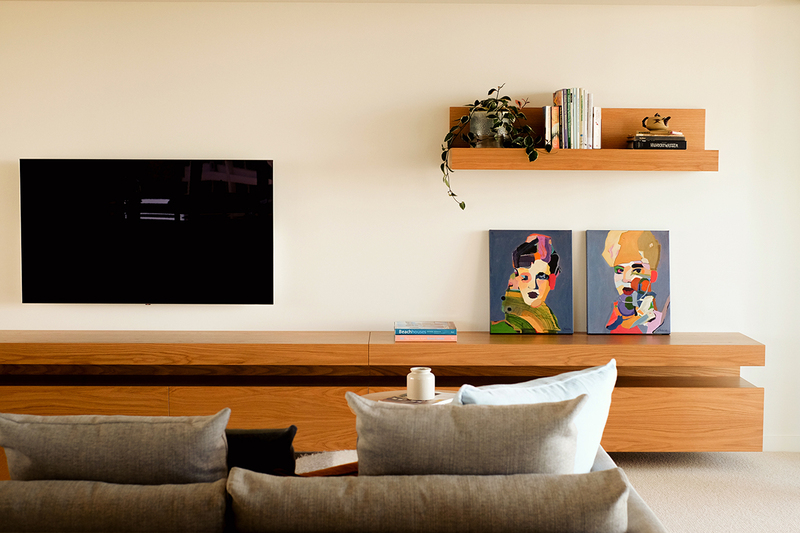 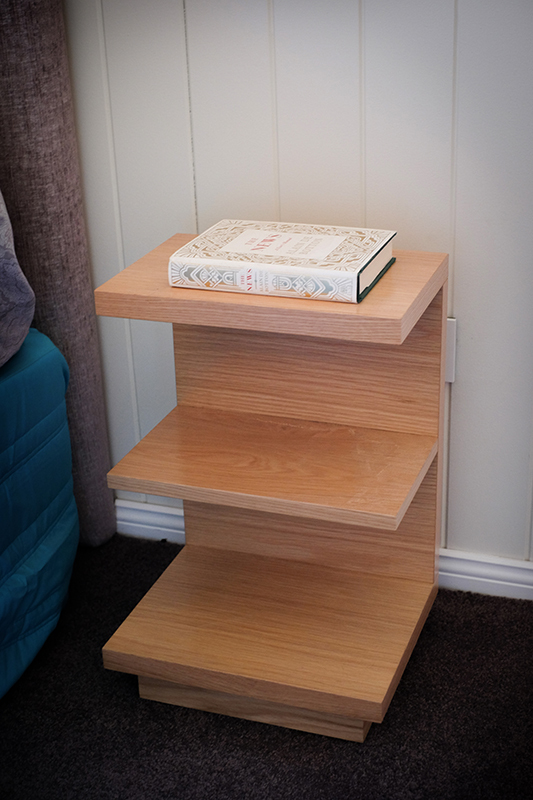 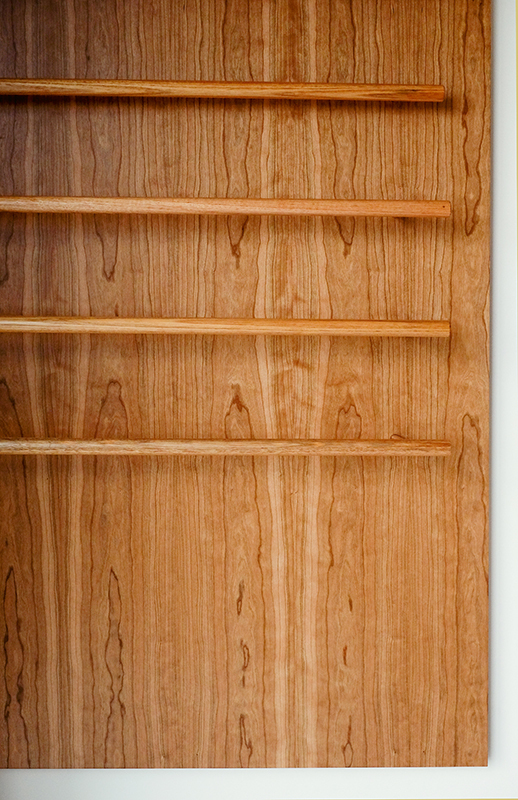 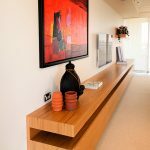 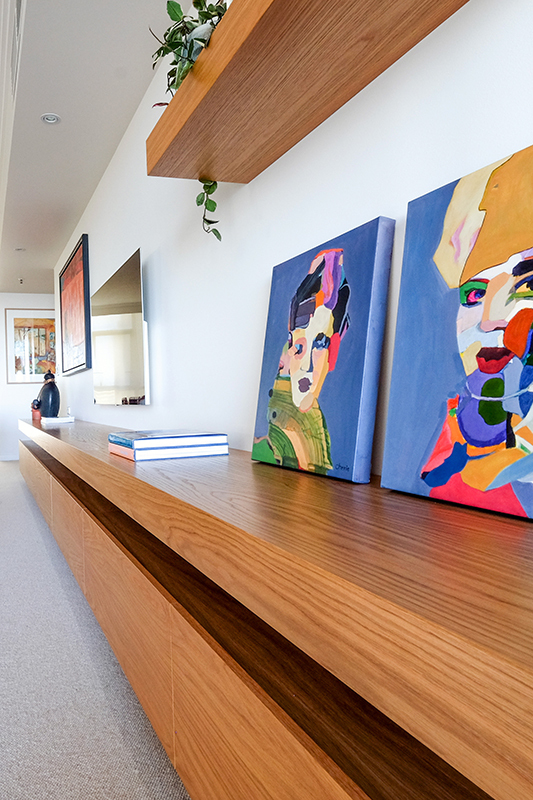 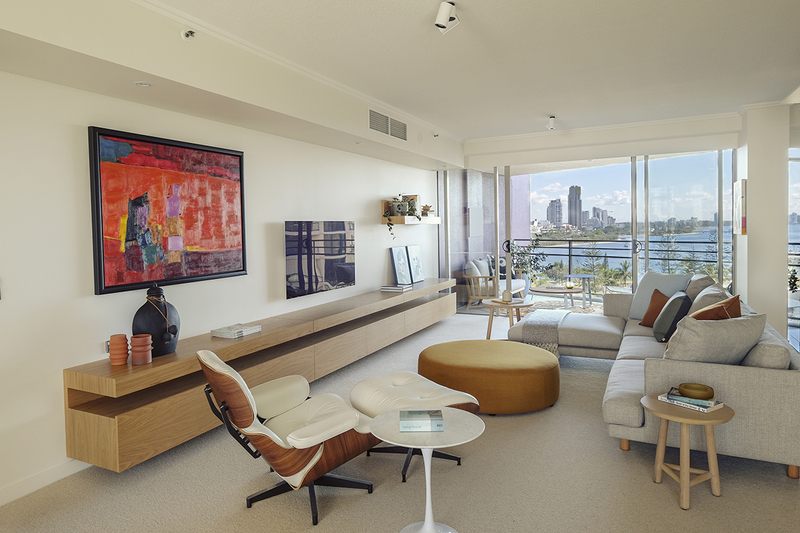 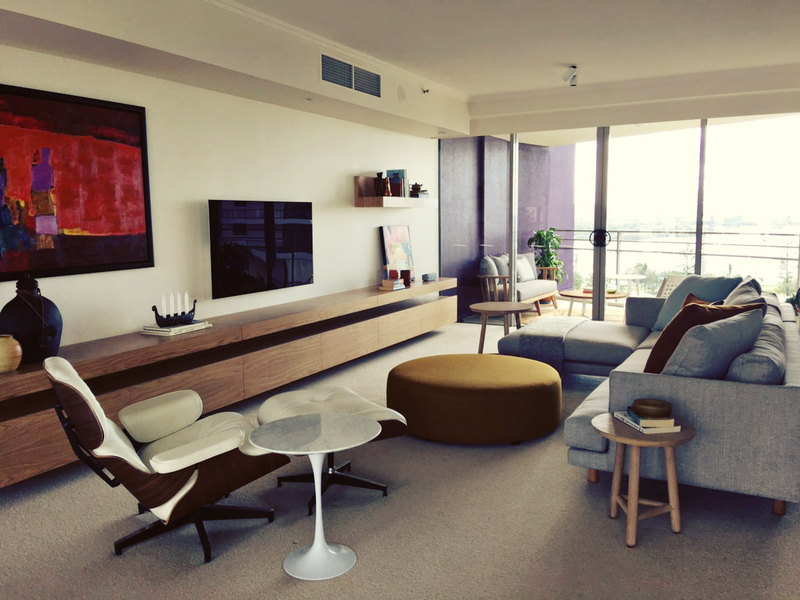 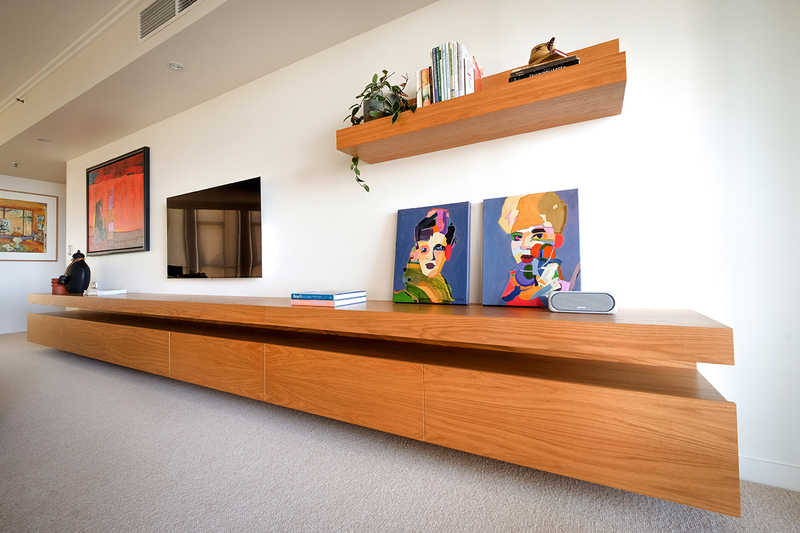 We built this beautiful wall unit from natural oak creating a fresh modern look for this beachside apartment. 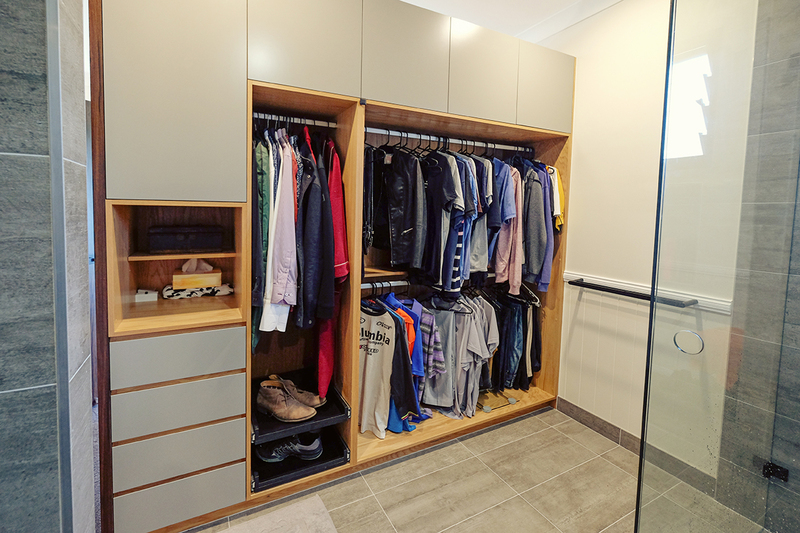 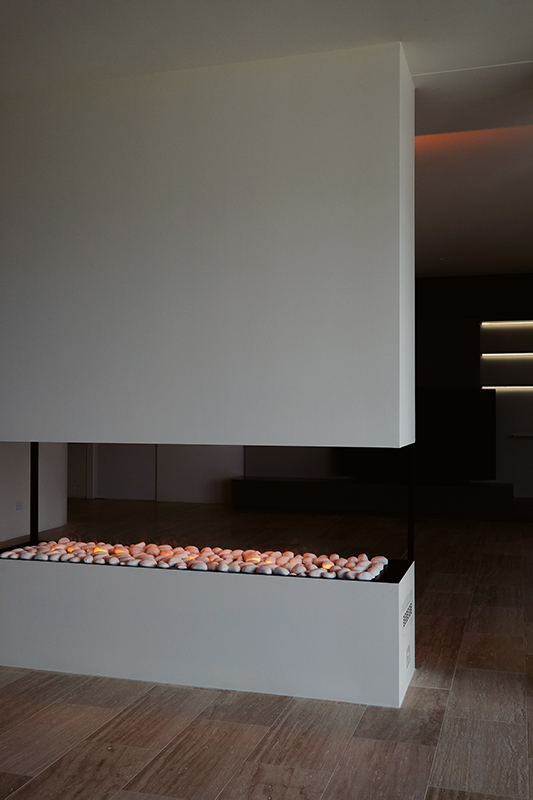 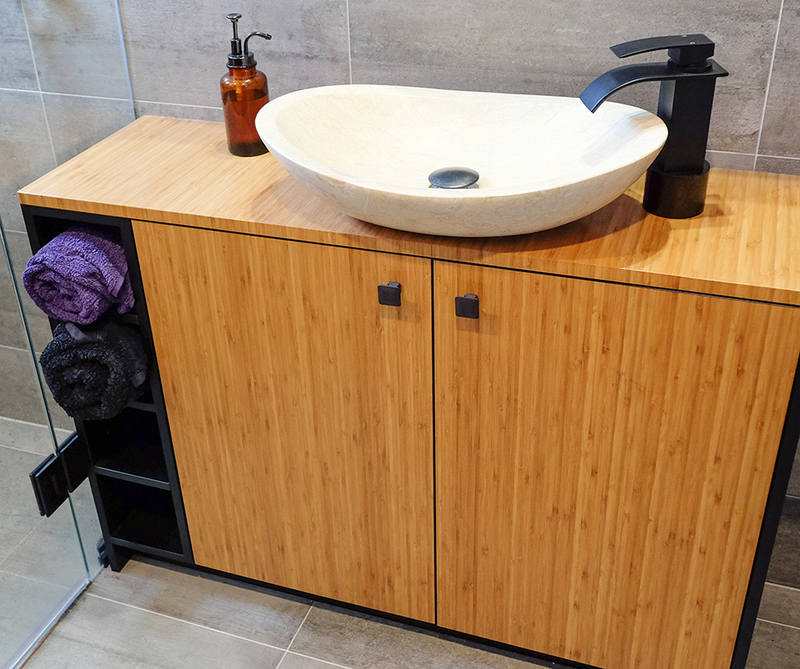 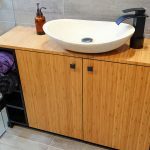 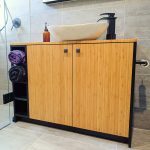 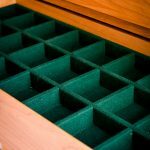 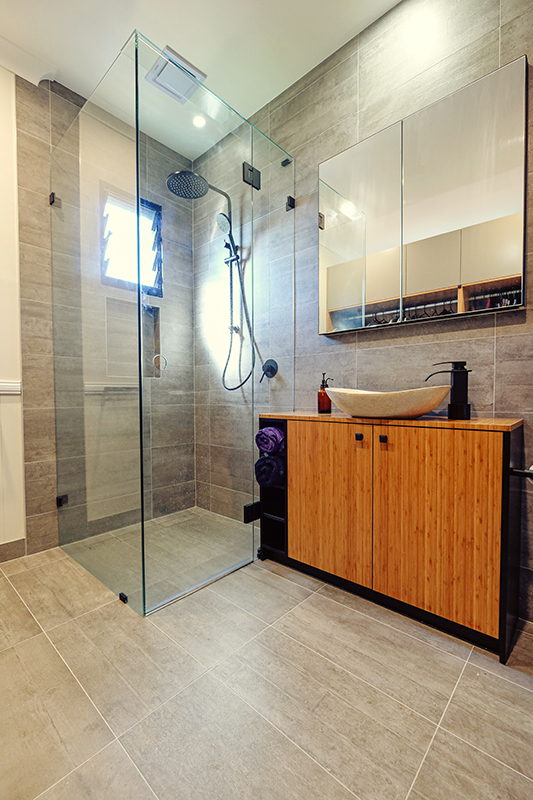 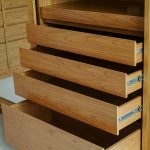 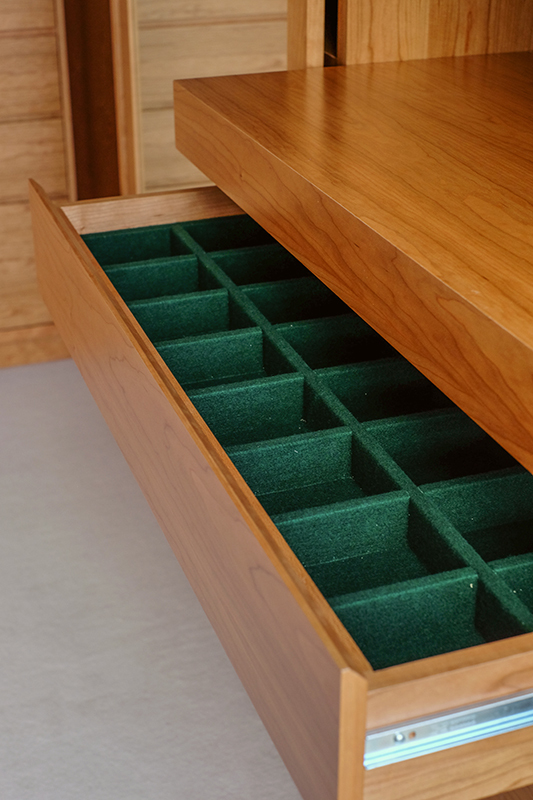 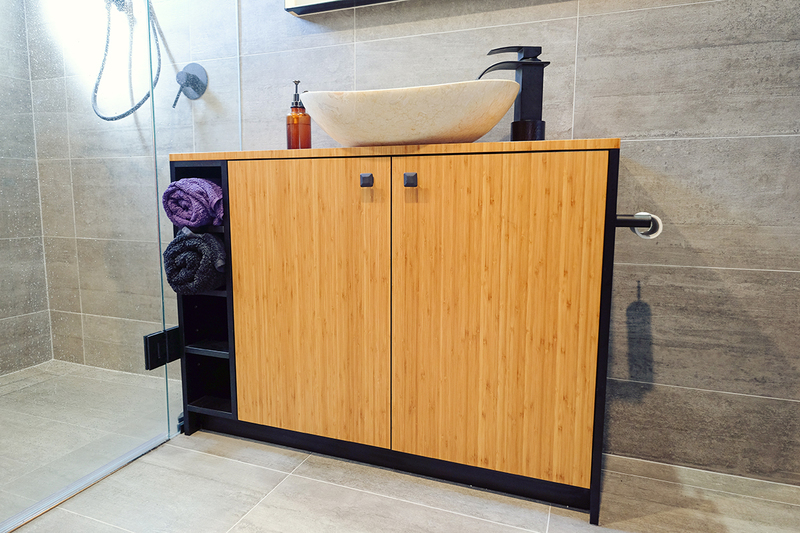 This unit is space saving, creating surface space and storage space utalising design, space and functionality. 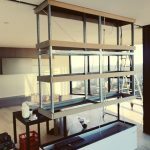 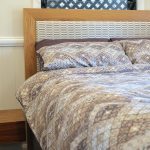 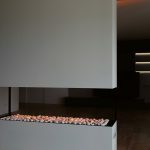 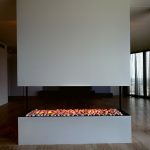 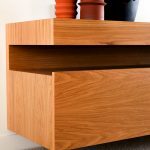 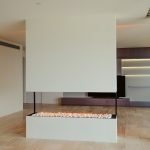 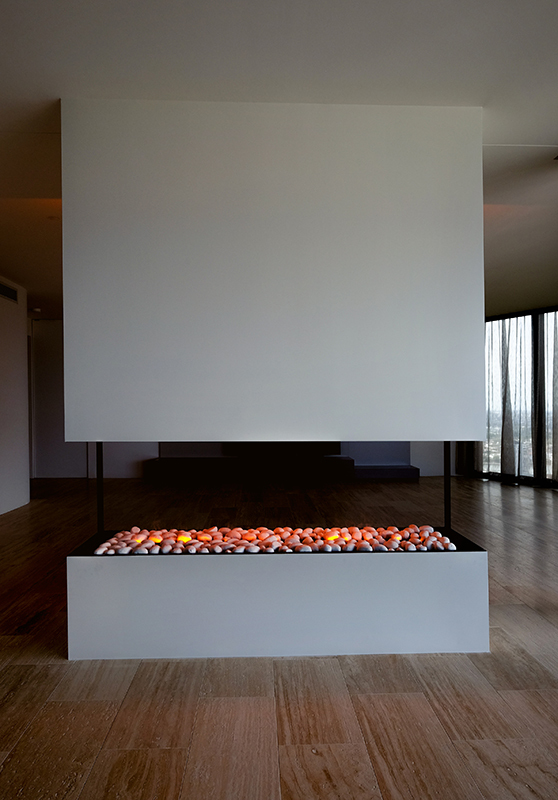 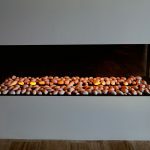 This unit is 6 meters long and is built in natural oak. 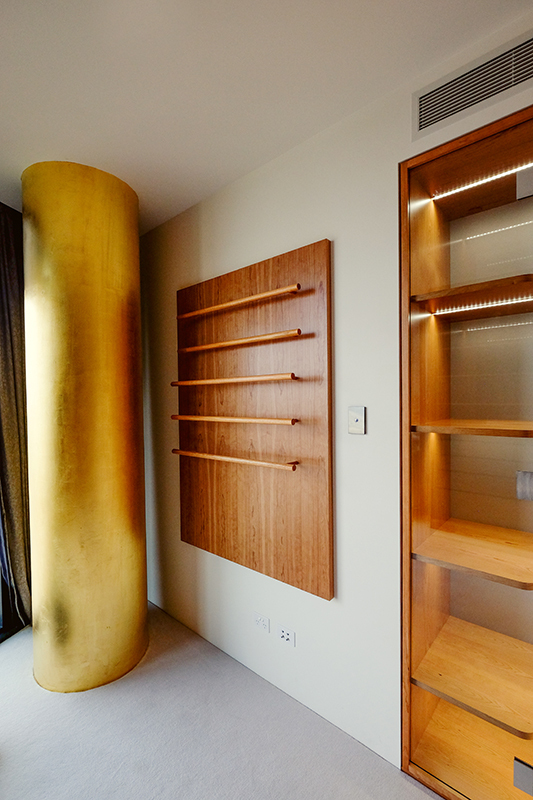 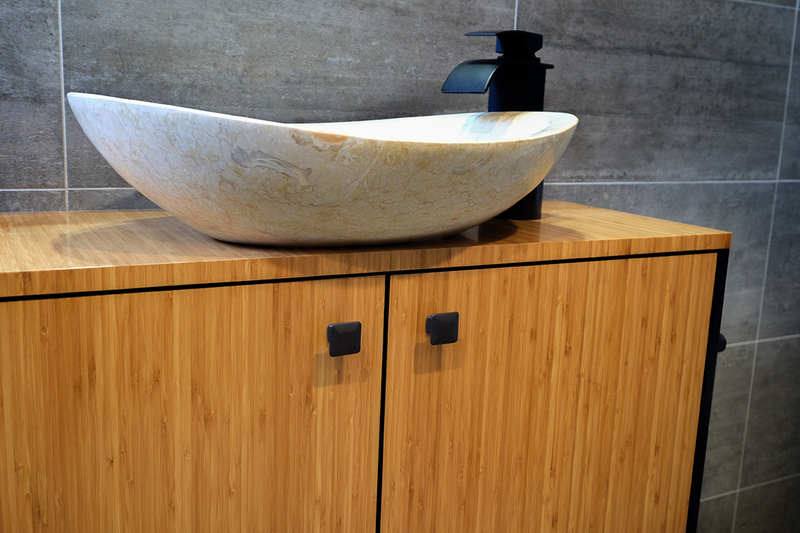 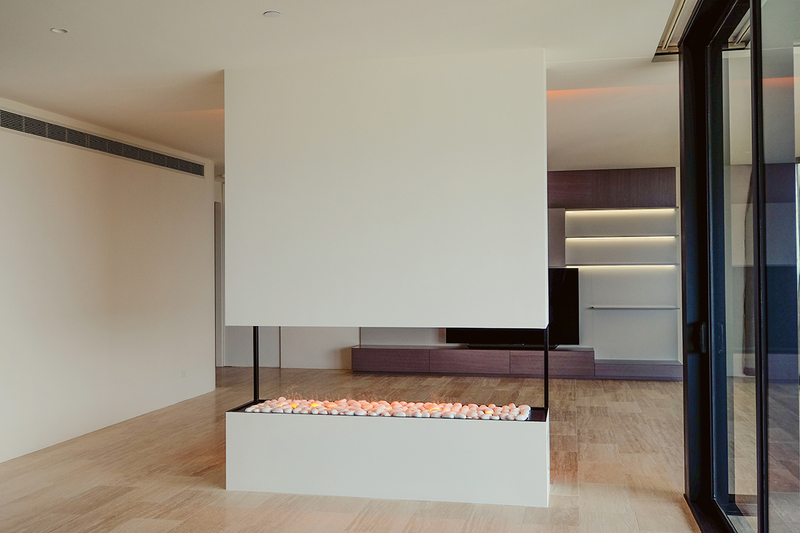 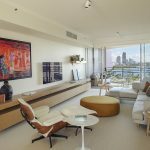 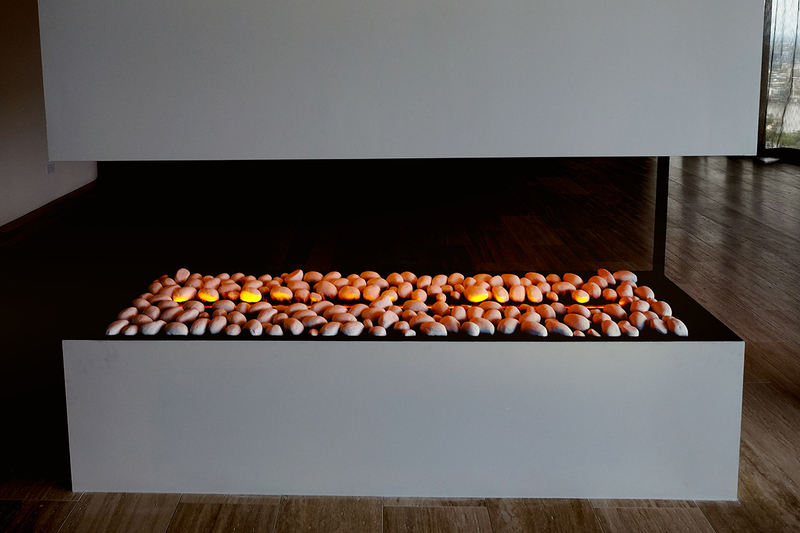 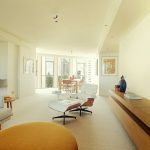 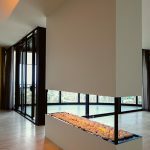 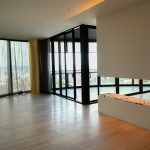 The unit was designed by Gary Hamer from Gary Hamer Interiors. 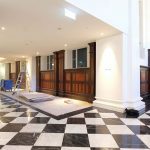 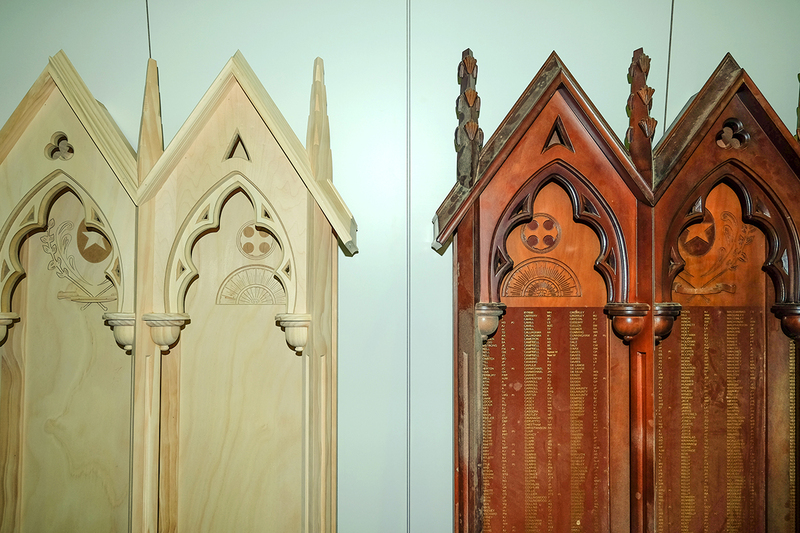 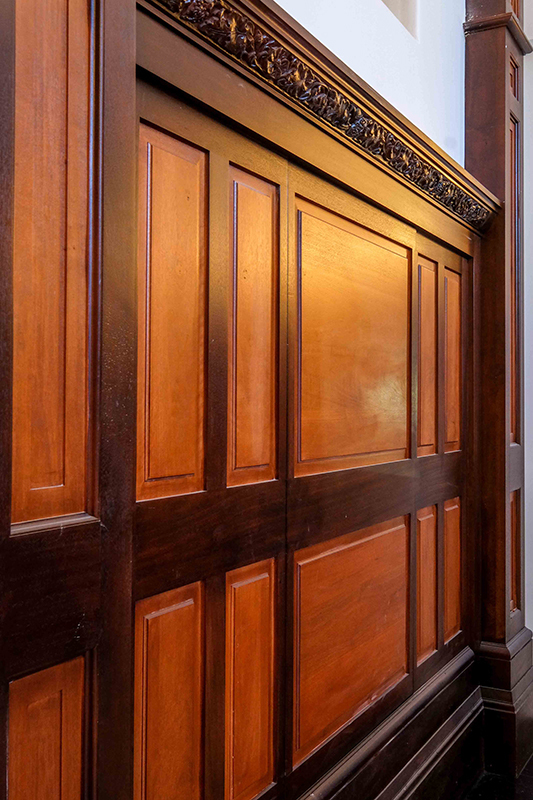 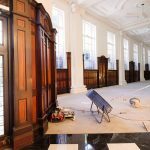 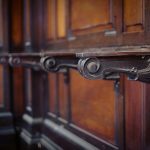 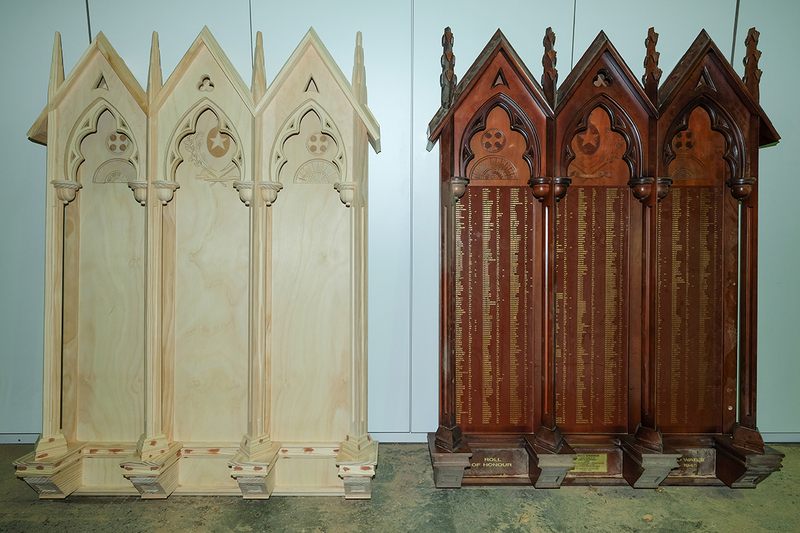 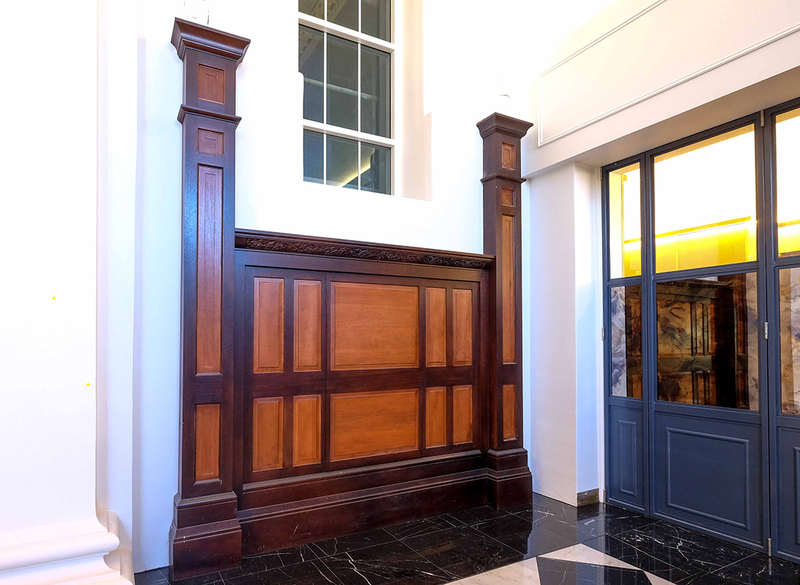 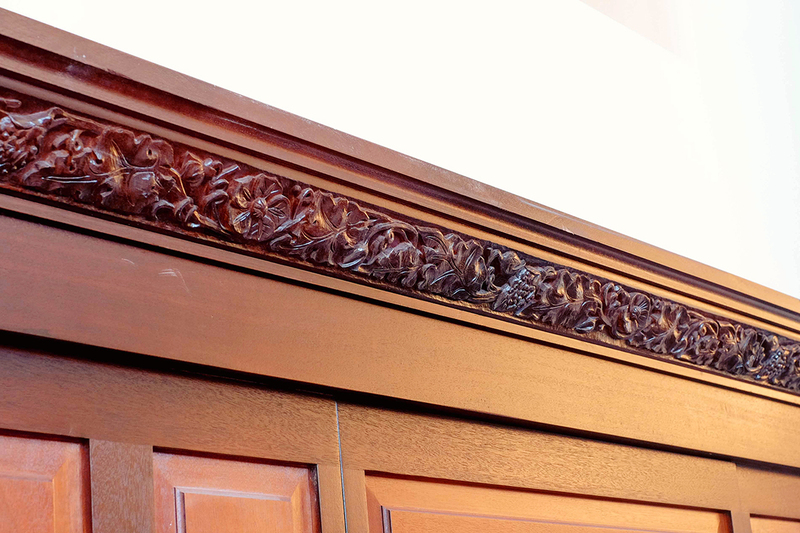 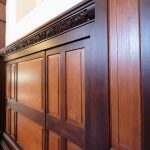 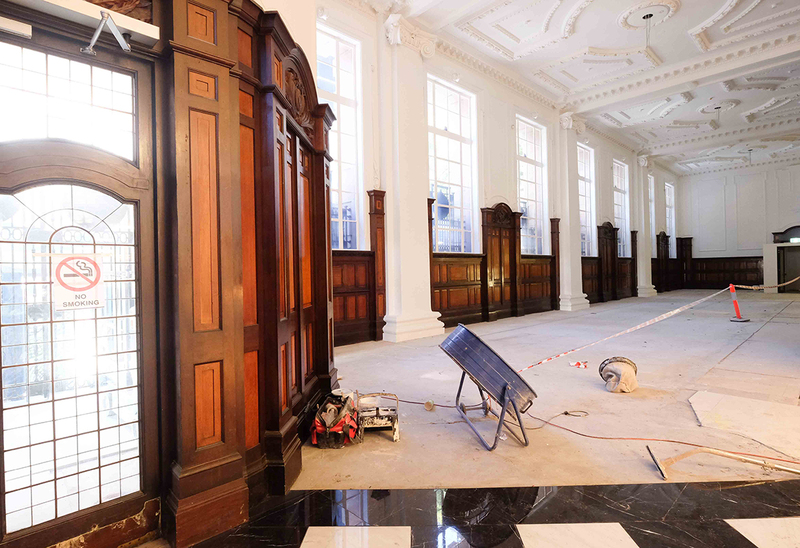 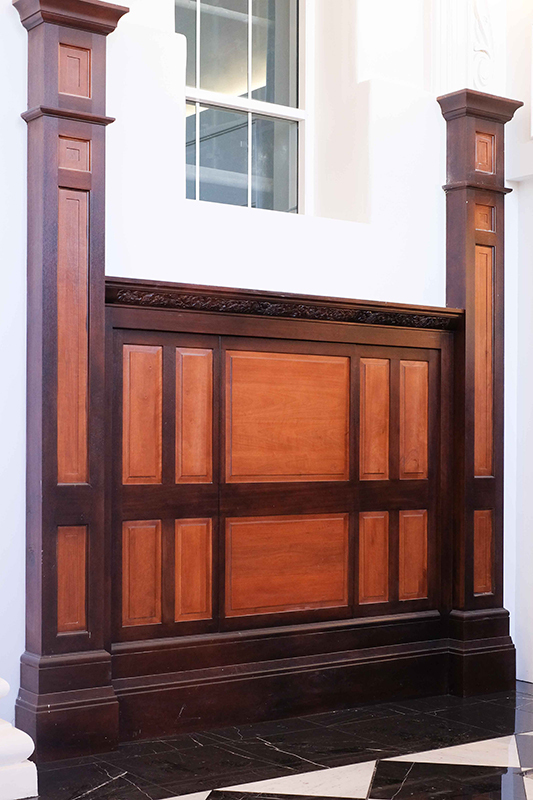 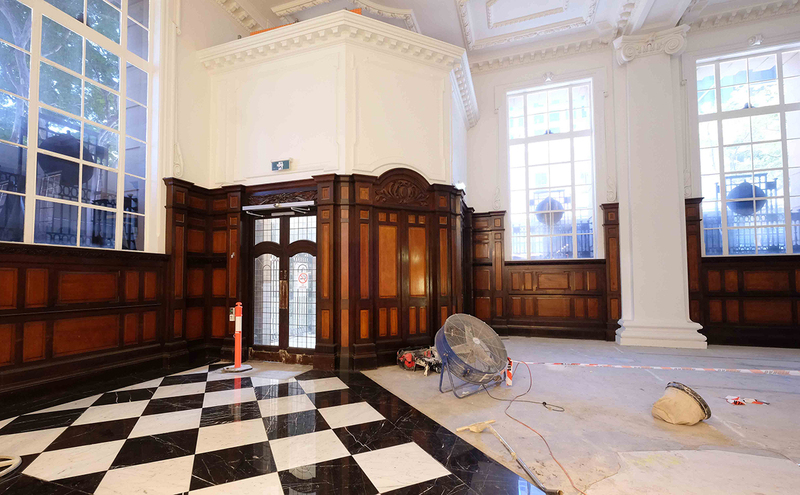 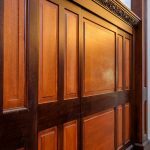 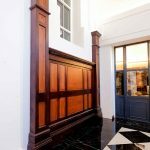 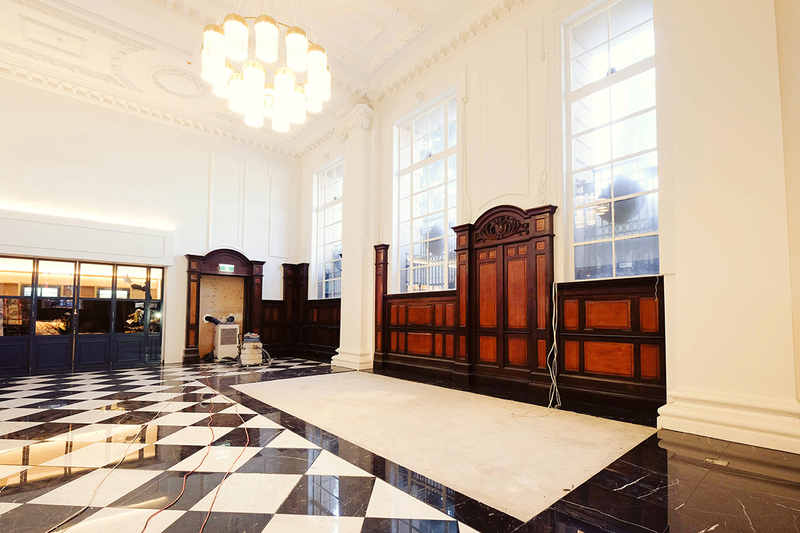 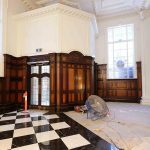 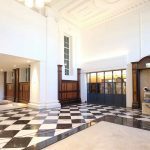 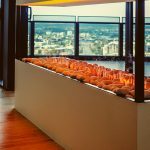 Hutchinson Builders asked us to help on a heritage project they are working on, replacing missing paneling and carvings in an old government building in the Brisbane CBD that is being refurbished into a 5 star hotel. 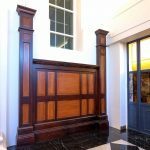 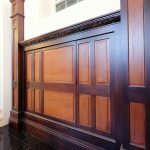 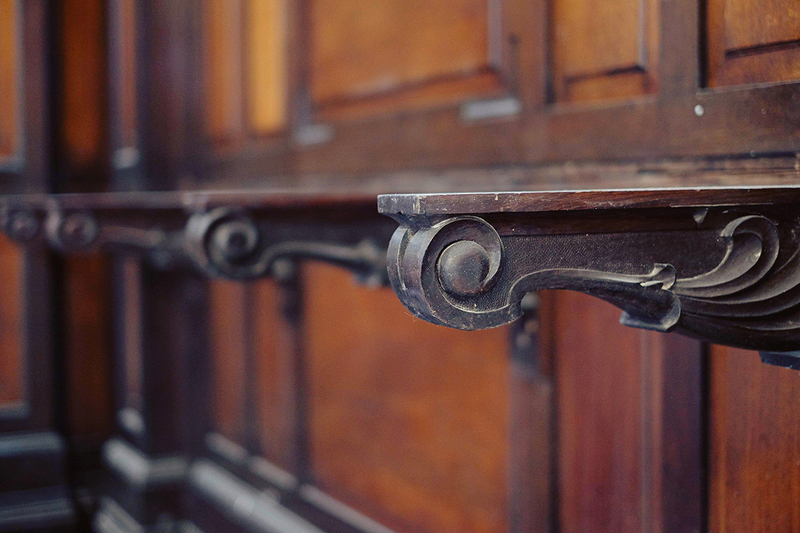 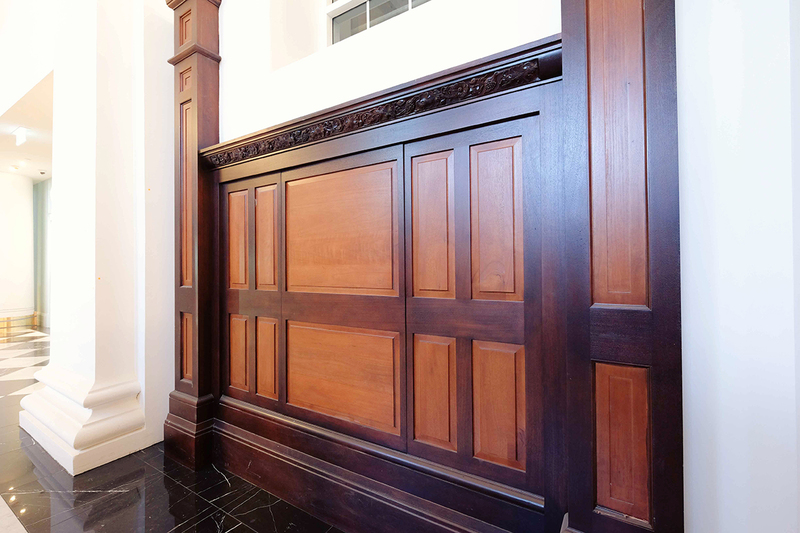 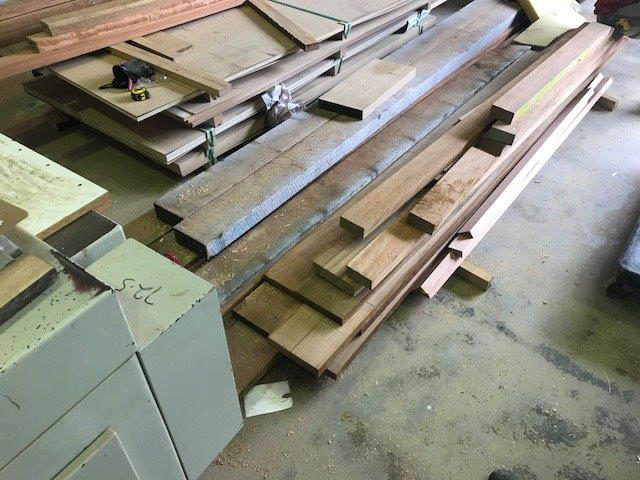 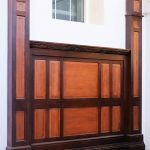 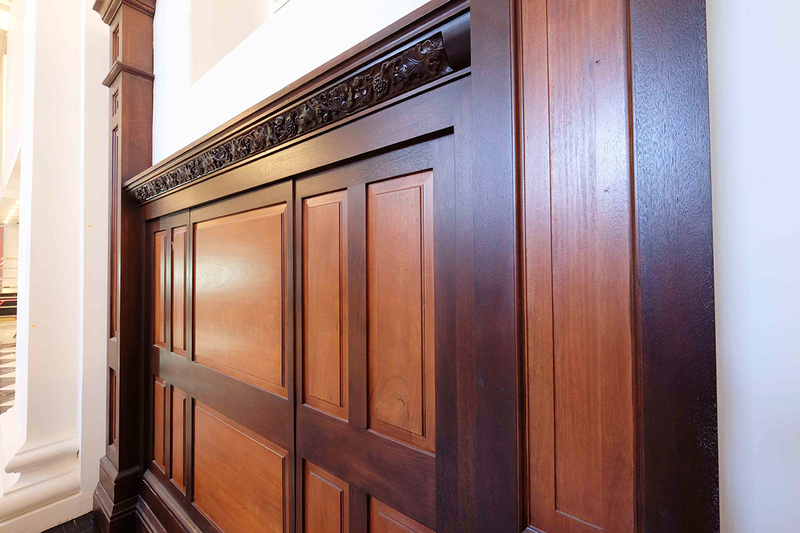 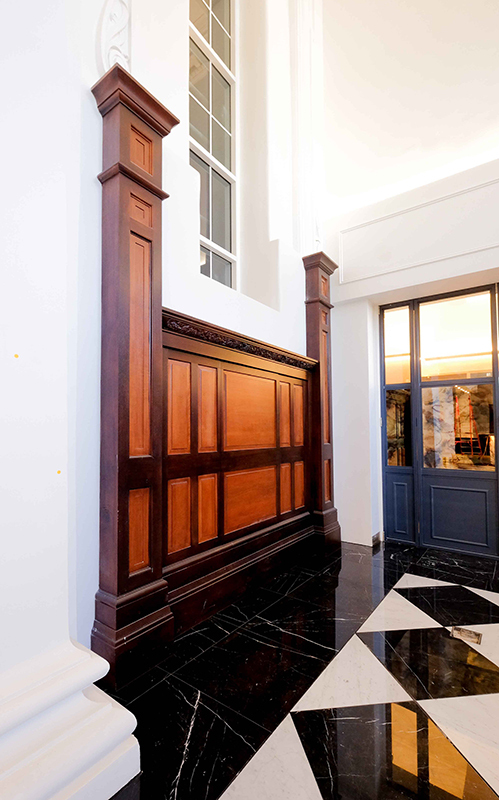 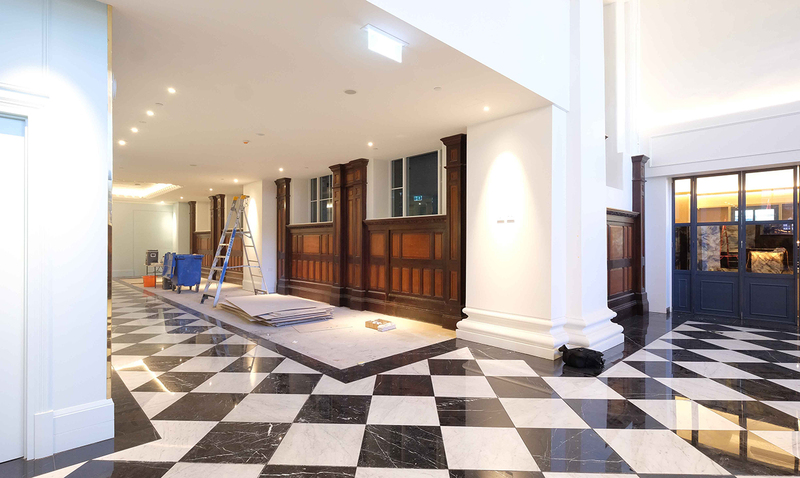 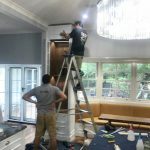 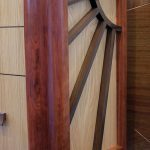 We were also asked to finish all the paneling in the foyer with french polishing. 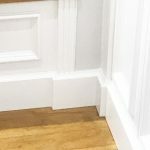 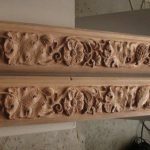 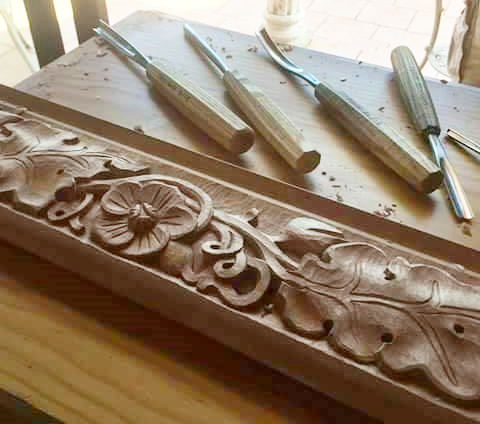 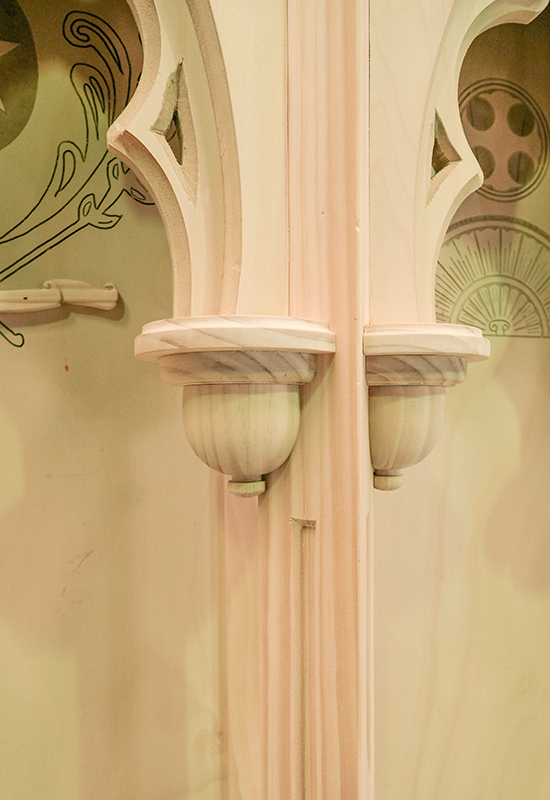 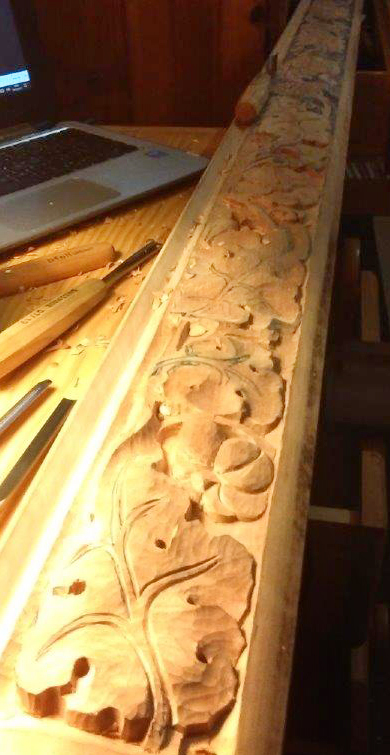 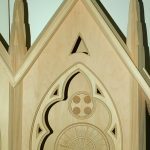 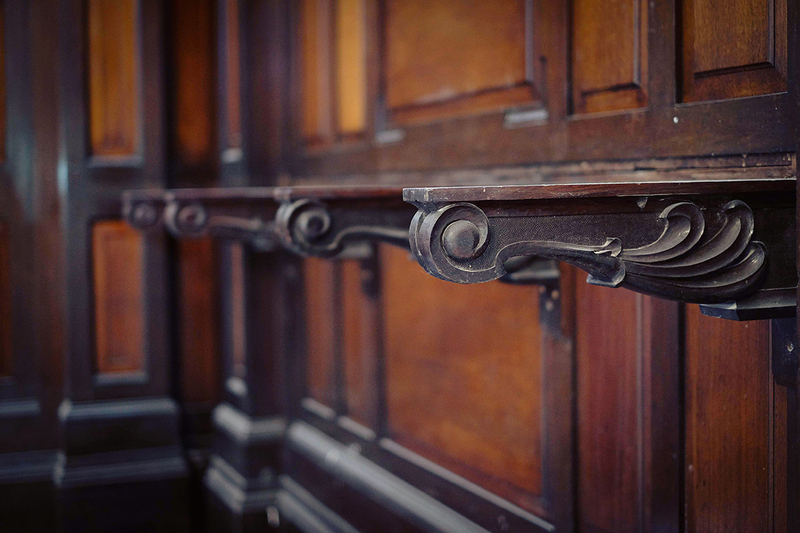 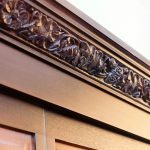 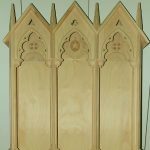 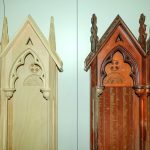 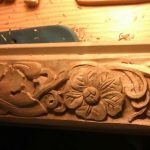 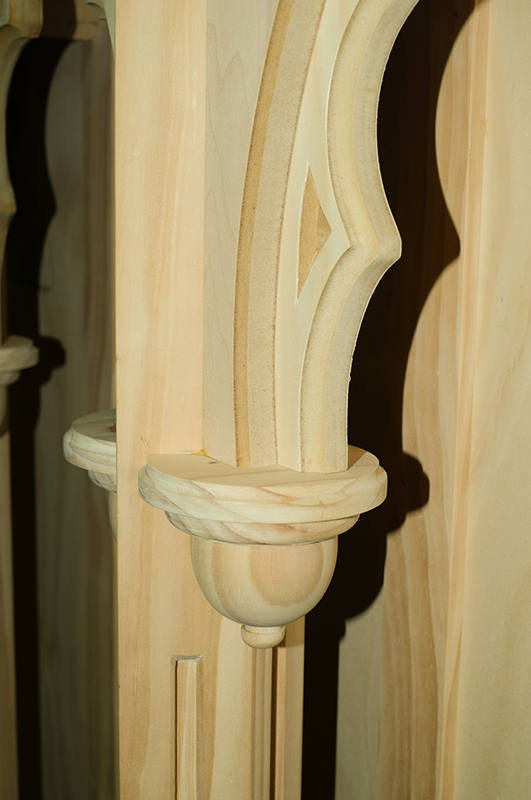 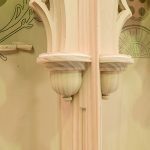 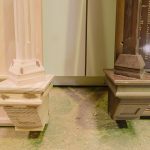 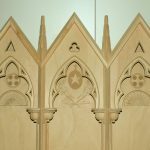 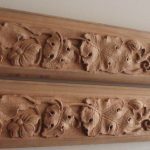 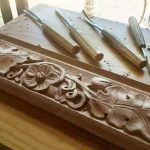 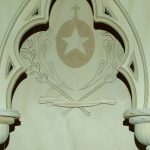 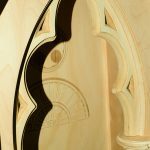 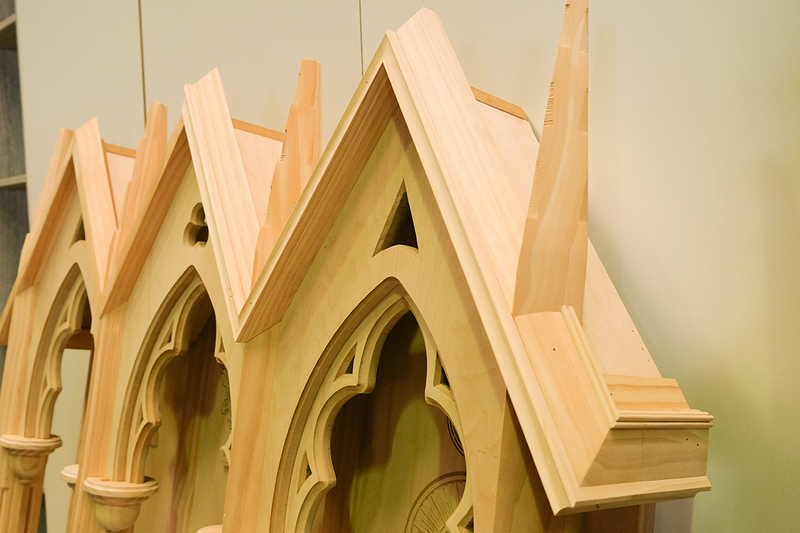 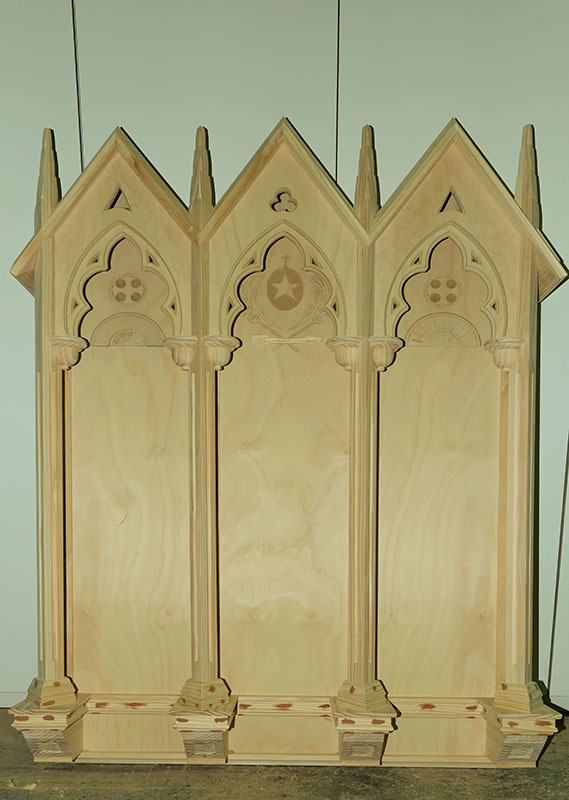 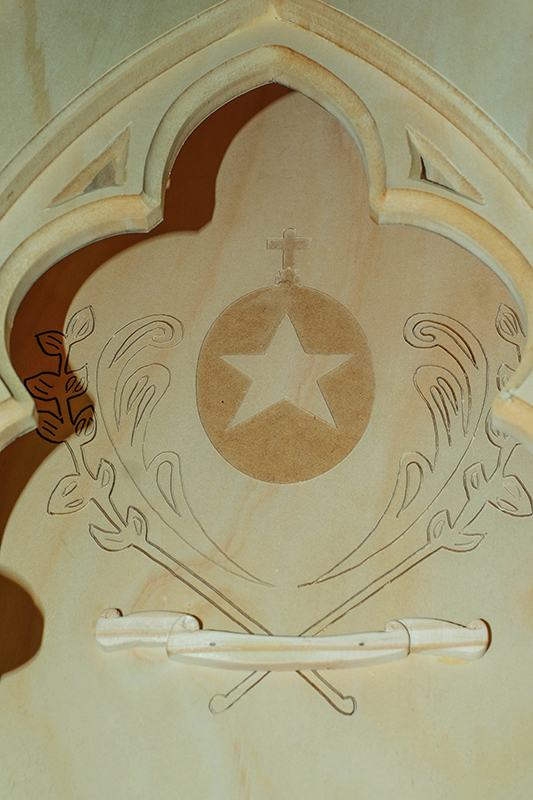 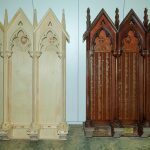 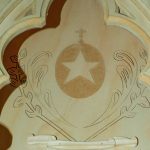 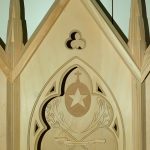 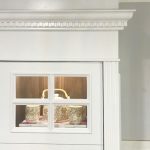 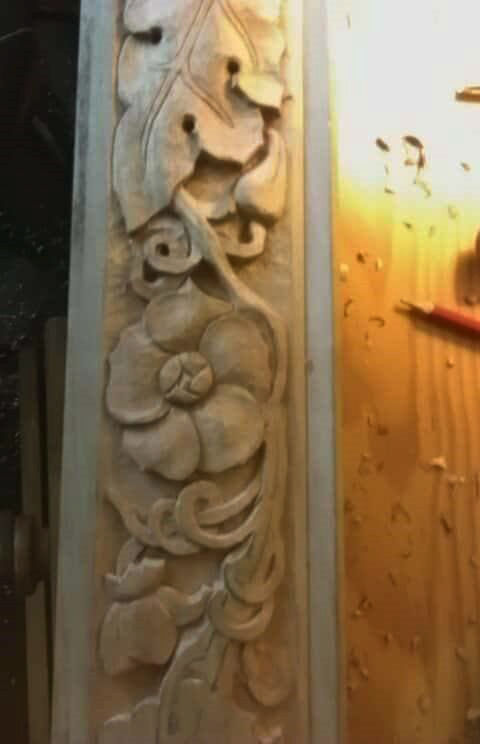 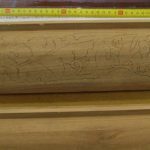 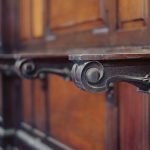 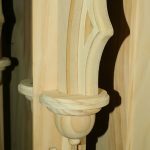 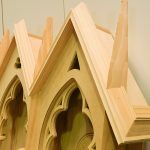 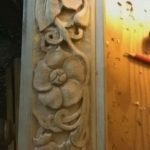 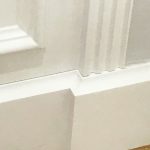 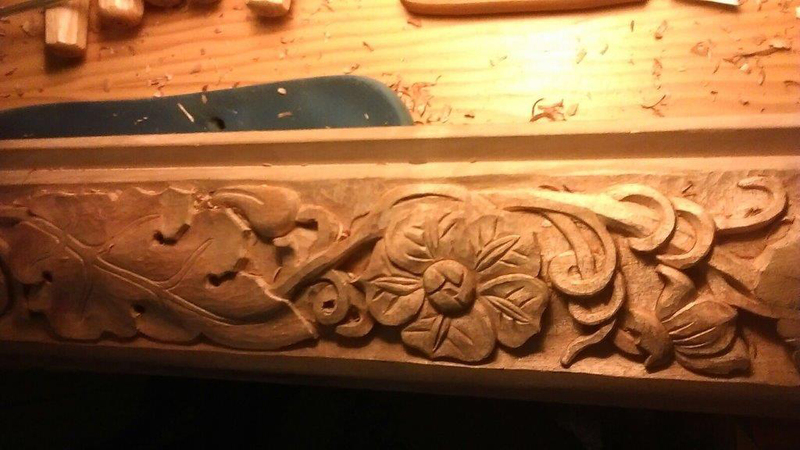 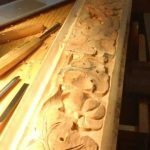 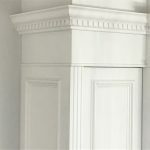 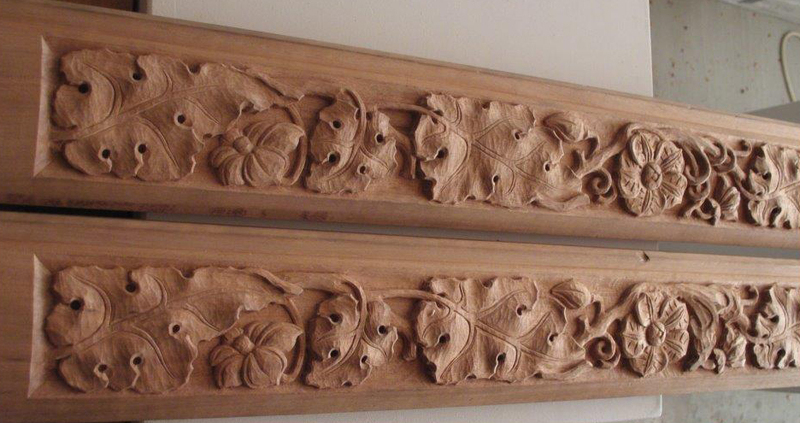 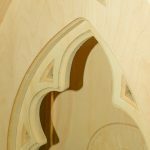 This project was challenging, the carvings were of a very old style, which took much skill and time to recreate, the Crown mouldings were a large mould which we would have to make new cutters for. 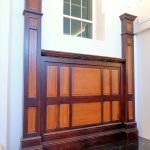 The timber used had to match the old sections. 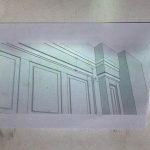 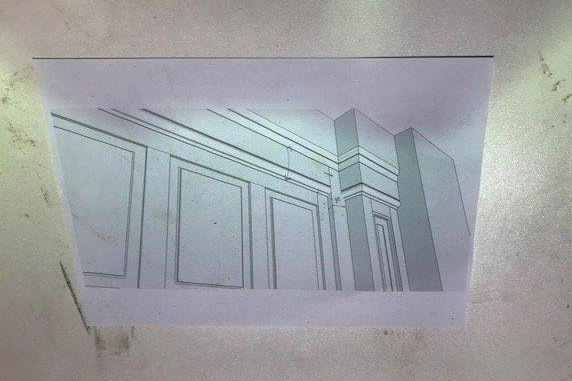 All detailed drawings off each section that had to be replaced had to be approved before any work was started. 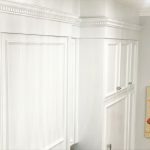 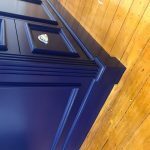 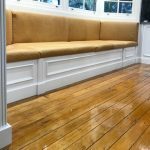 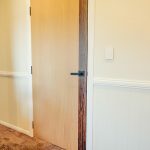 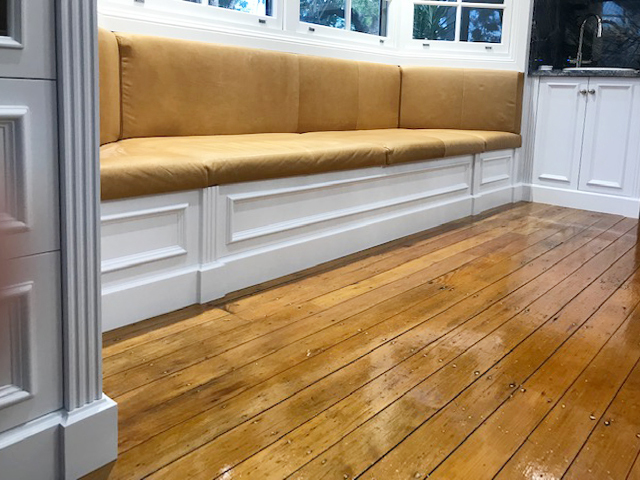 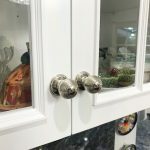 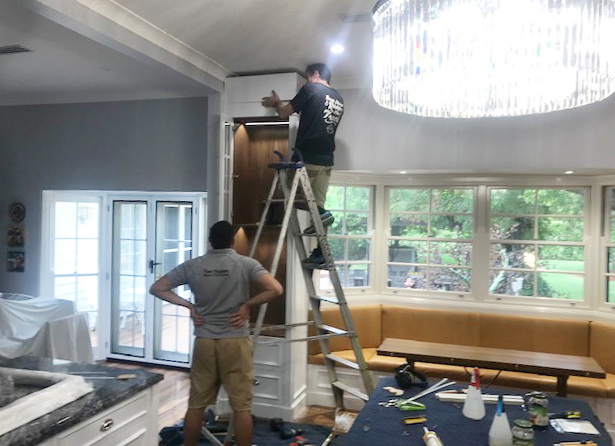 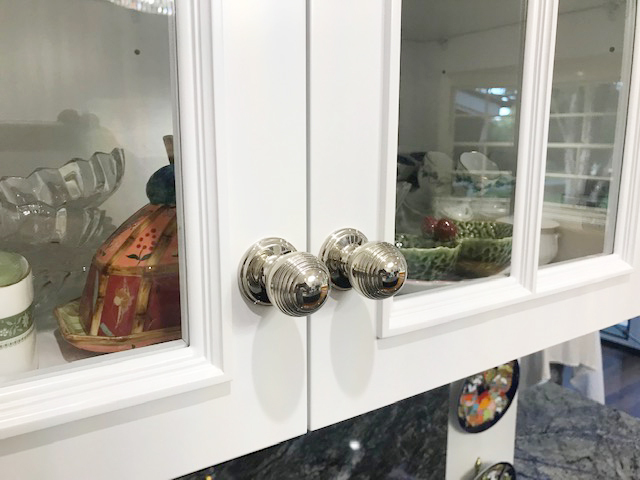 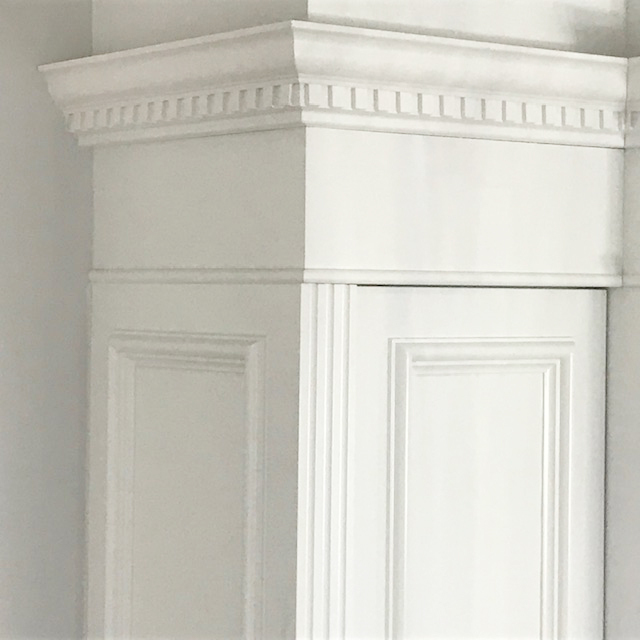 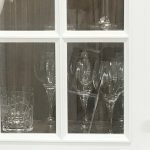 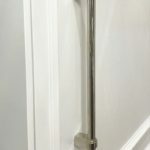 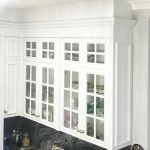 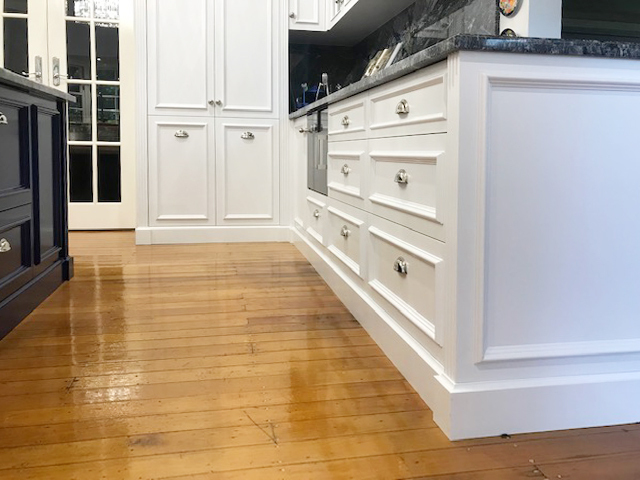 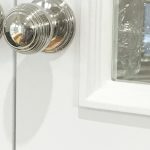 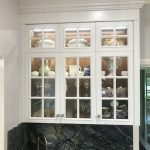 In consultation with Hutchinson and the owner we developed a finish to keep the old look and feel, they did not want something that looked like new. 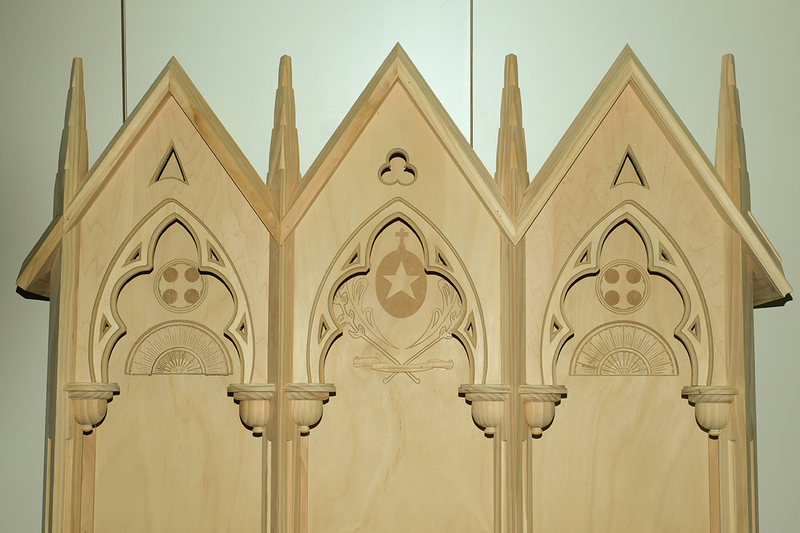 Even the new sections we made had to blend with the original panels, in colour and look and feel. 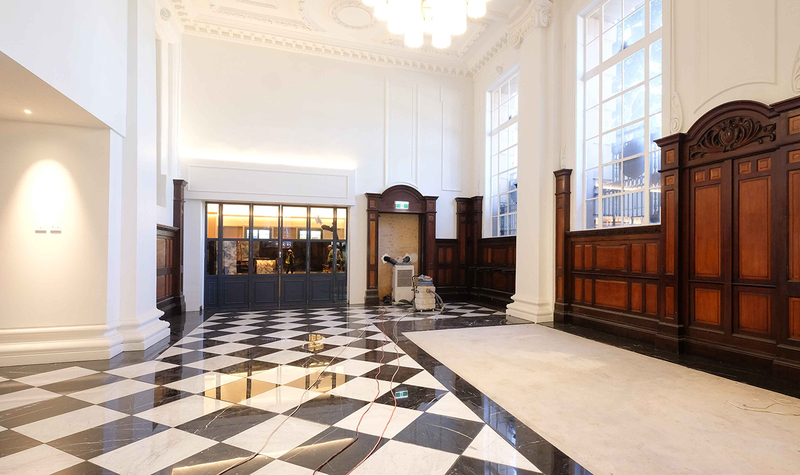 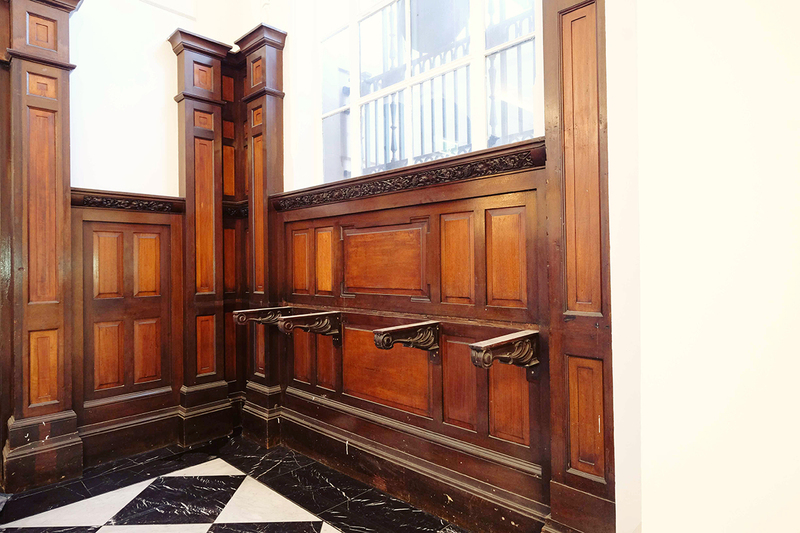 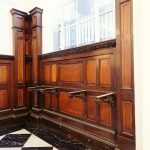 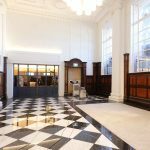 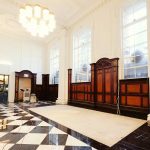 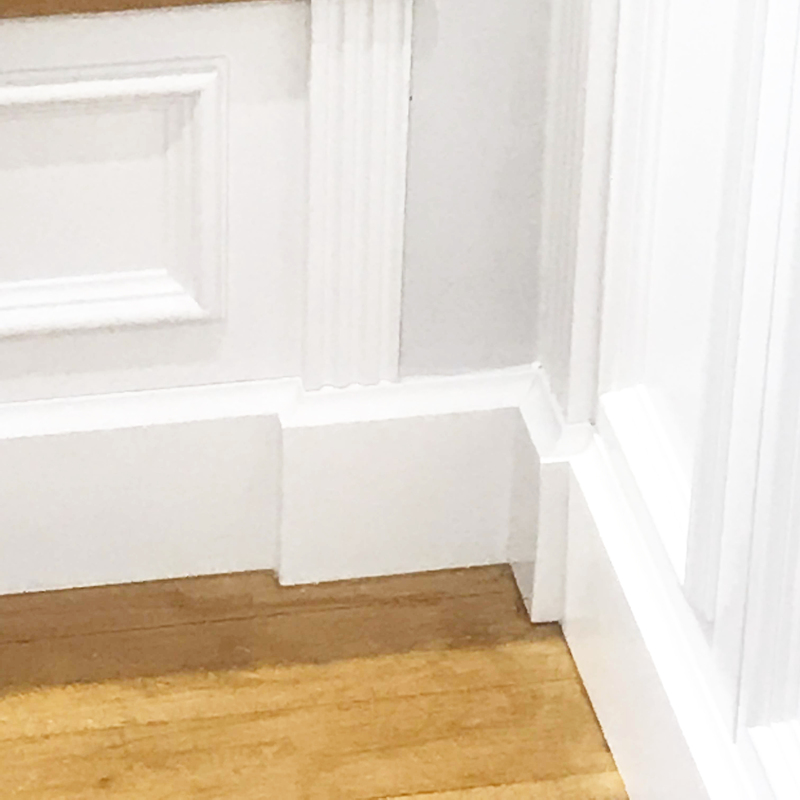 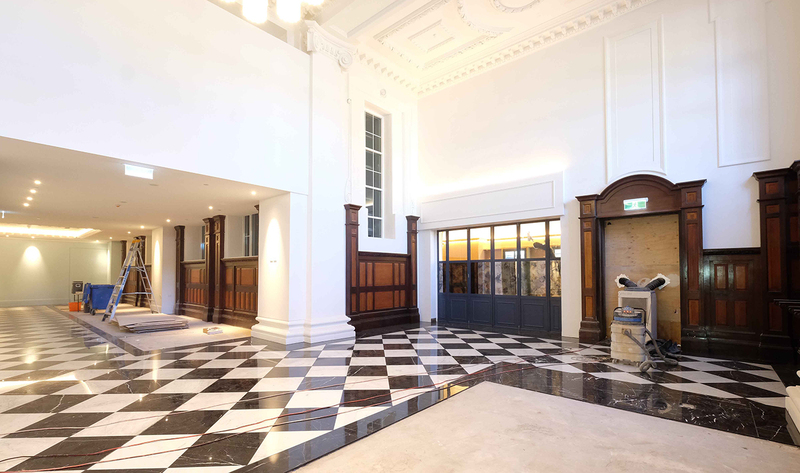 In this Modern world we should never forget our old Buildings, this project was immense and the results have been rewarding and the foyer is looking better than new, in fact it’s looking delightfully old. 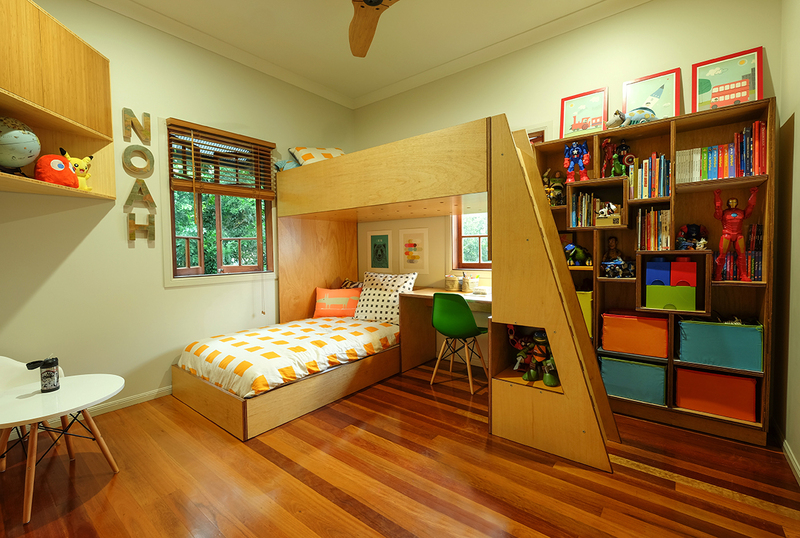 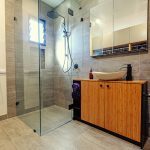 This room was designed in a way to create an easy feeling, by the way off using natural timber. 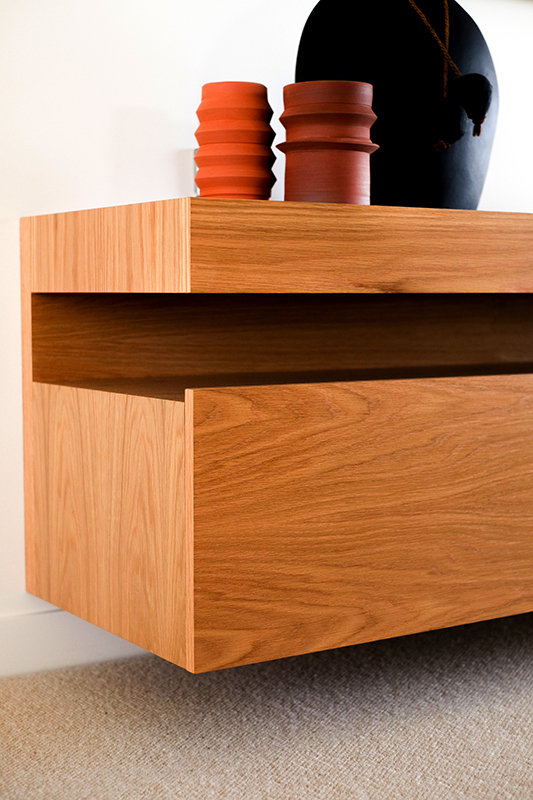 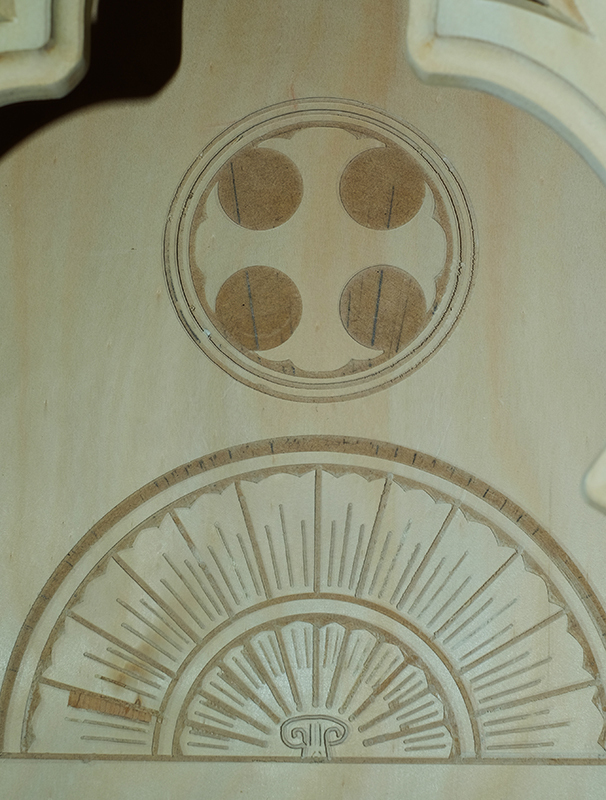 The board is cut on a slight angle to give it a flowing look, and is made from solid American Oak. 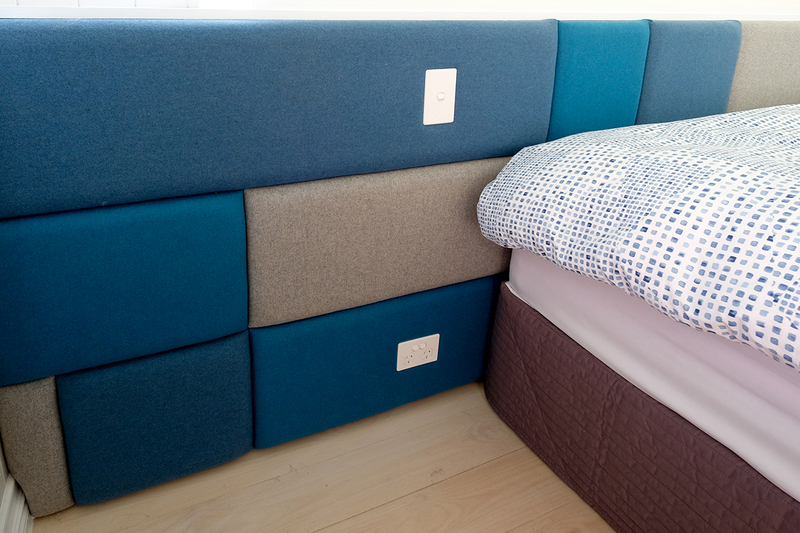 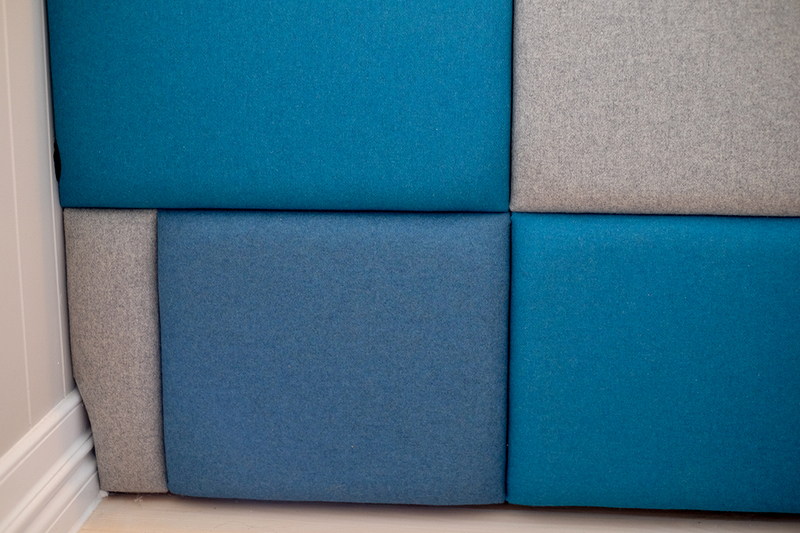 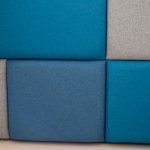 The upholstery insert in a supportive soft foam so you can rest against it with or without pillows. 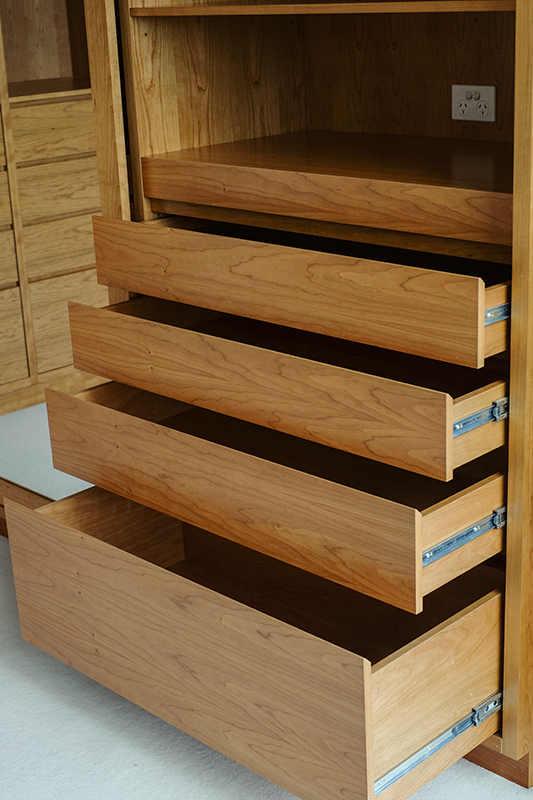 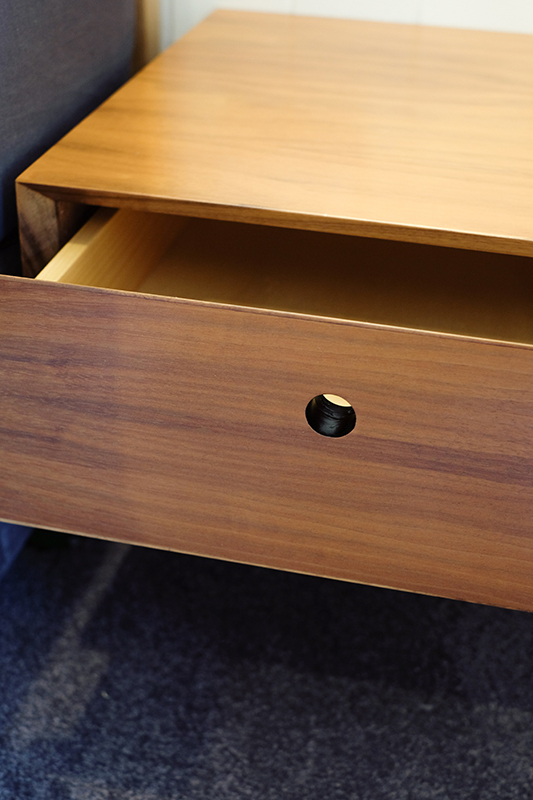 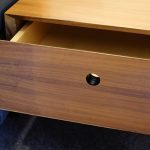 The bedsides tables are a floating single drawer bedside, made from French Walnut. 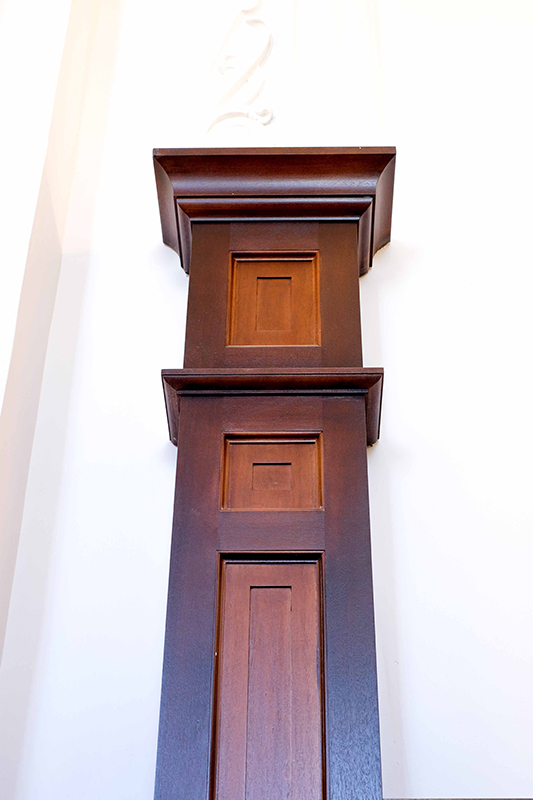 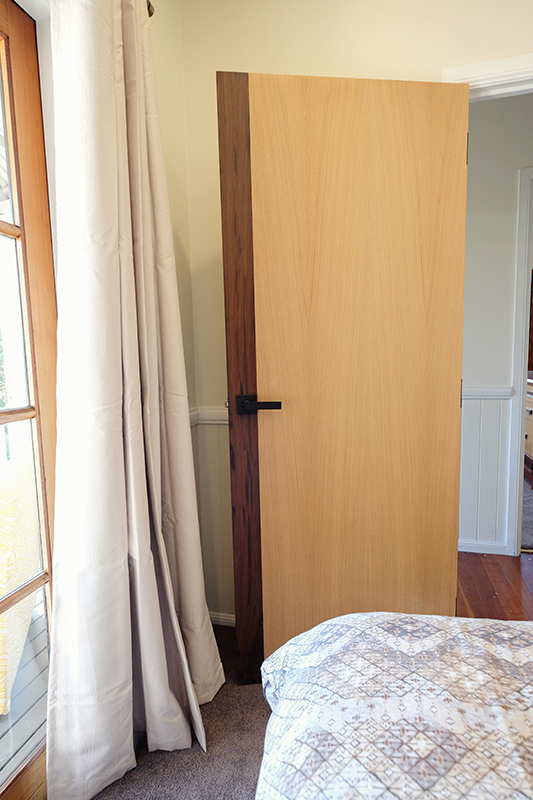 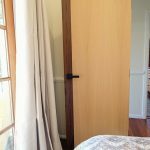 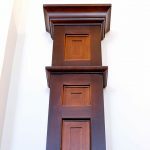 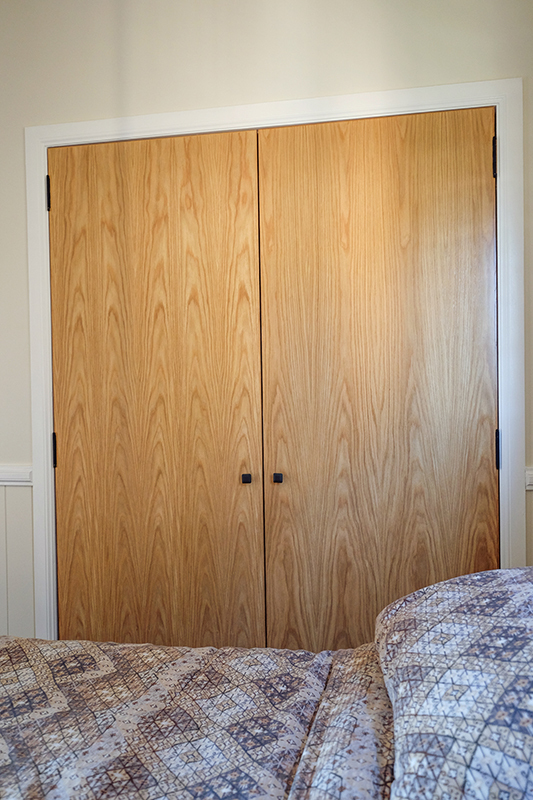 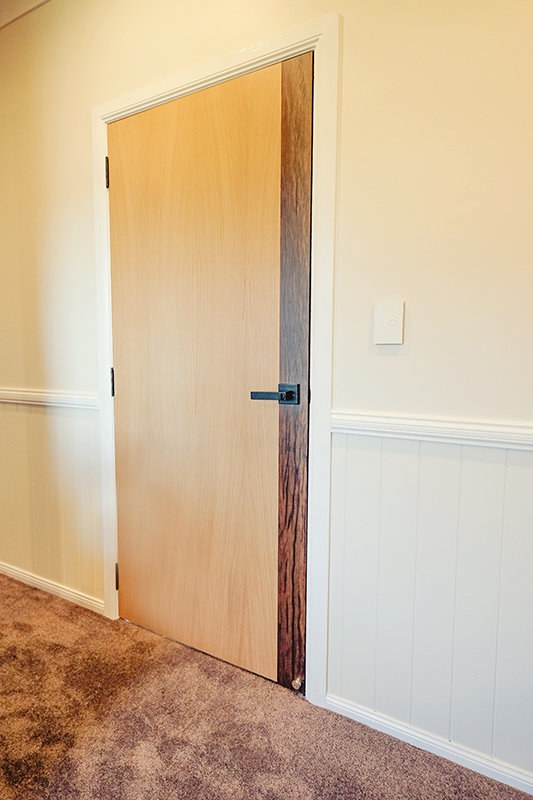 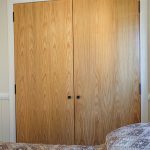 The wardrobe doors, are an added feature to the room, featuring a crown cut Oak with black knobs. 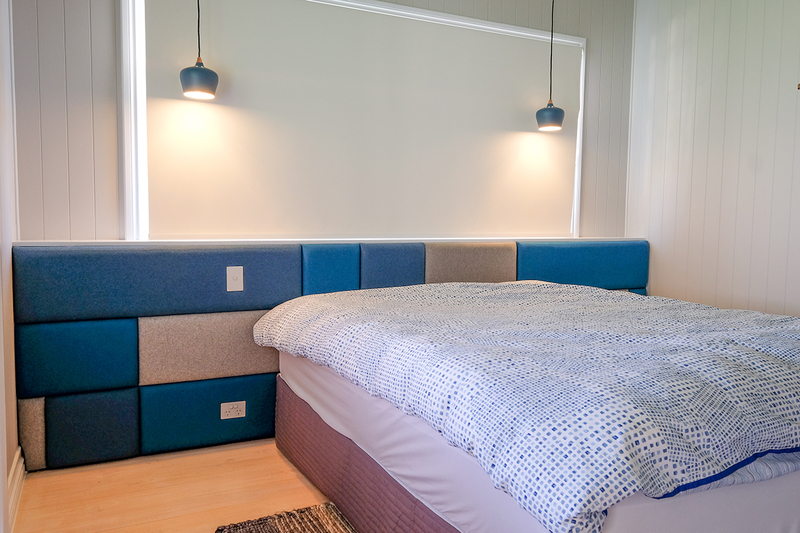 This master bedroom brings functionality and elegance into one. 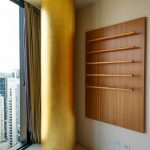 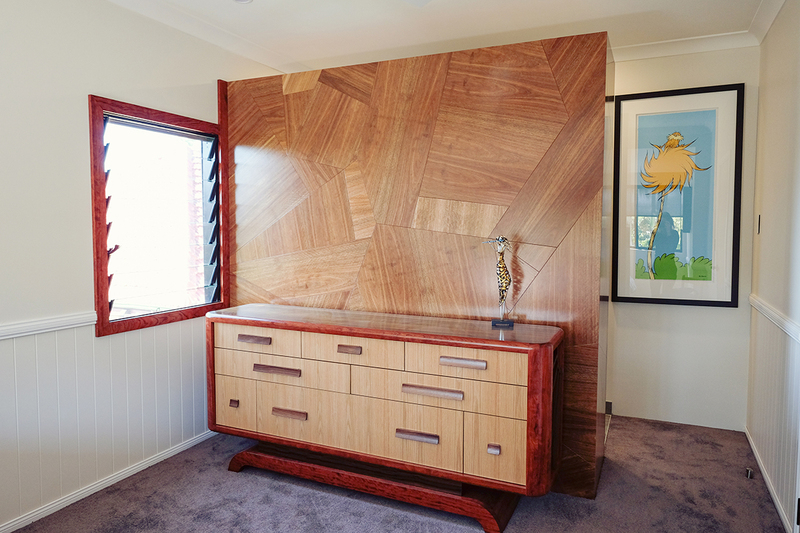 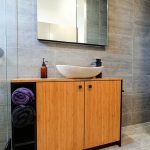 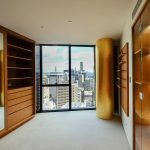 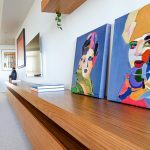 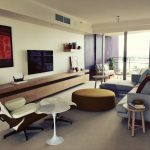 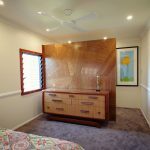 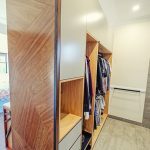 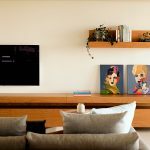 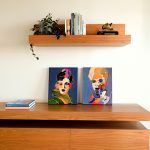 The feature wall separates the bedroom and ensuite and is made from spotted gum, creating an art piece in itself from the different shapes and shades of timber. 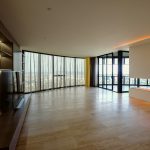 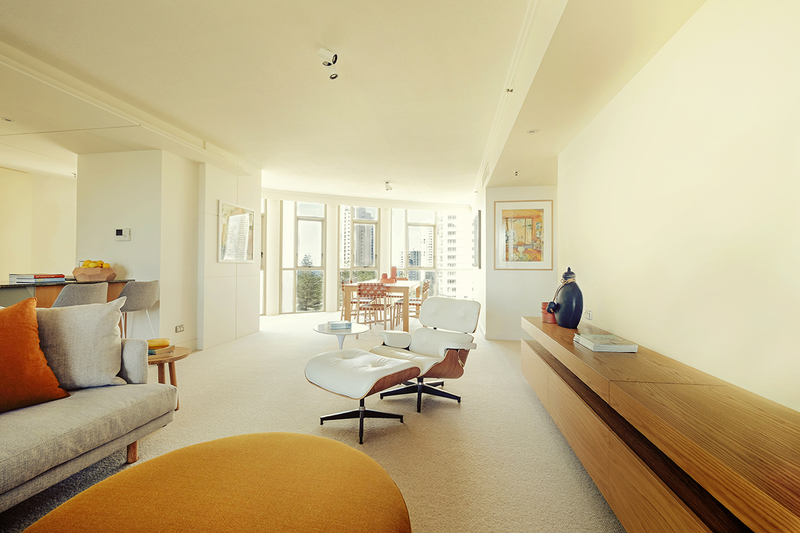 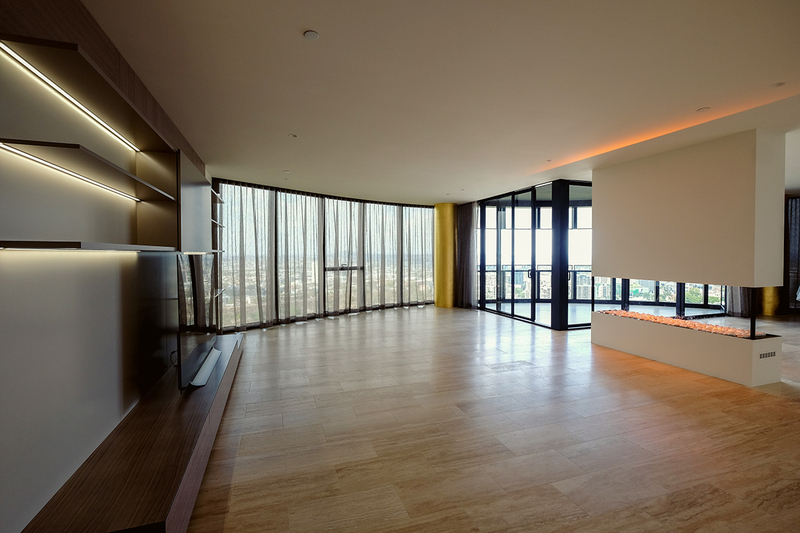 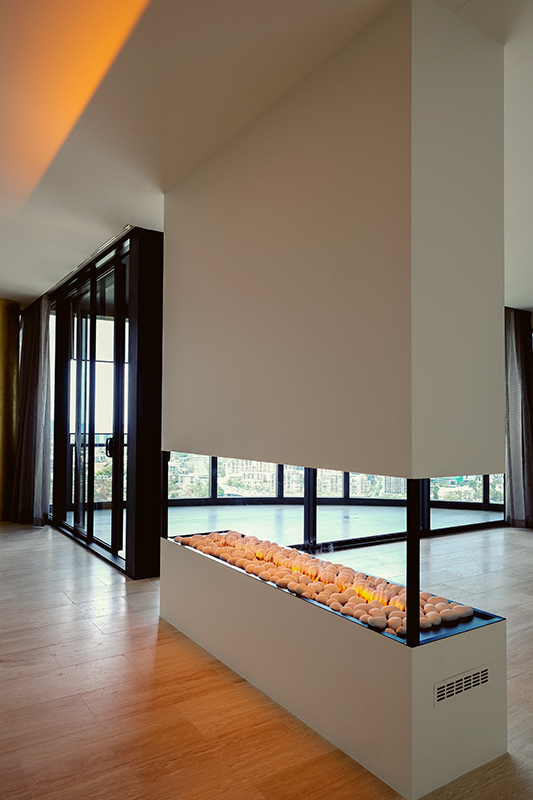 The random use of grain gives a unique and spacious feel to the room. 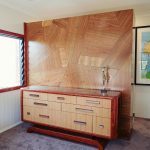 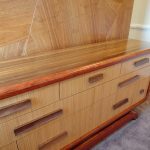 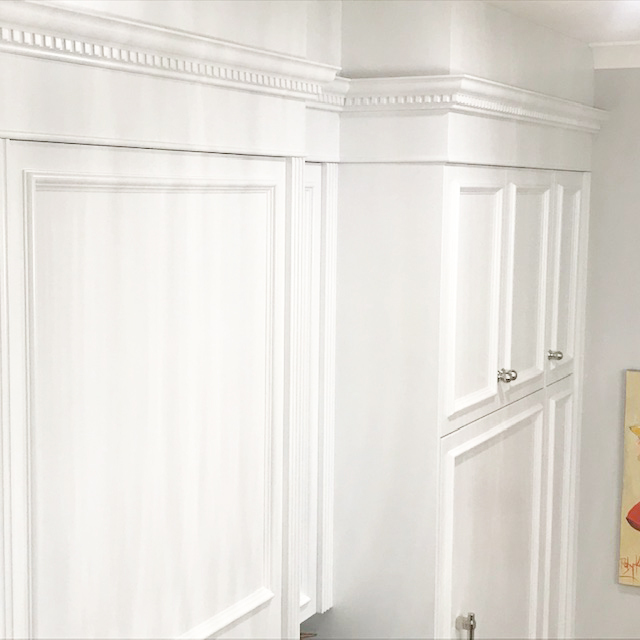 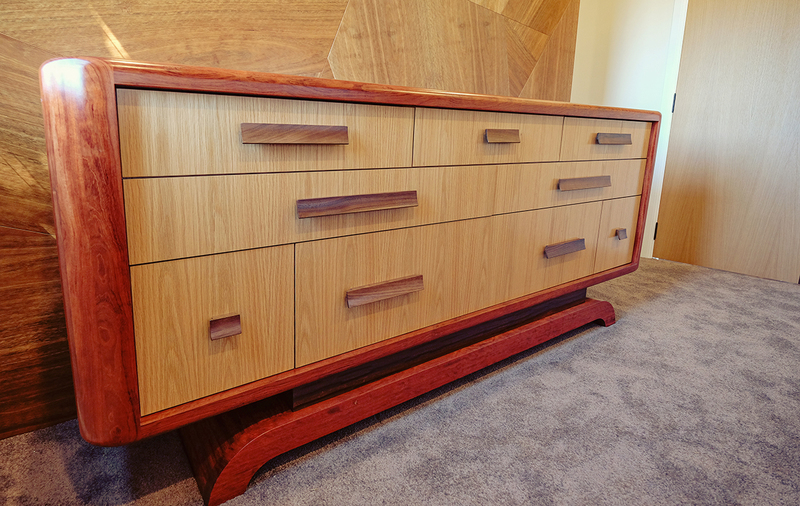 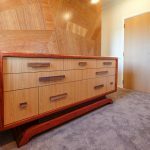 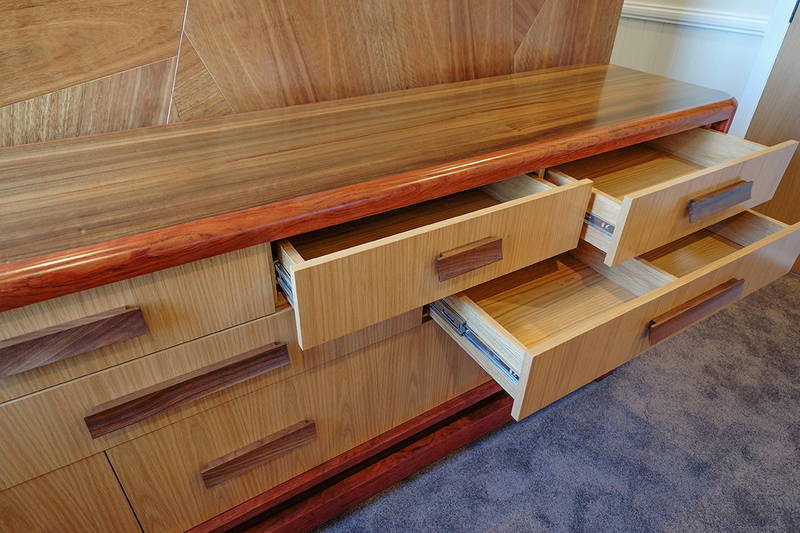 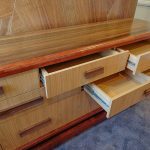 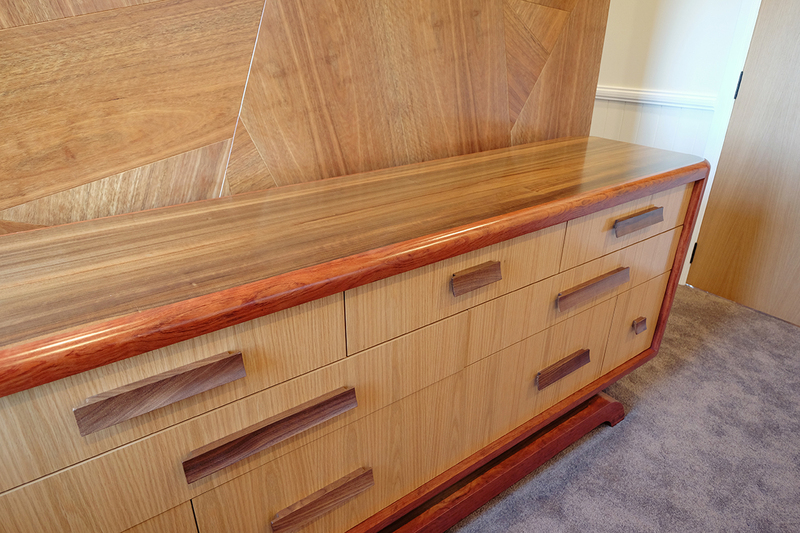 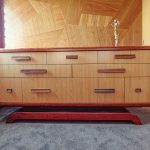 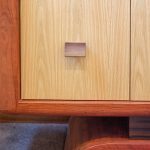 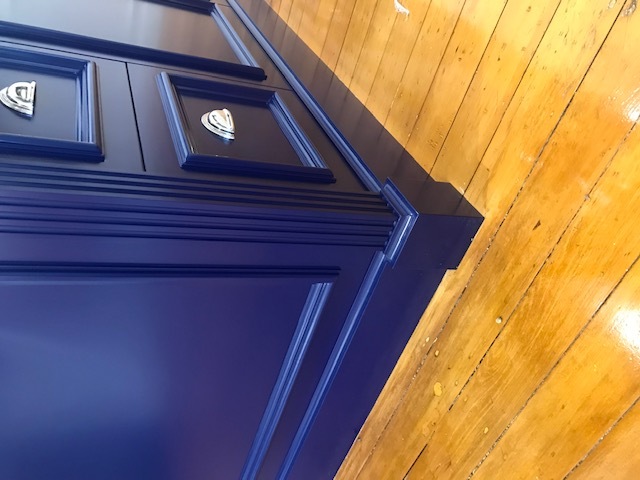 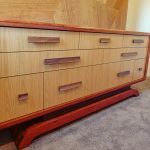 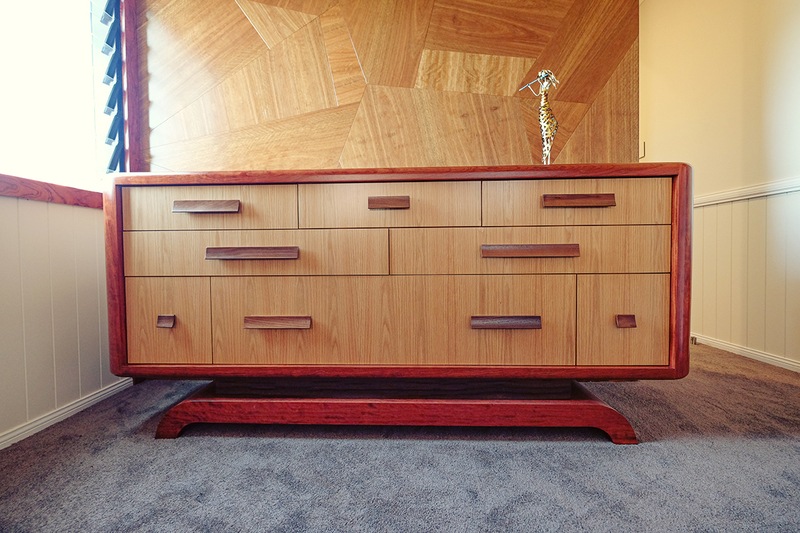 The Art Deco dresser sits alongside the feature wall and adds elegance in every turn, the flowing curves are created out off solid timber, the sides have the Japanese rising sun made out off solid PNG Ebony, the drawers are also random designs with the base as a flowing curve. 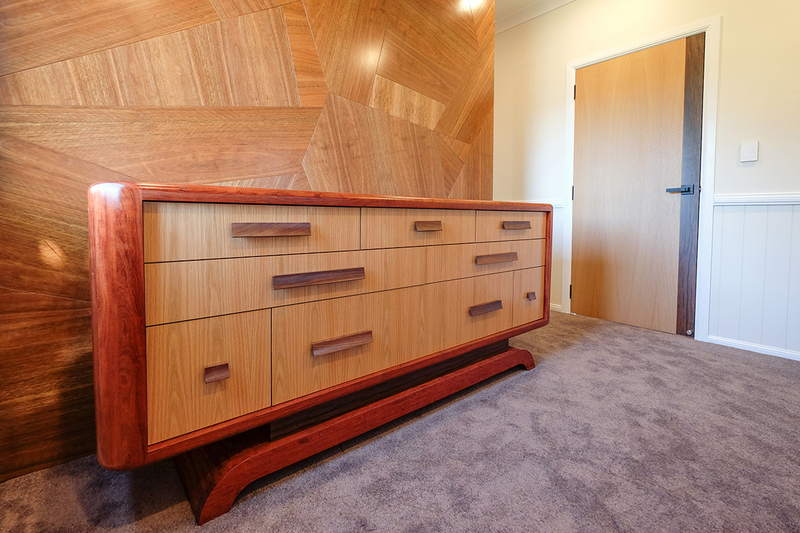 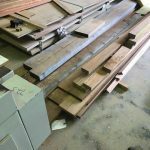 The timbers used in this piece include: Solid Qld Walnut, Solid South African, Bilinga, PNG Ebony, American Oak, with the handles in solid French Walnut. 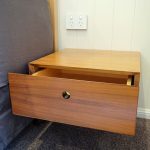 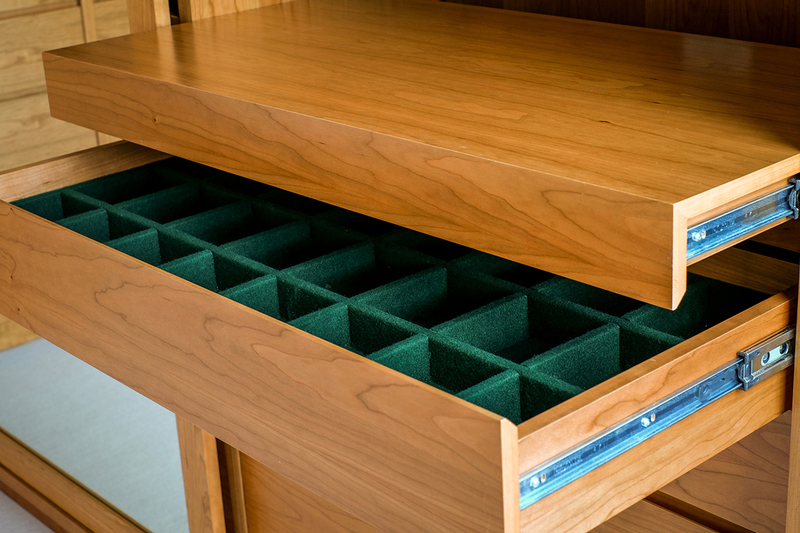 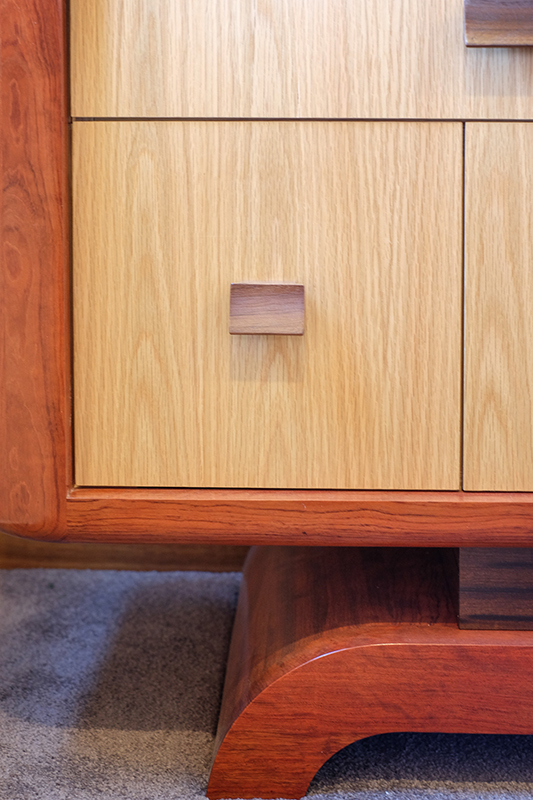 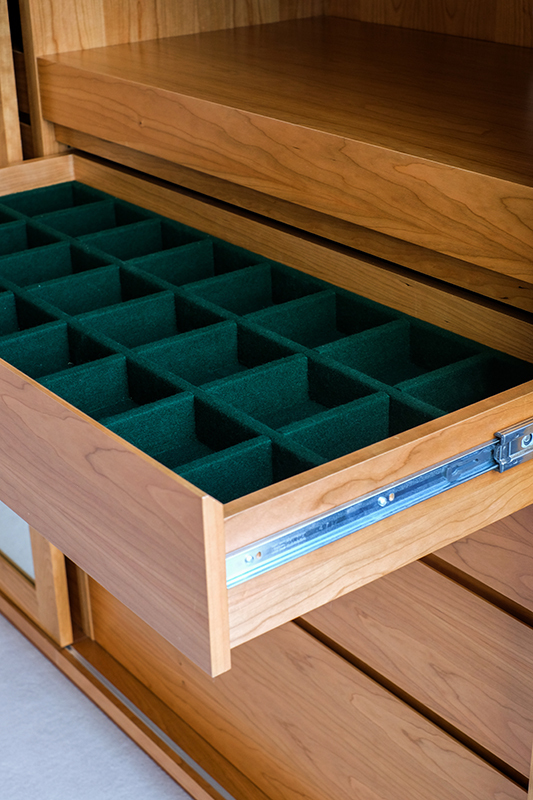 The internals of the dresser are all American Oak. 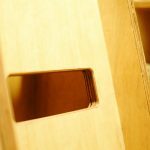 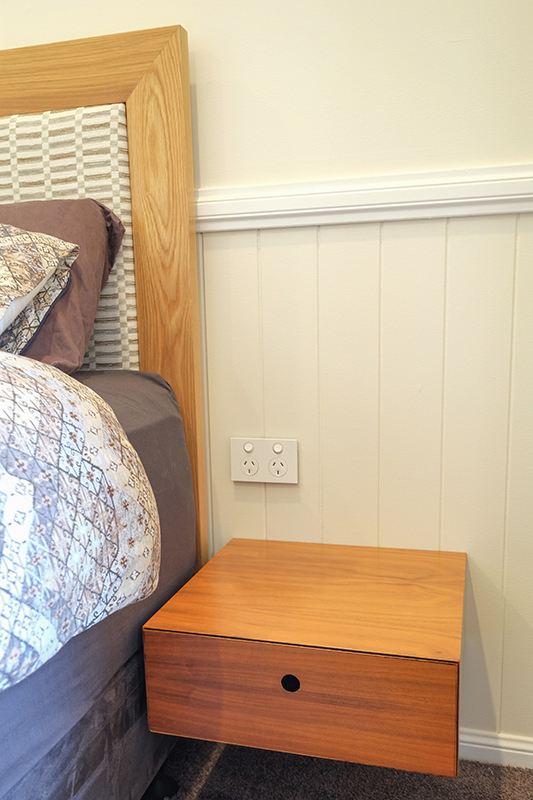 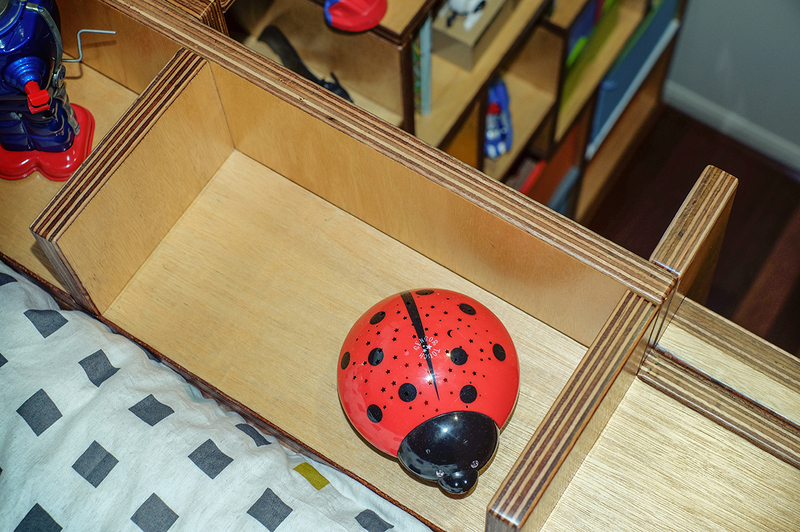 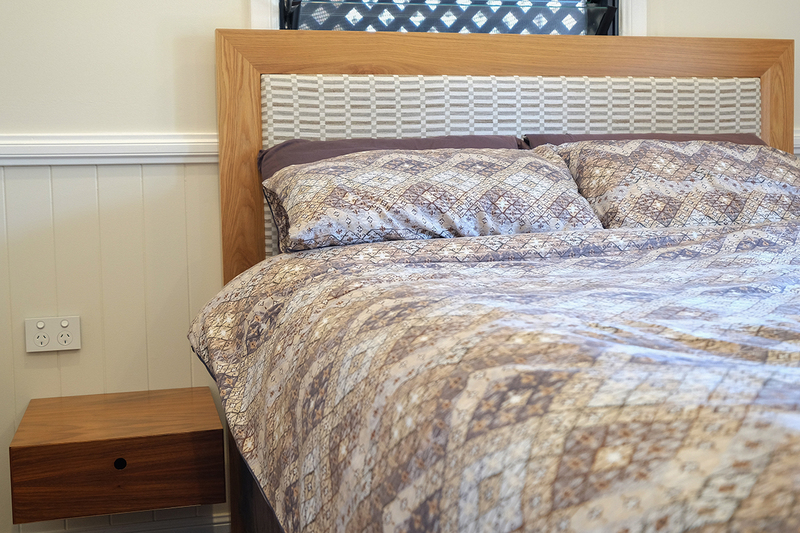 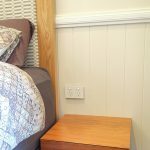 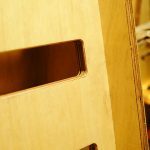 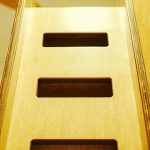 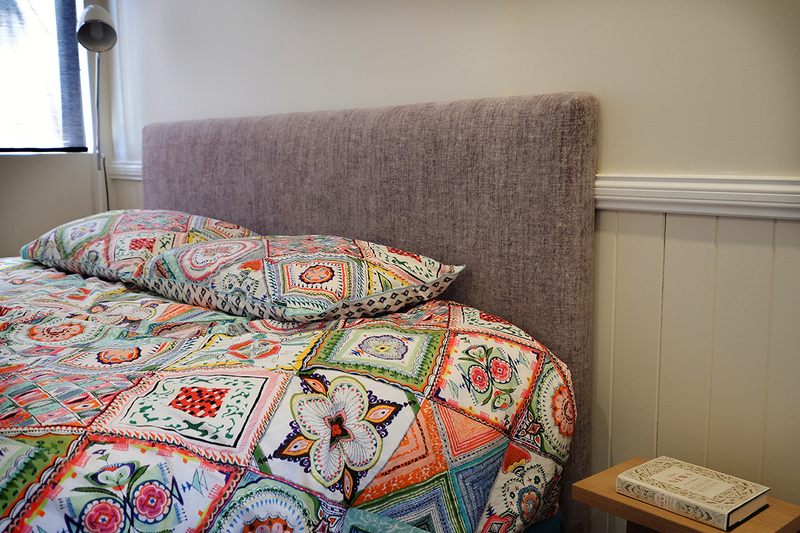 The Headboard is custom made to fix around the small nib recess. 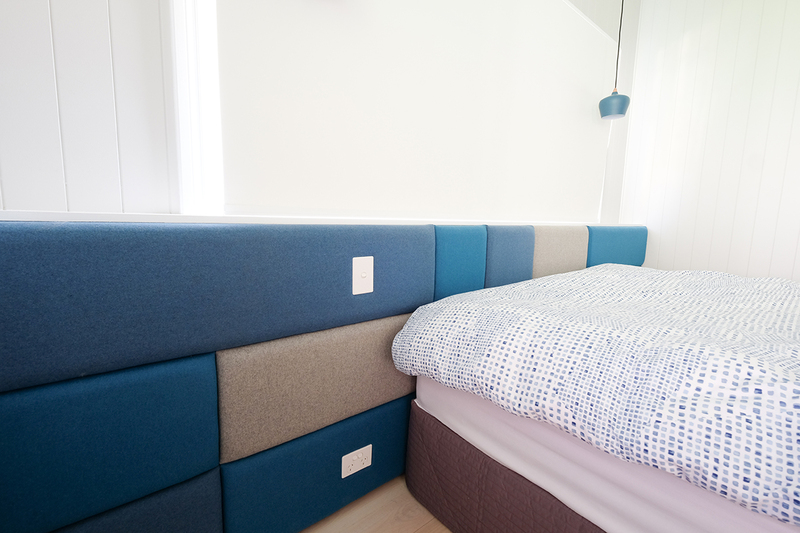 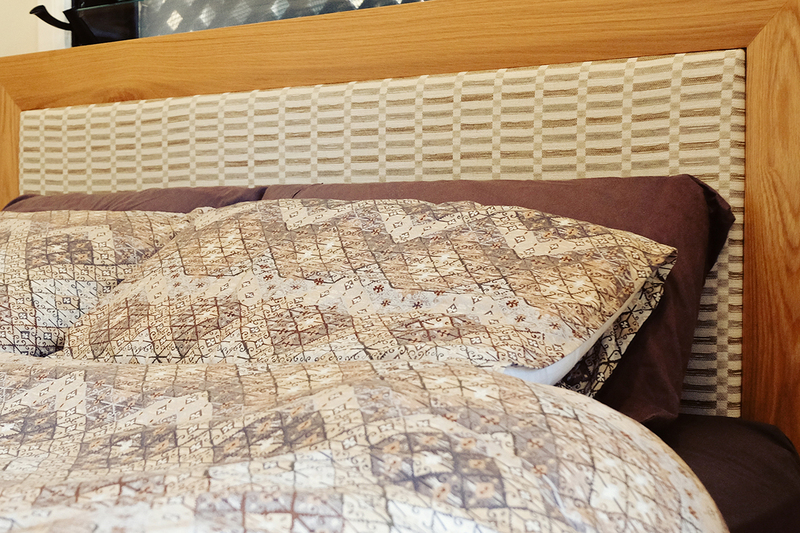 It is also 70mm in thickness, with two forms off soft foam, so you rest your head and read comfortably in bed. 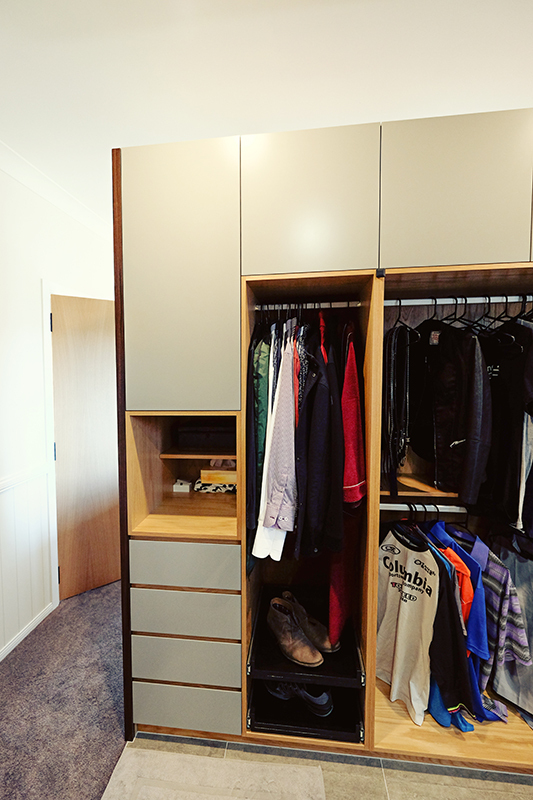 The Ensuite area is on the other side off the feature wall and opens to a wardrobe. 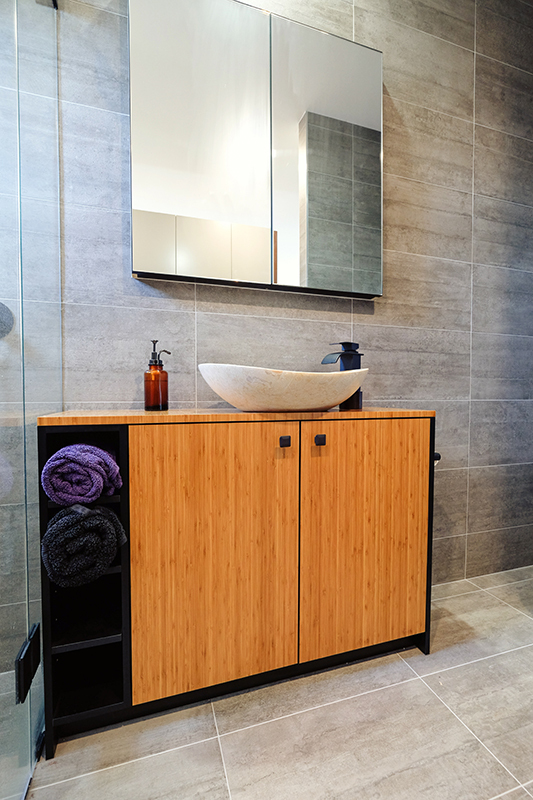 Wanting a more high functional and industrial look, greys, black and stone colours were used. 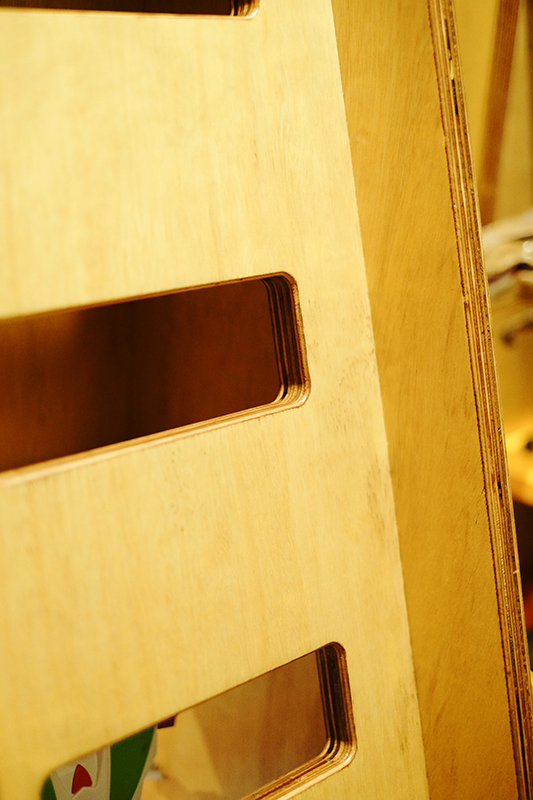 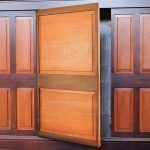 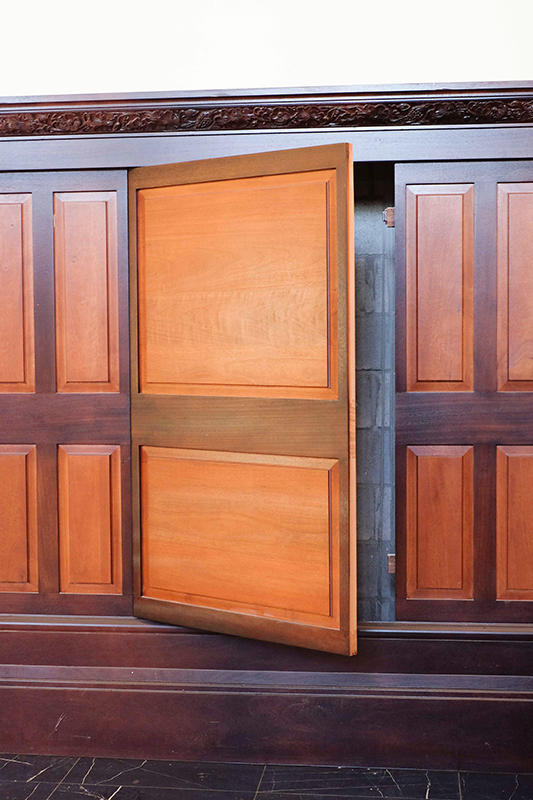 The doors are all push to open, the internals are all American Oak, to keep the flow of the timber. 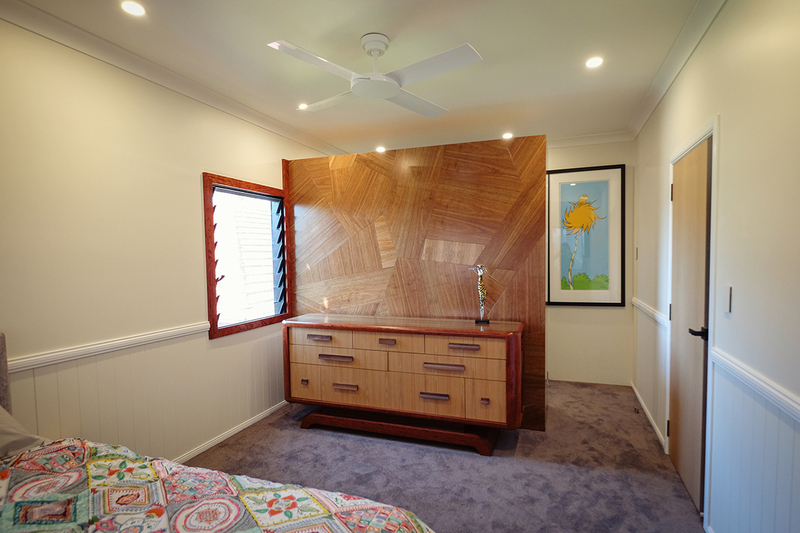 All the features of this master bedroom and ensuite were designed by Matthew, the owner of Finer Finishers.